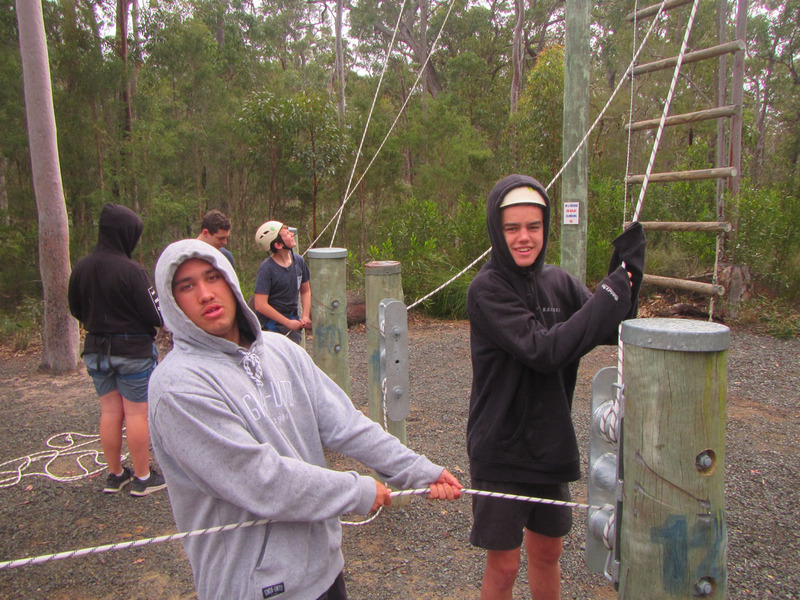 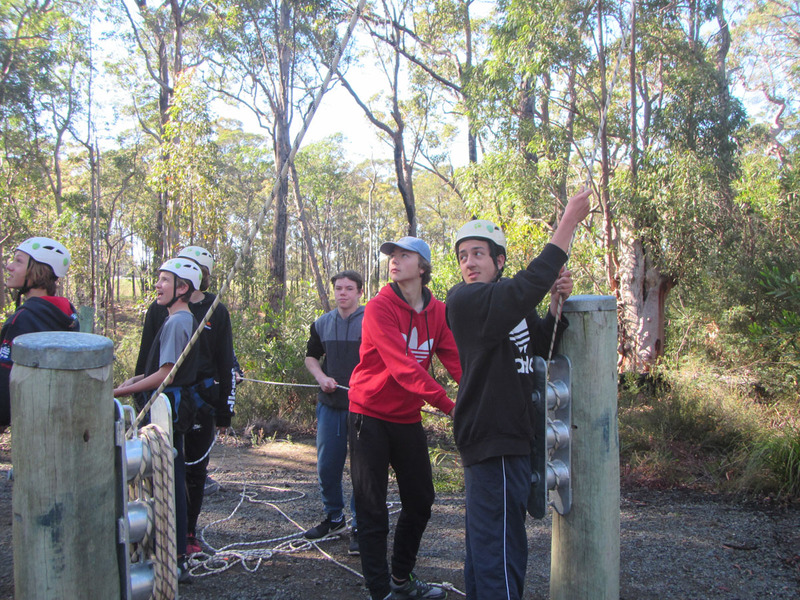 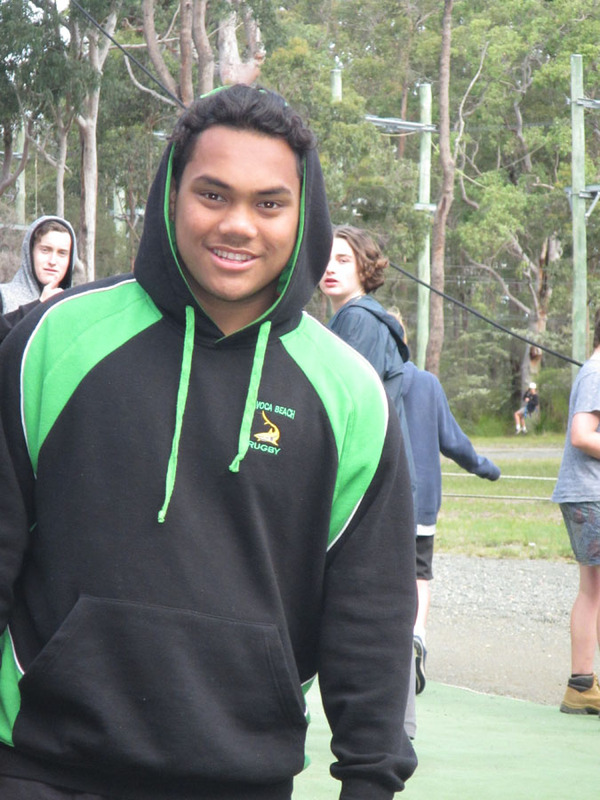 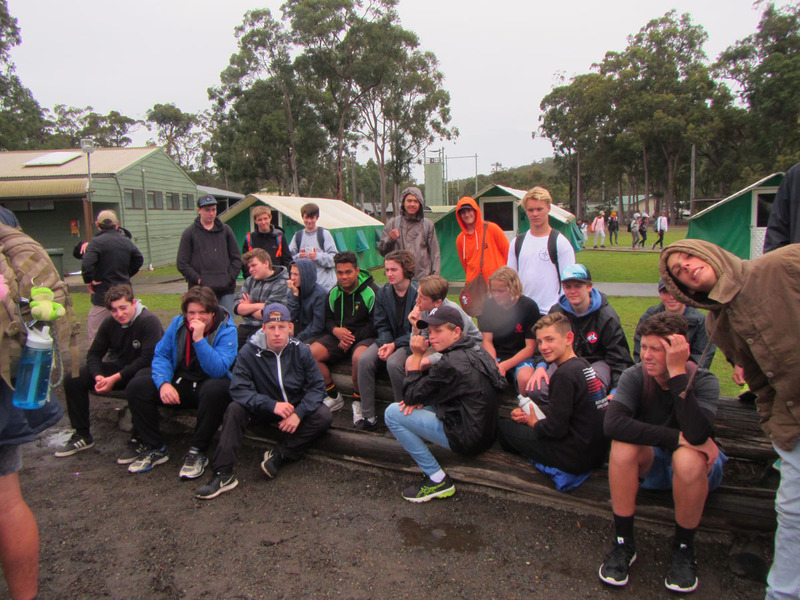 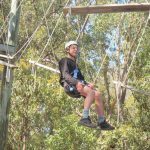 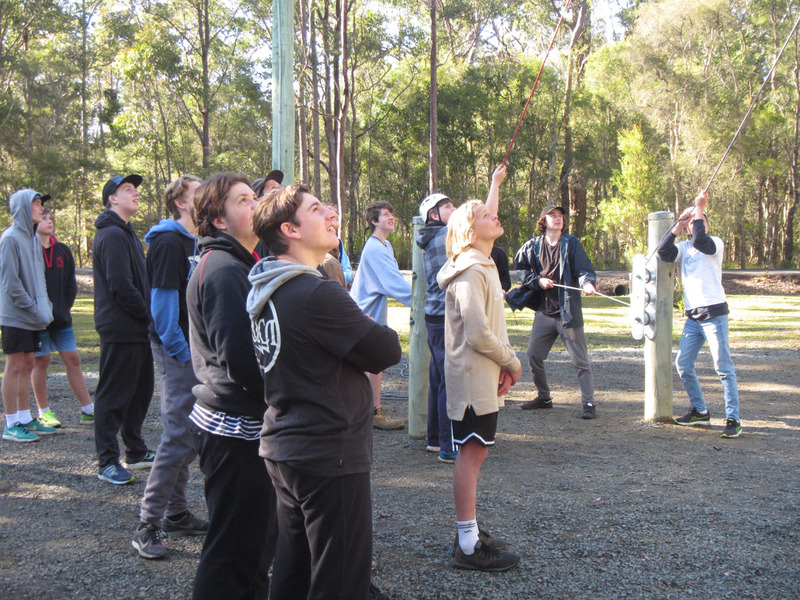 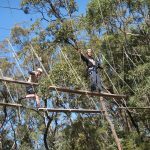 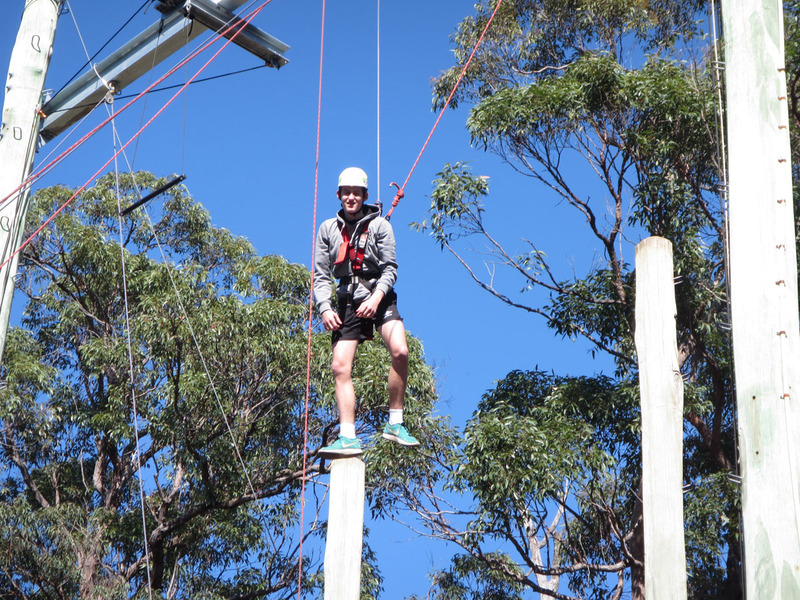 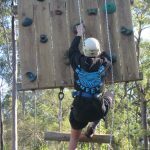 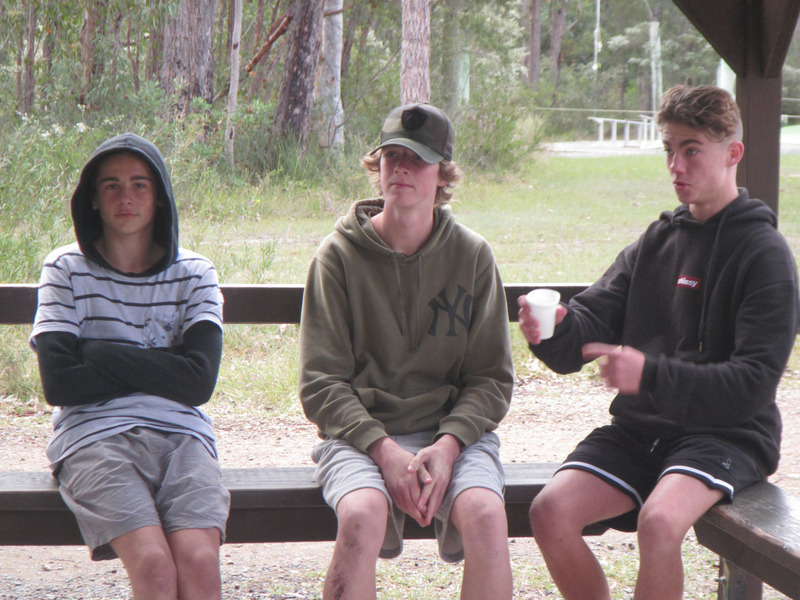 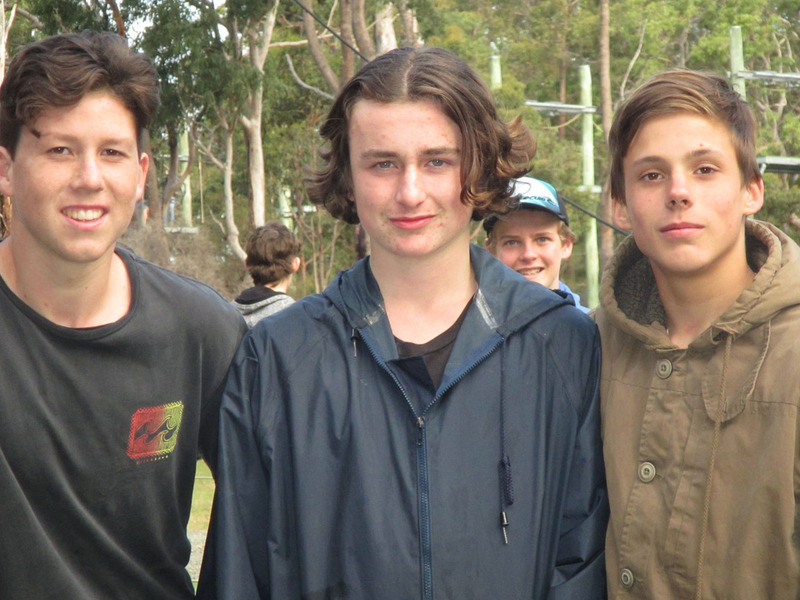 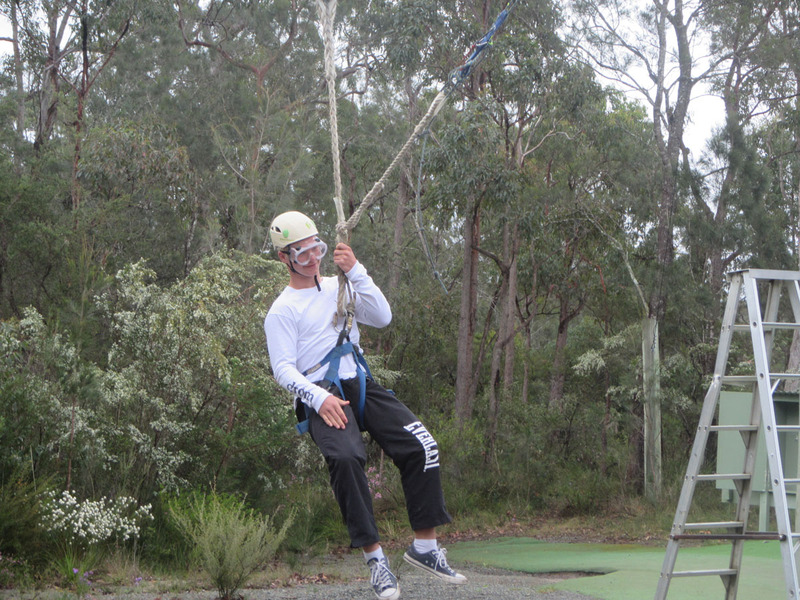 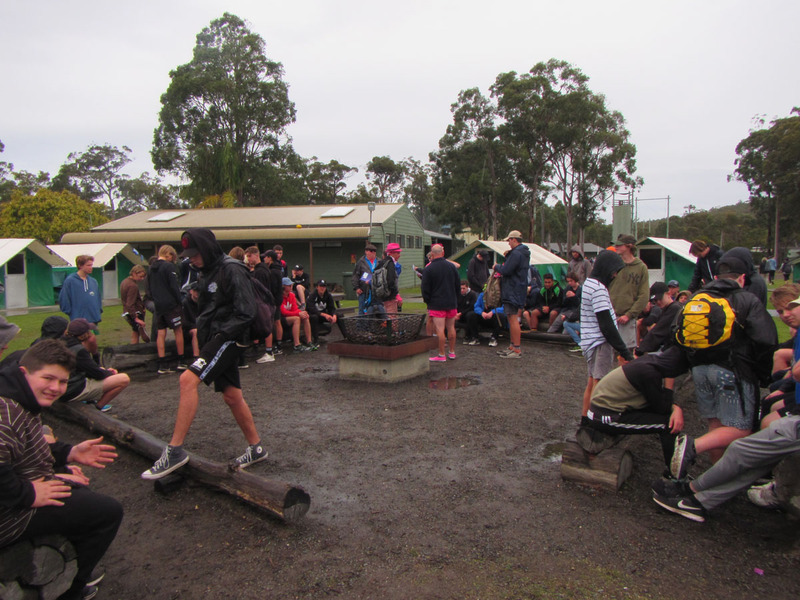 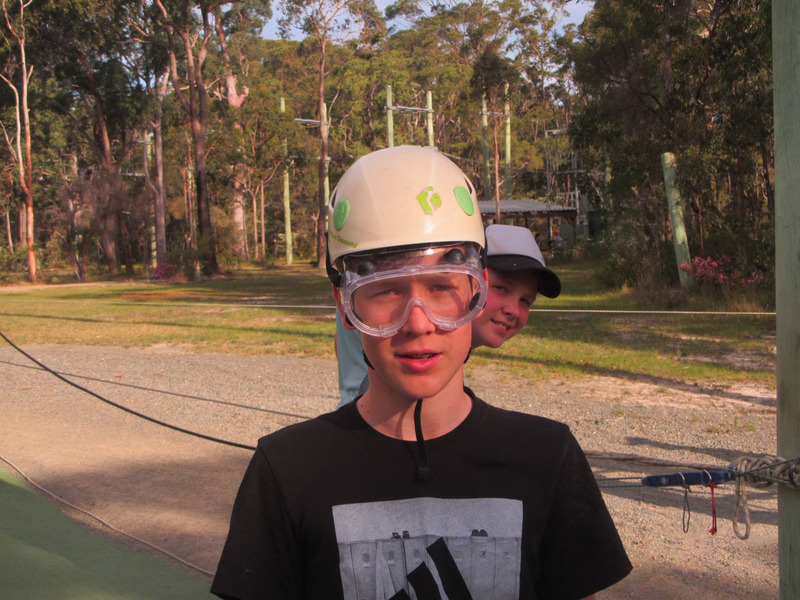 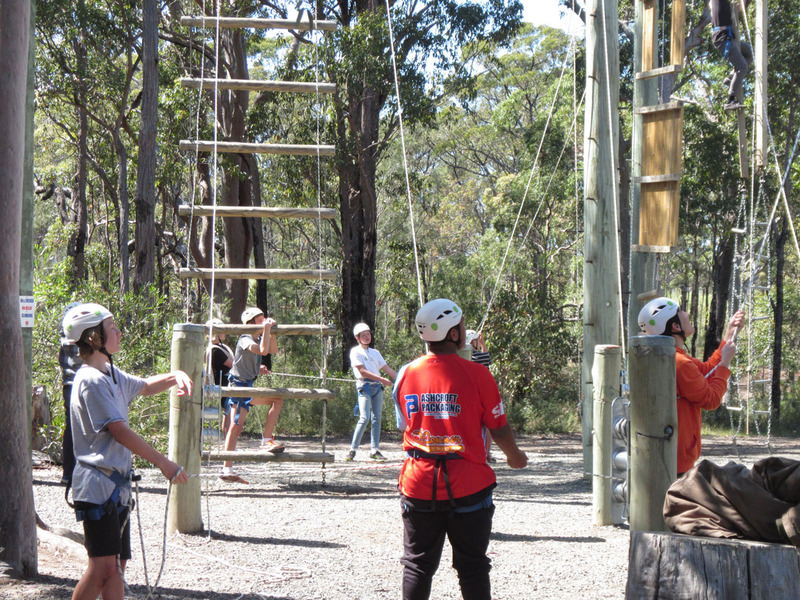 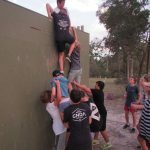 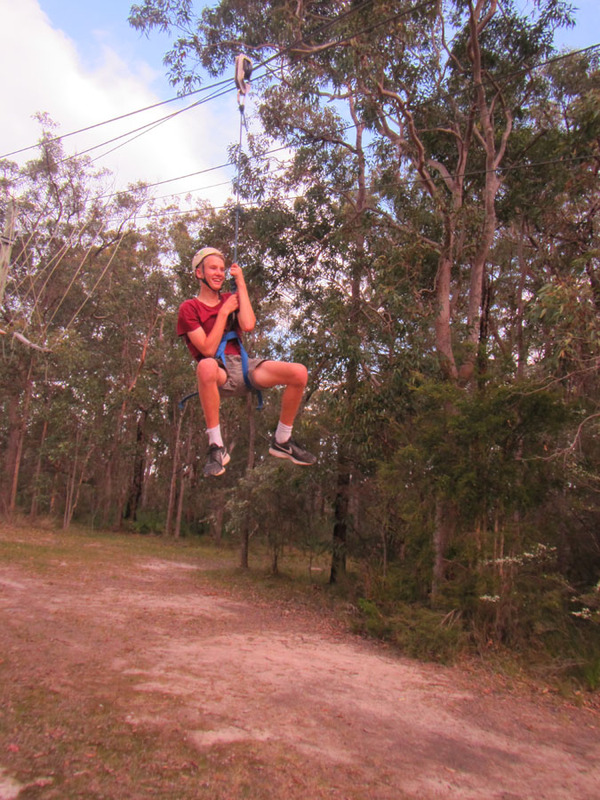 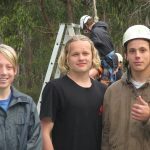 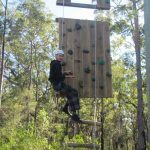 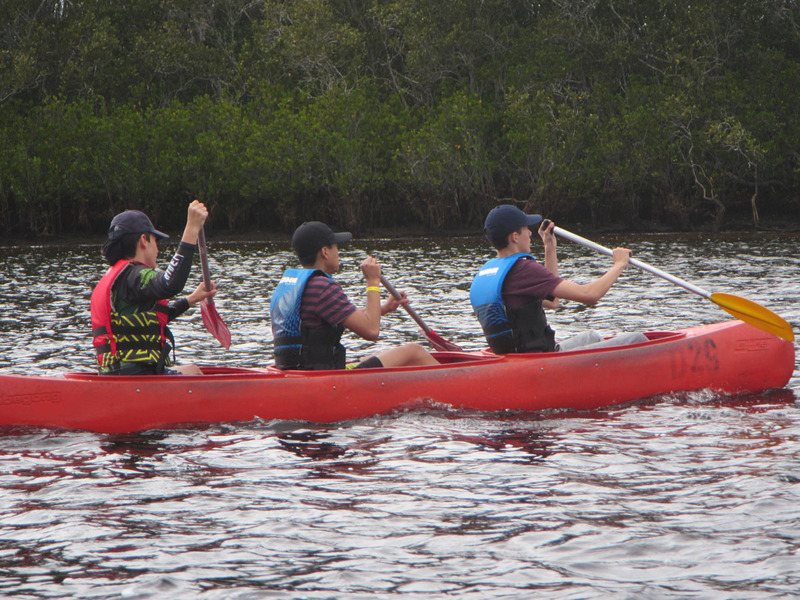 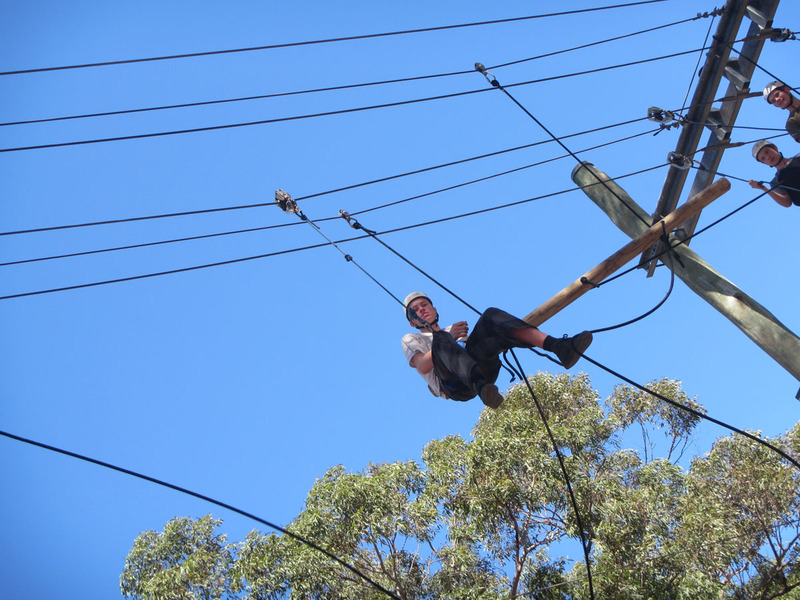 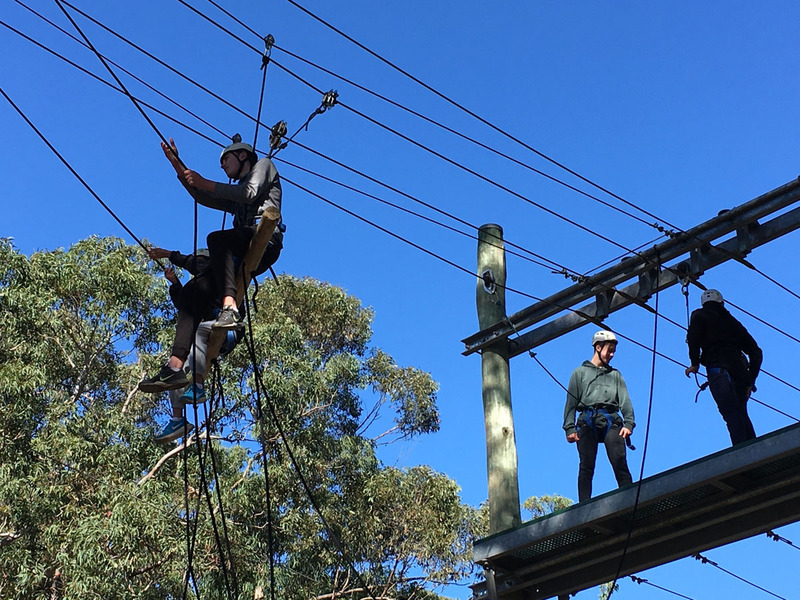 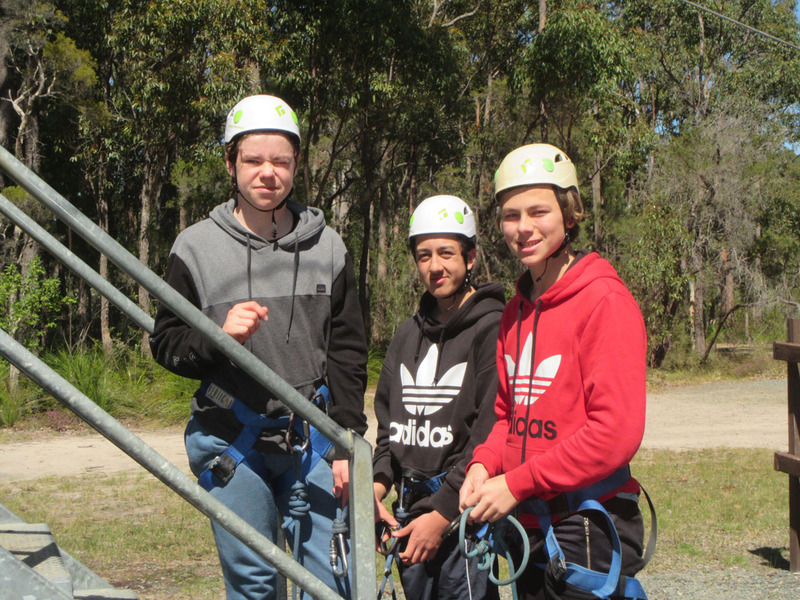 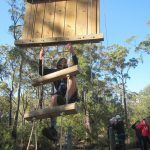 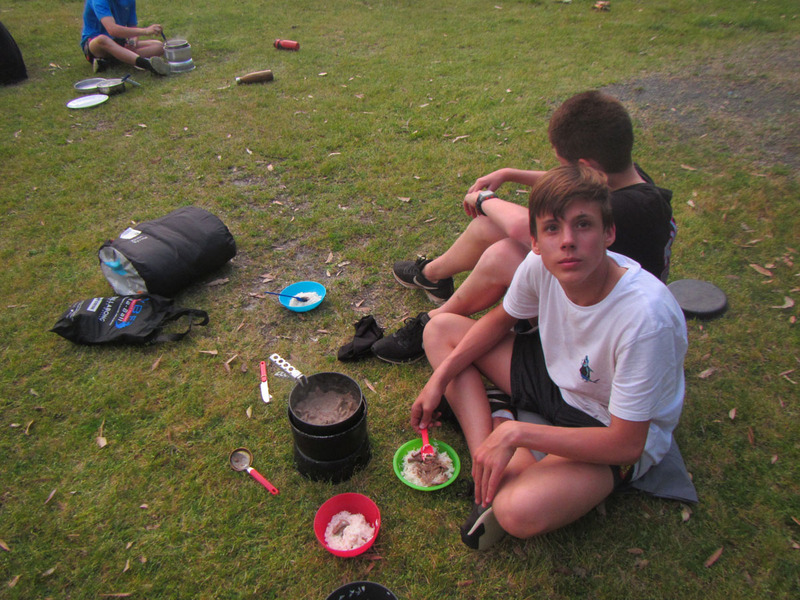 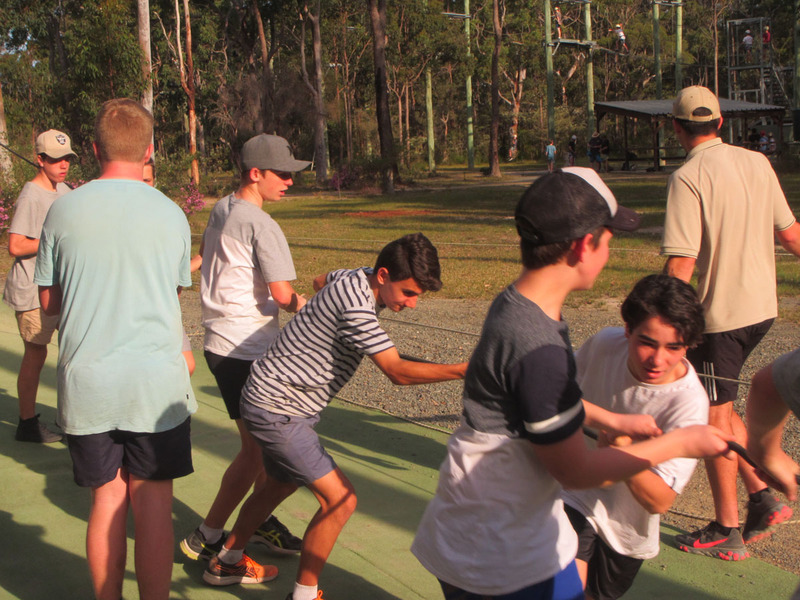 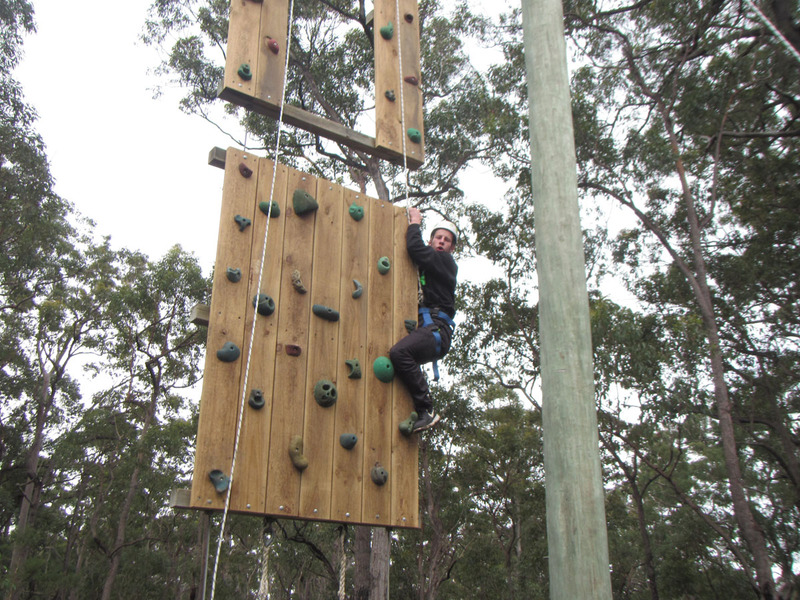 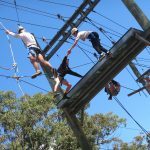 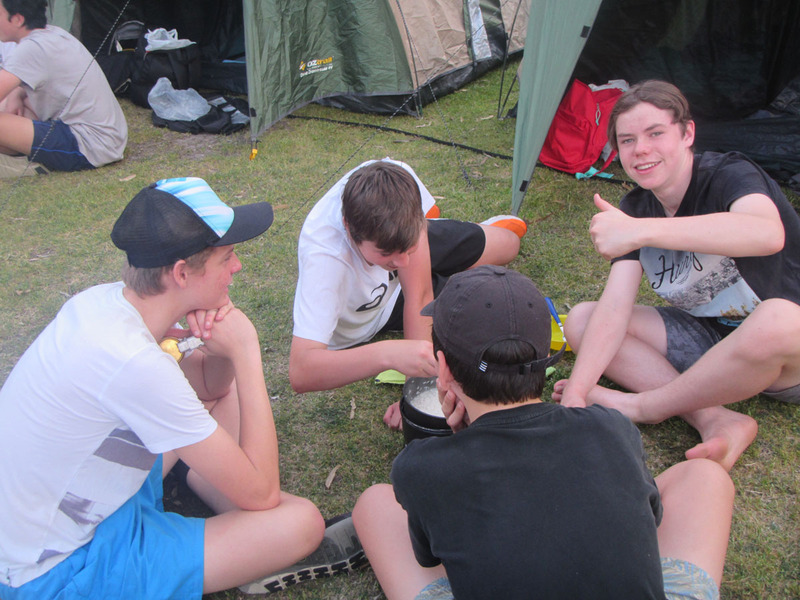 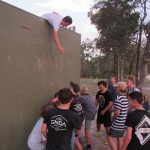 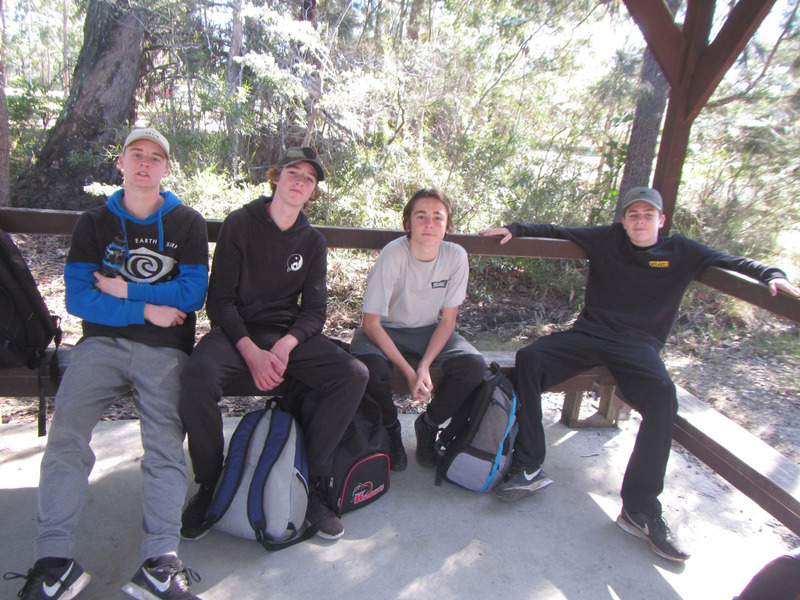 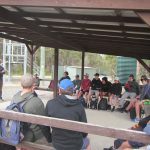 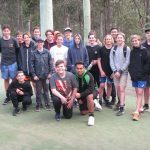 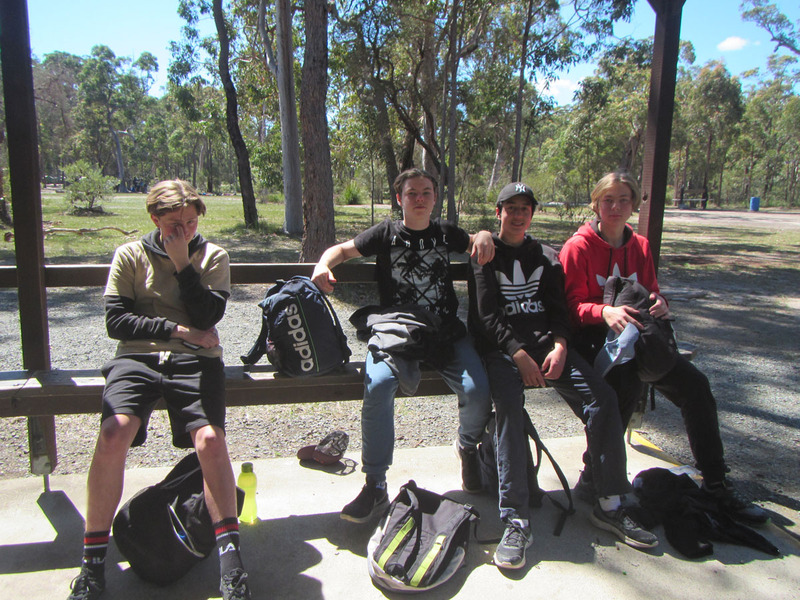 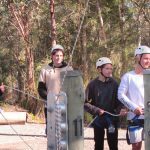 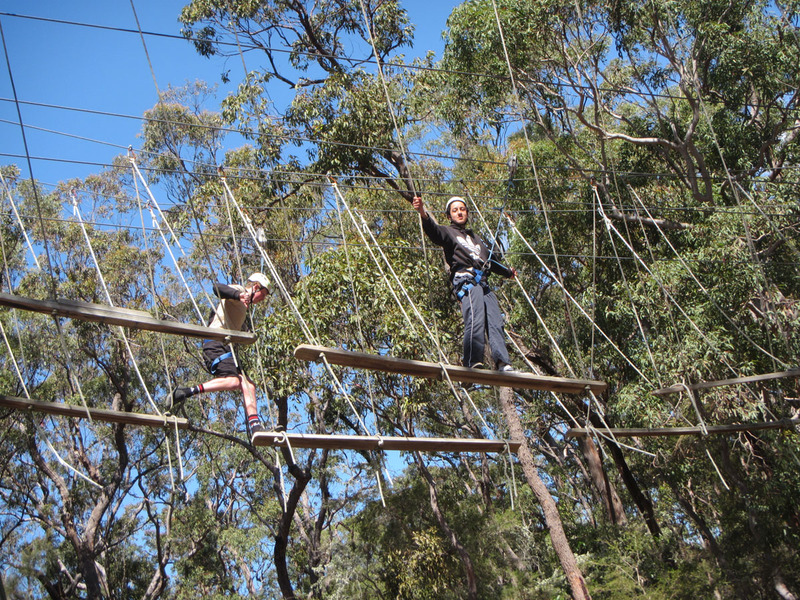 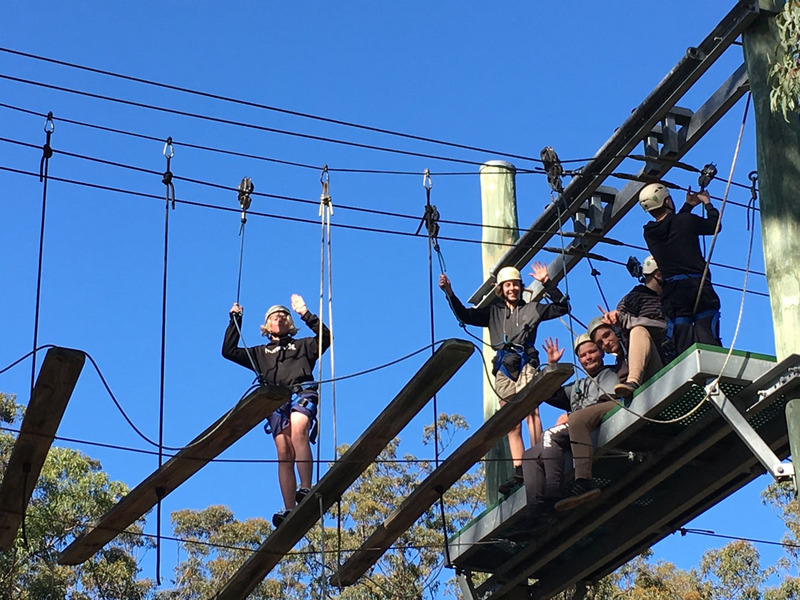 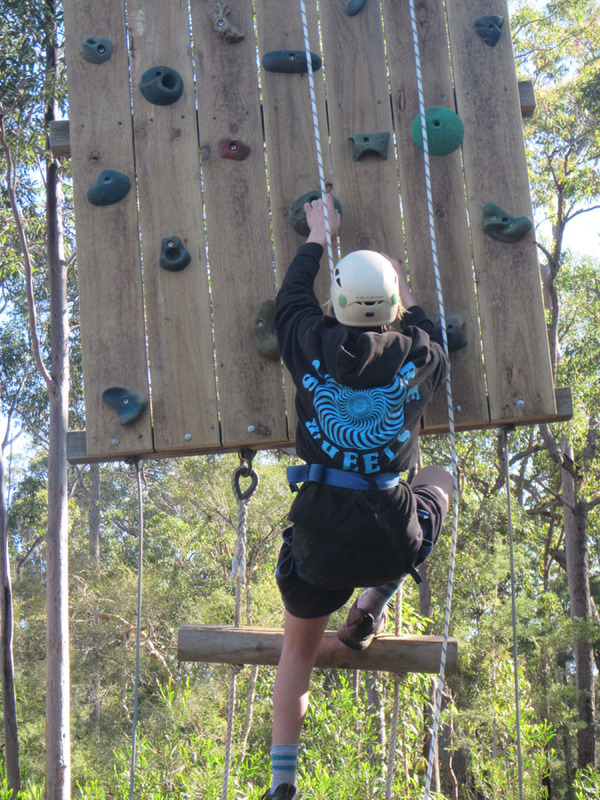 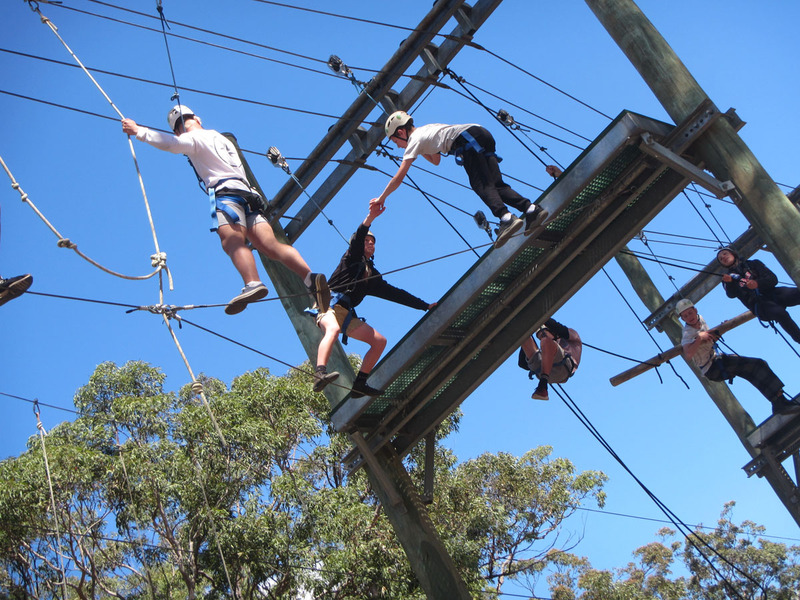 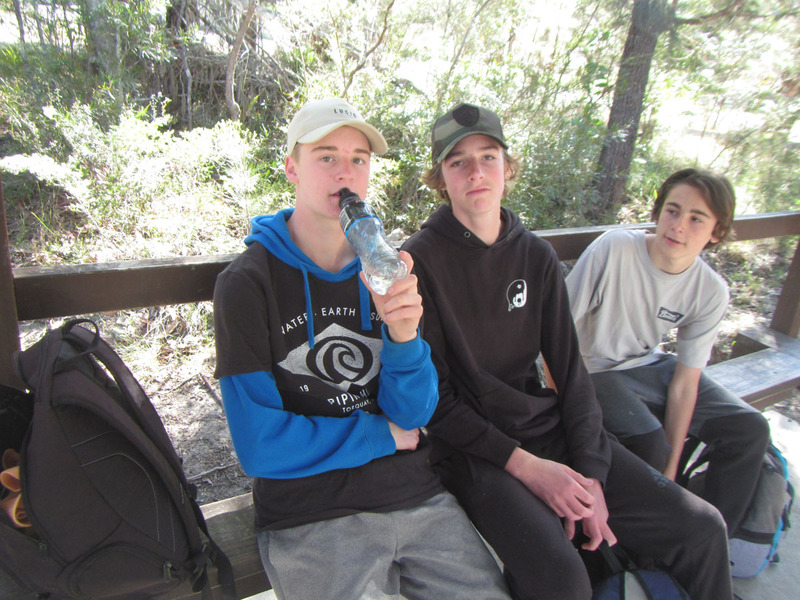 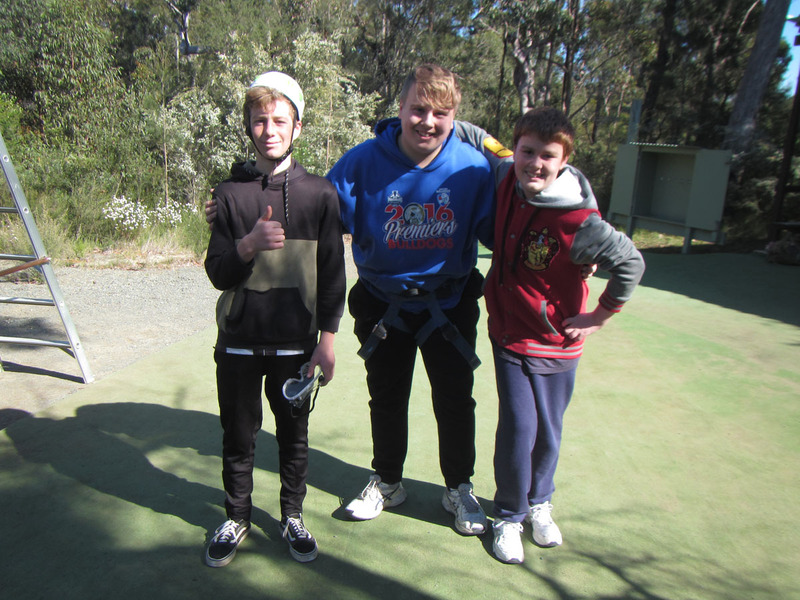 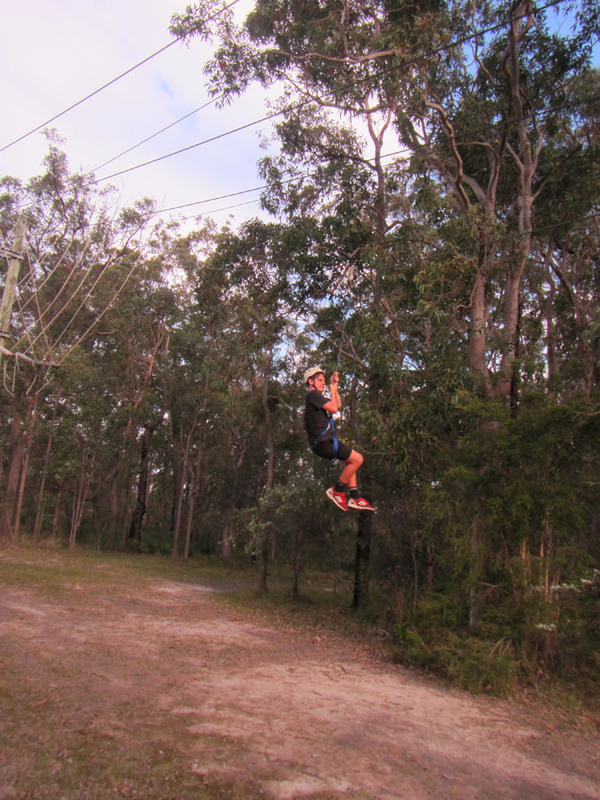 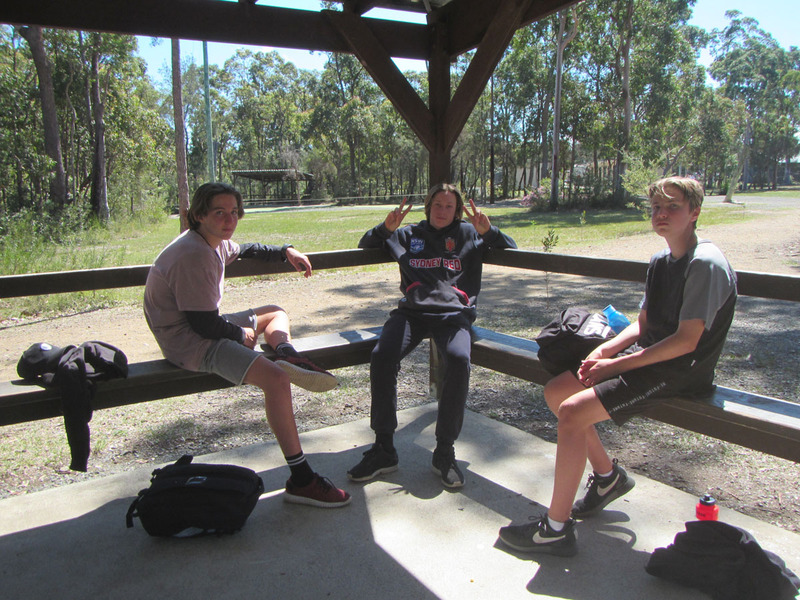 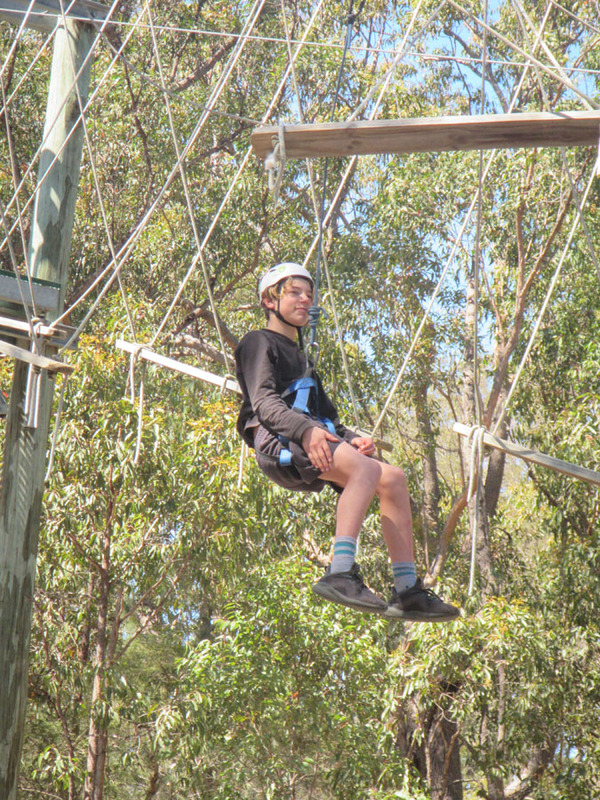 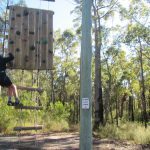 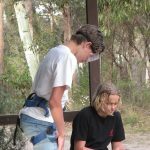 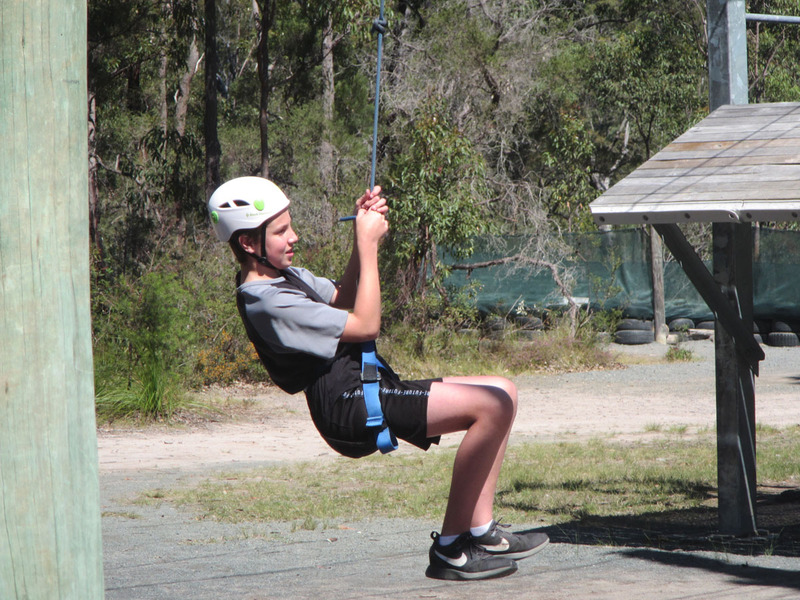 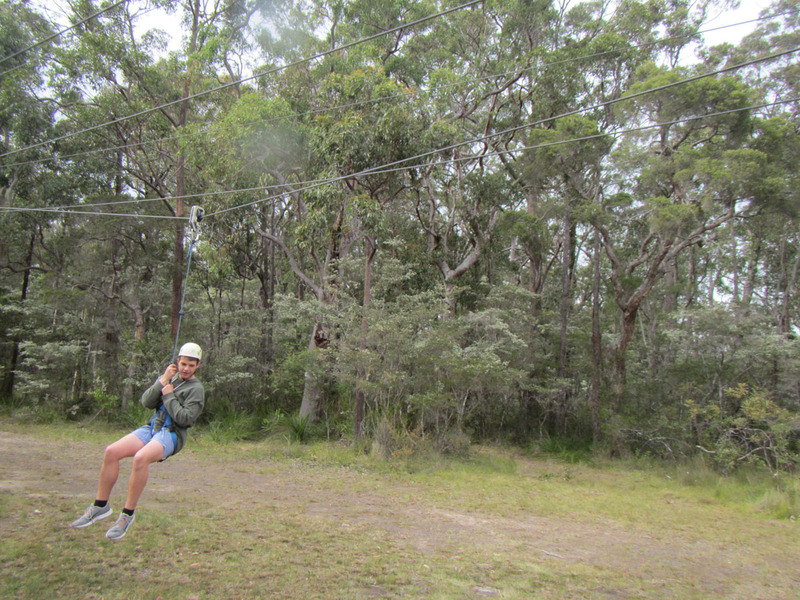 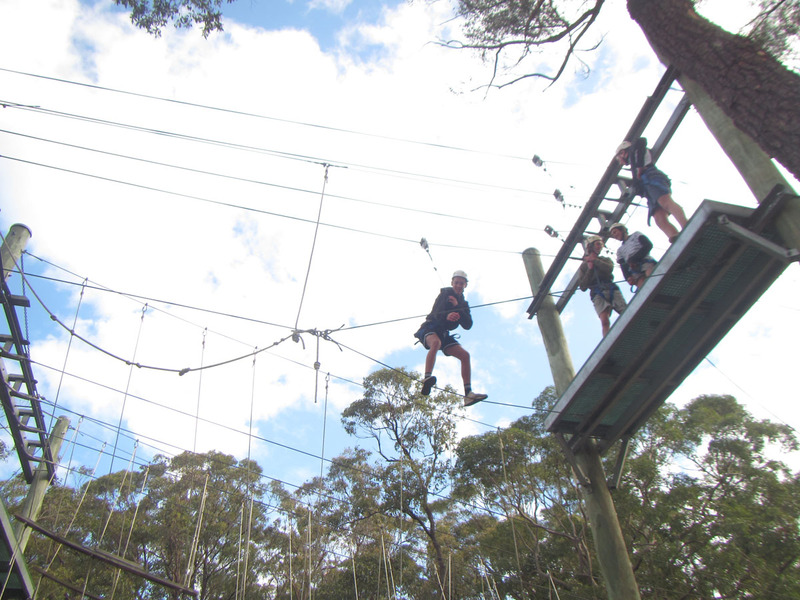 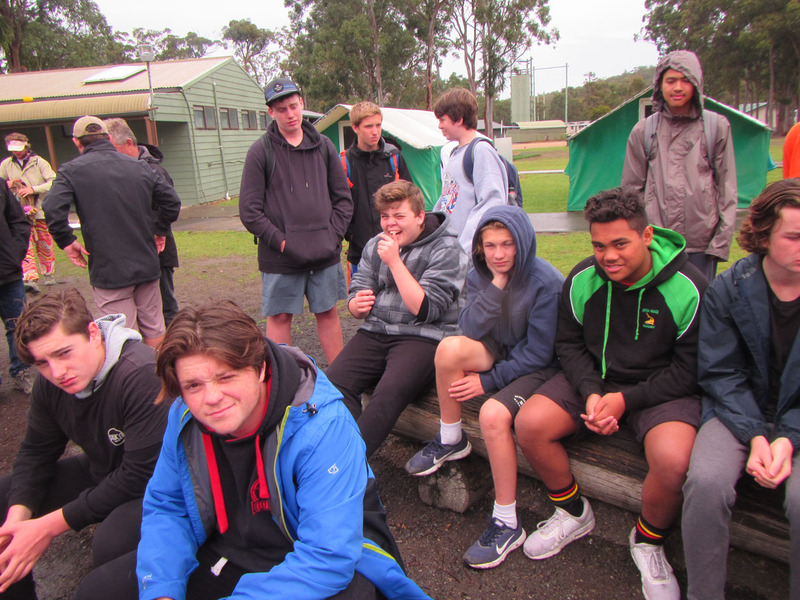 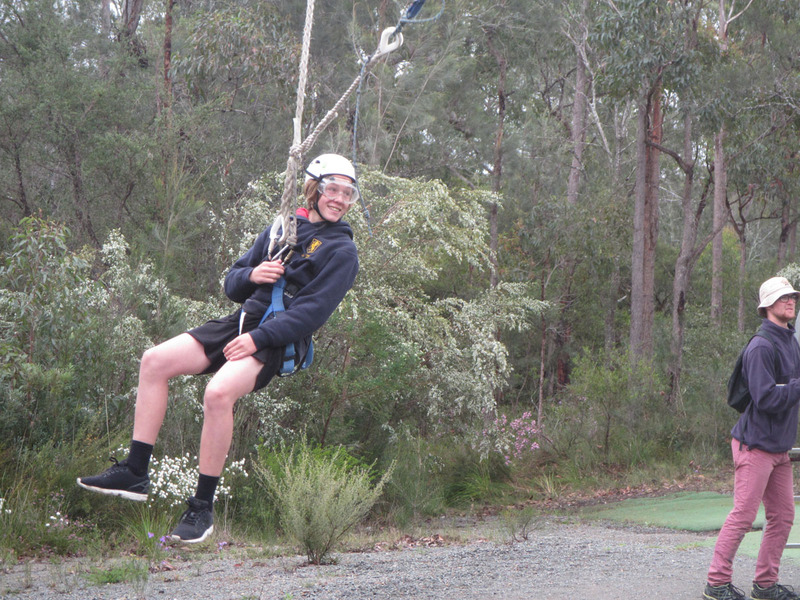 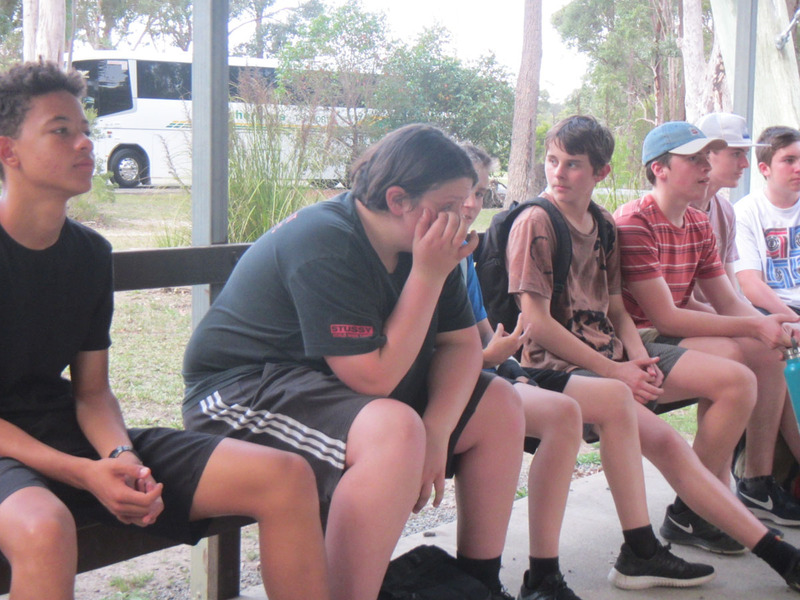 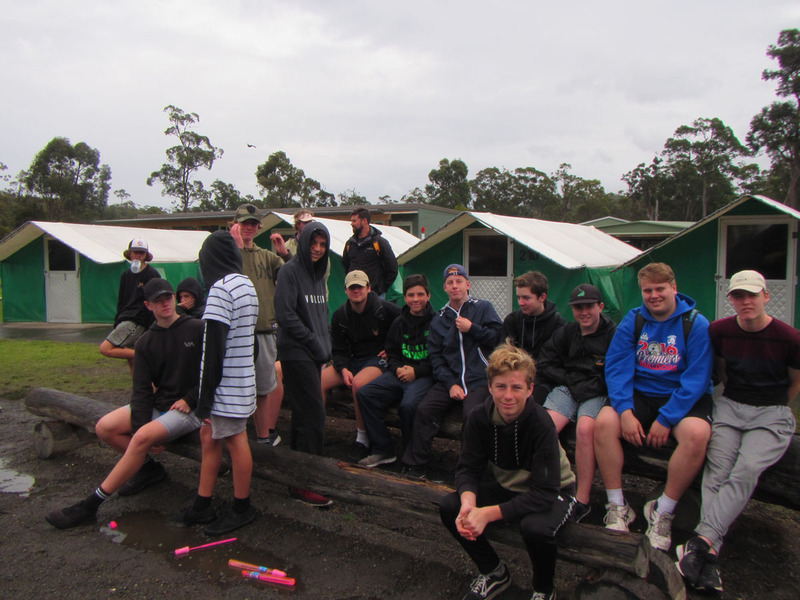 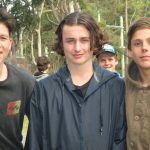 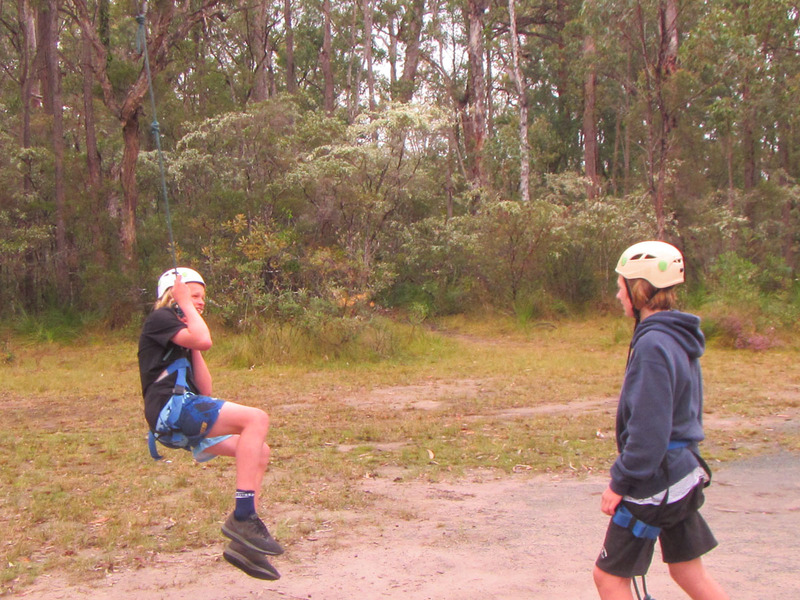 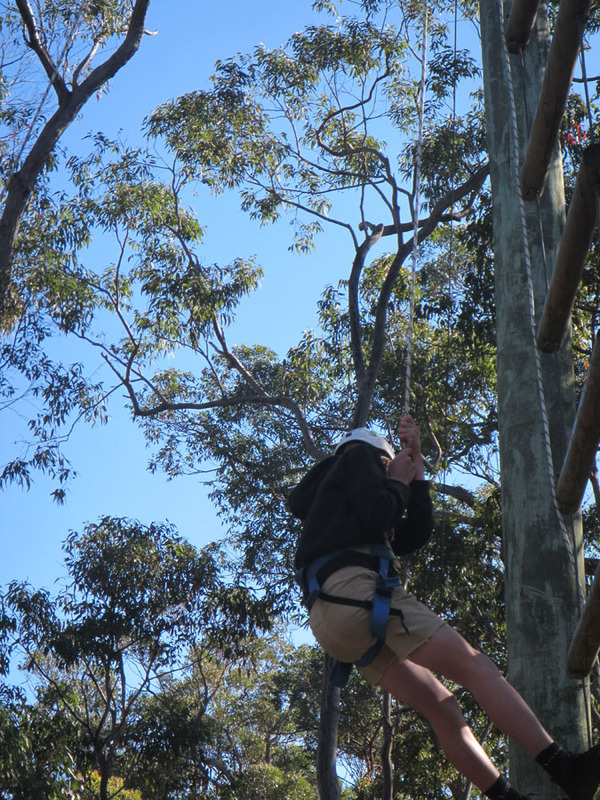 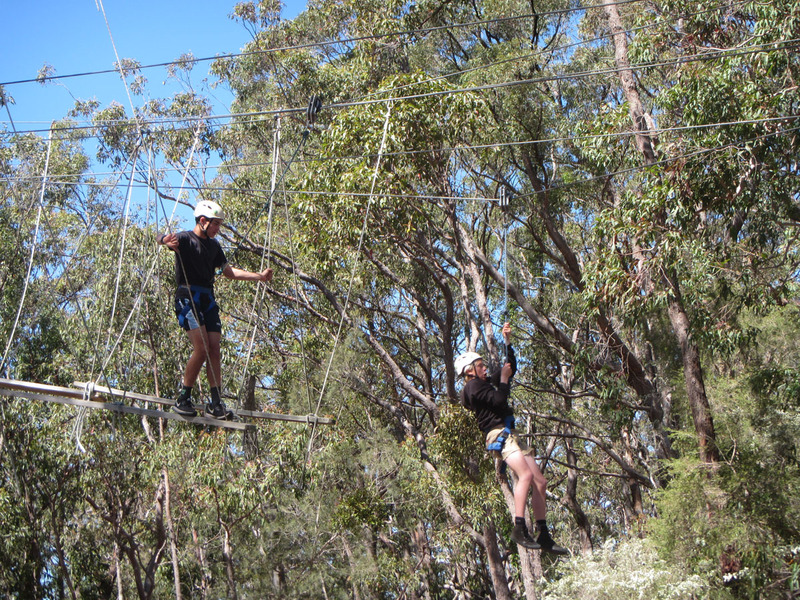 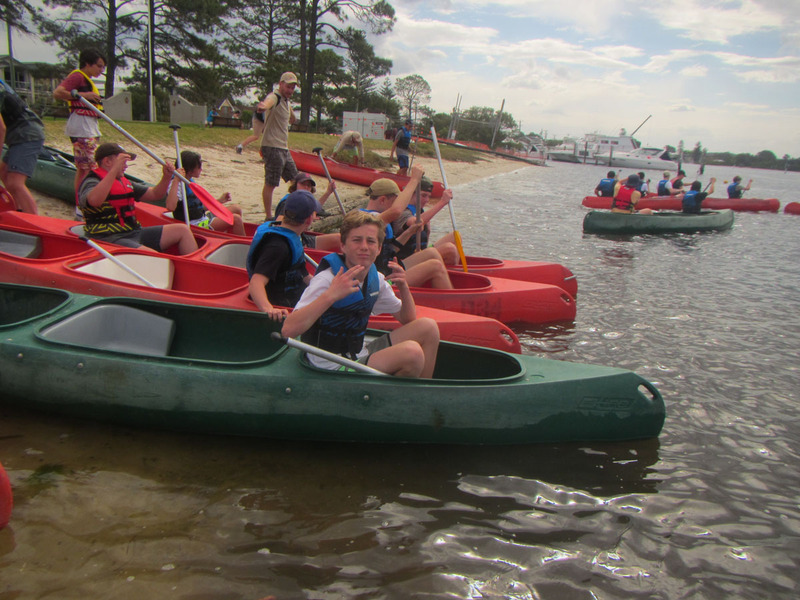 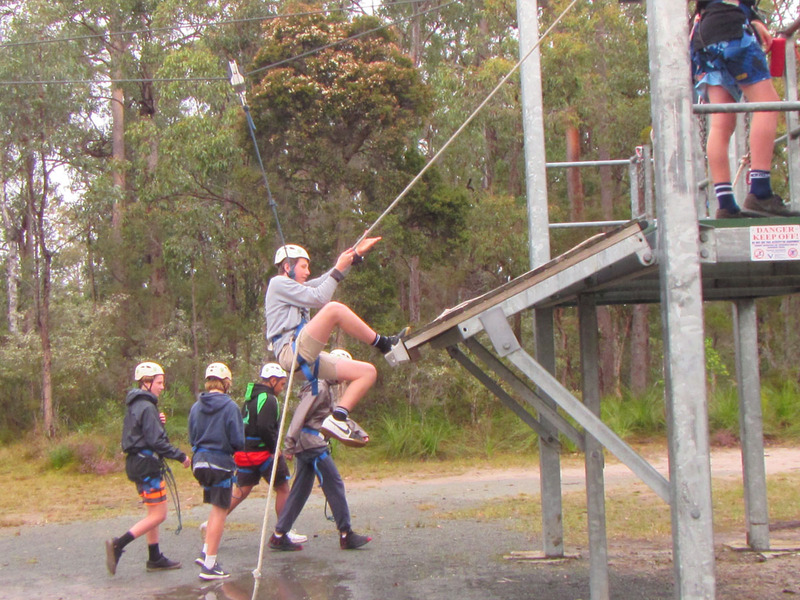 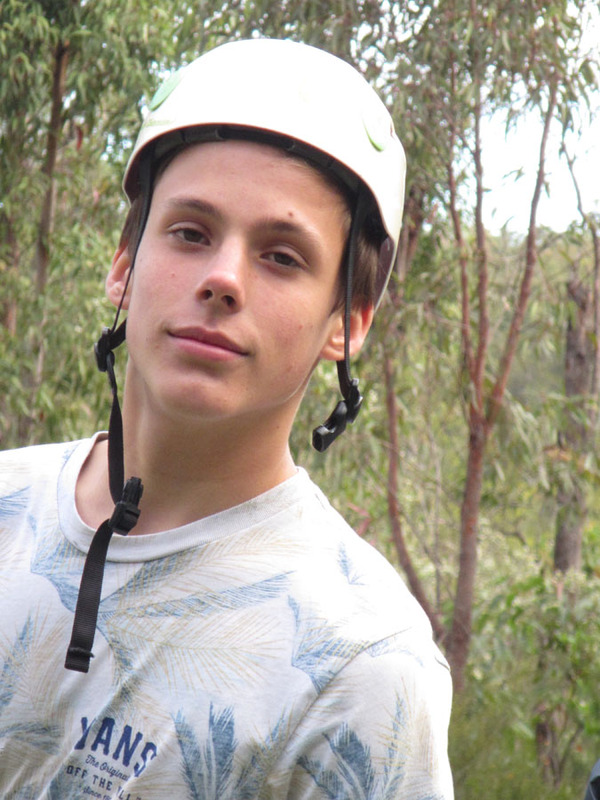 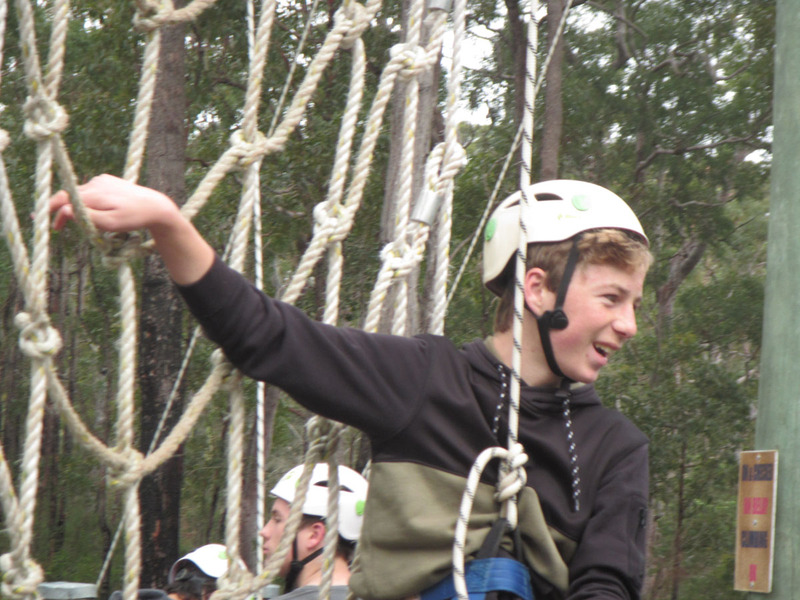 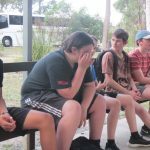 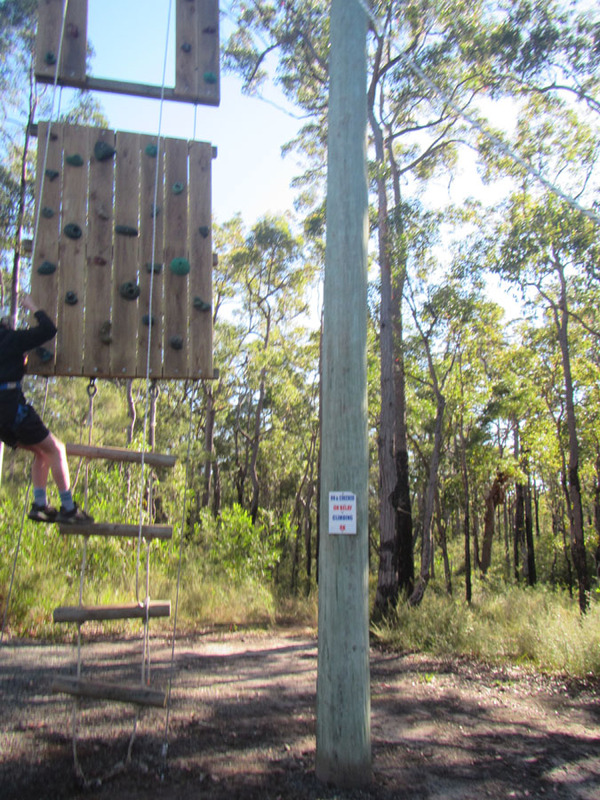 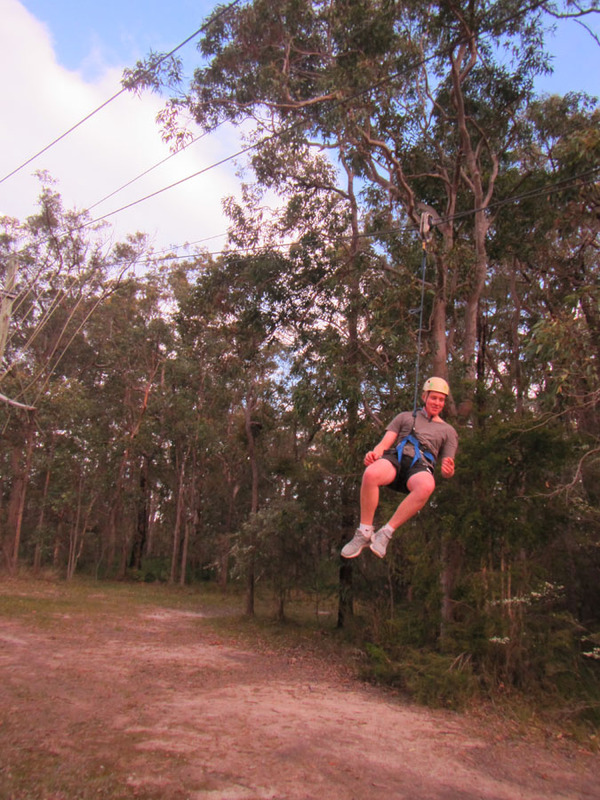 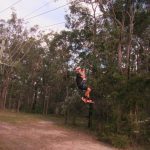 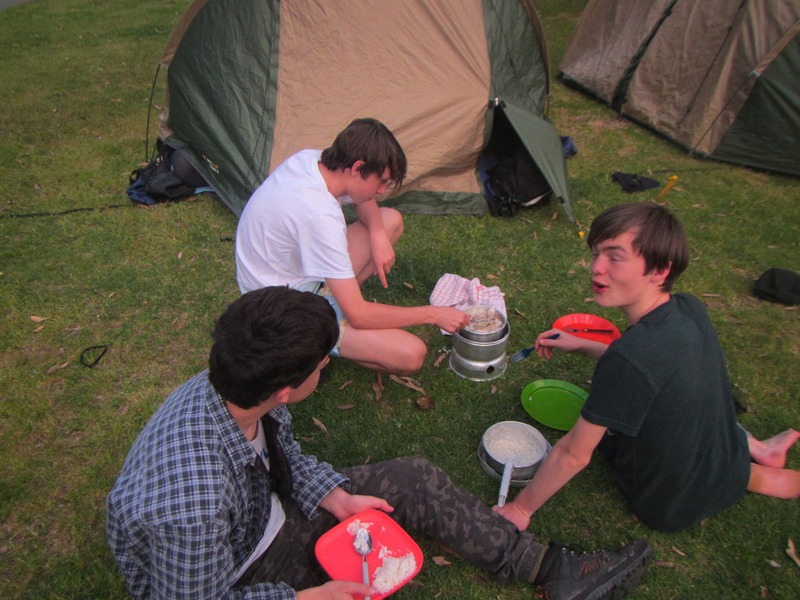 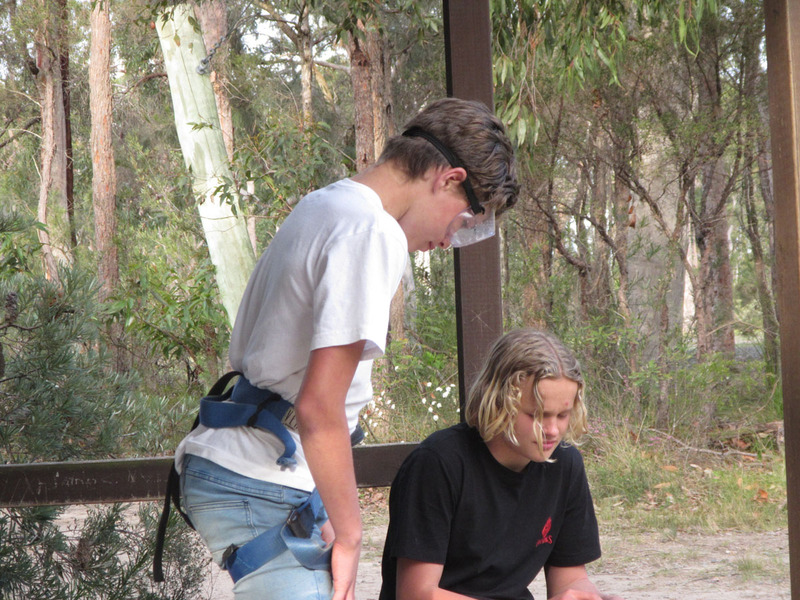 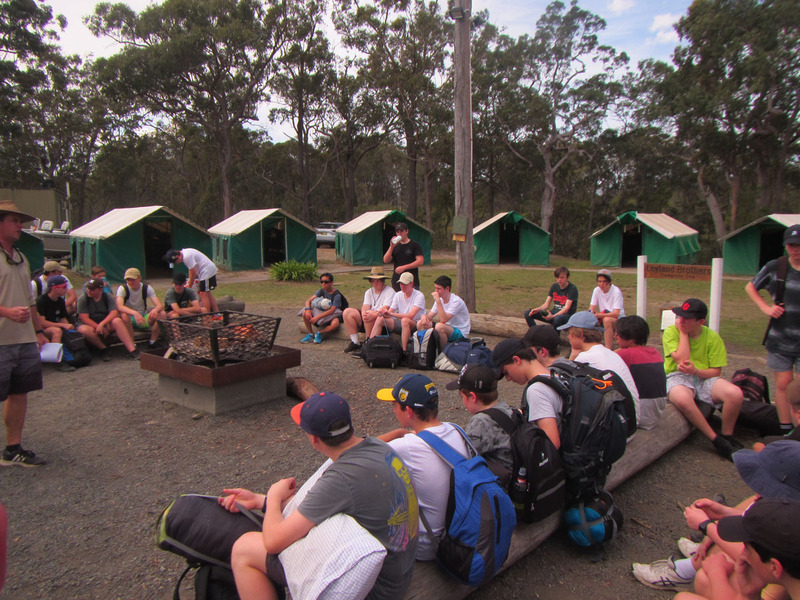 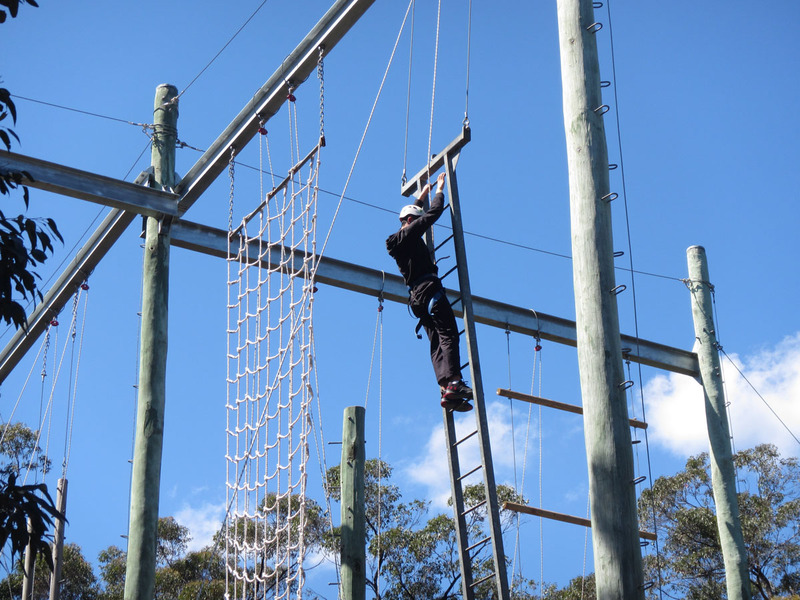 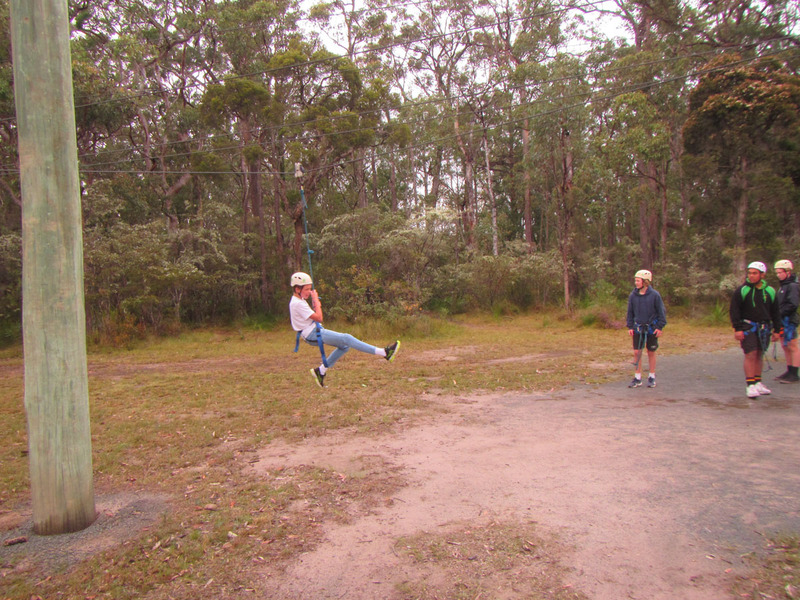 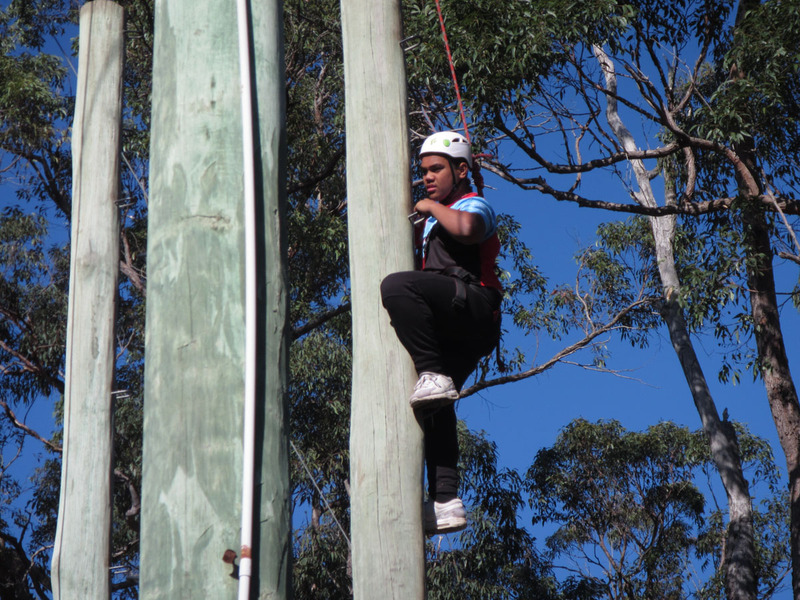 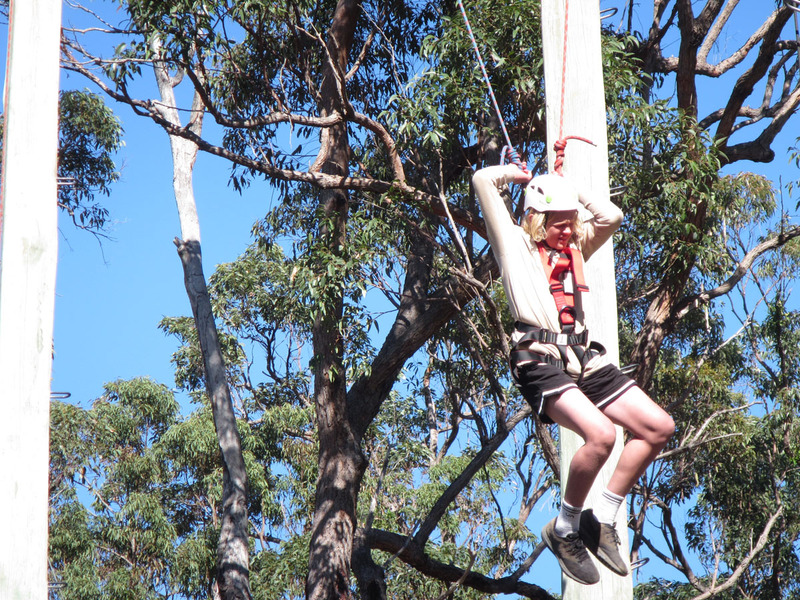 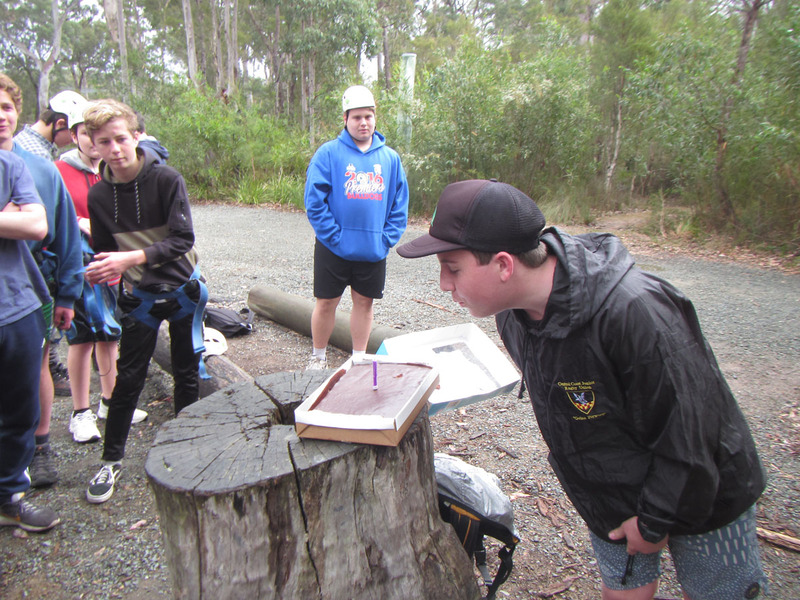 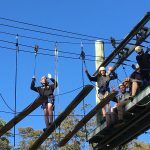 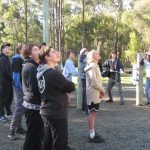 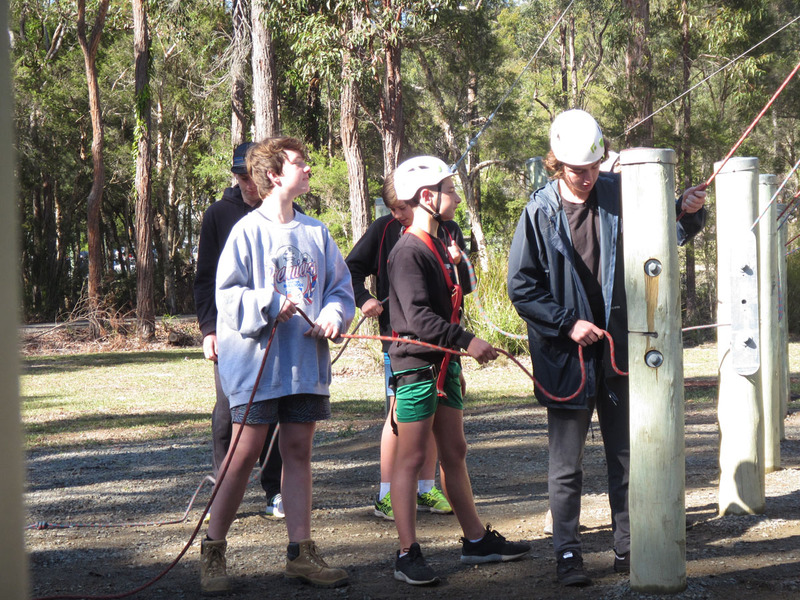 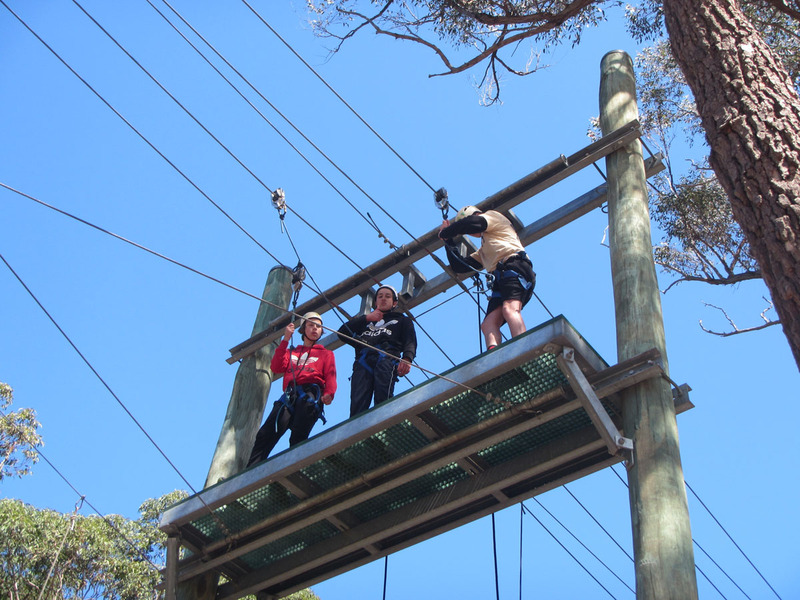 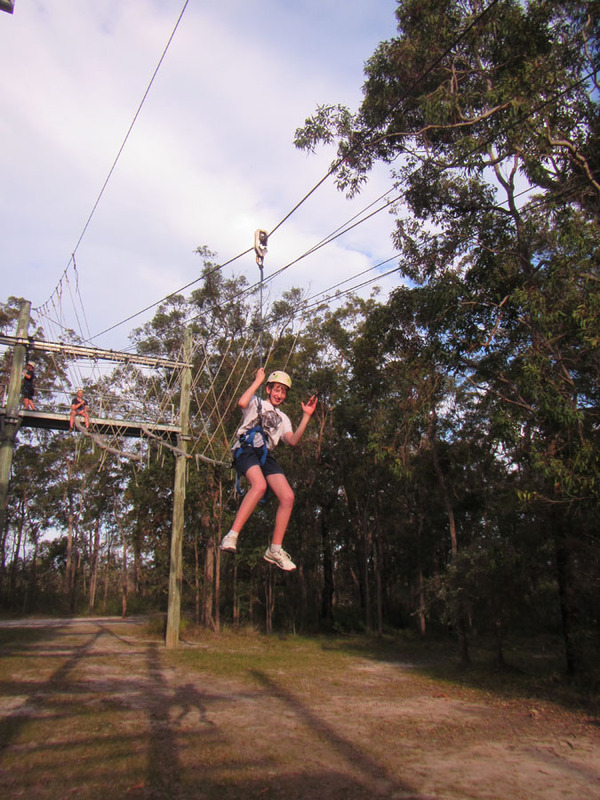 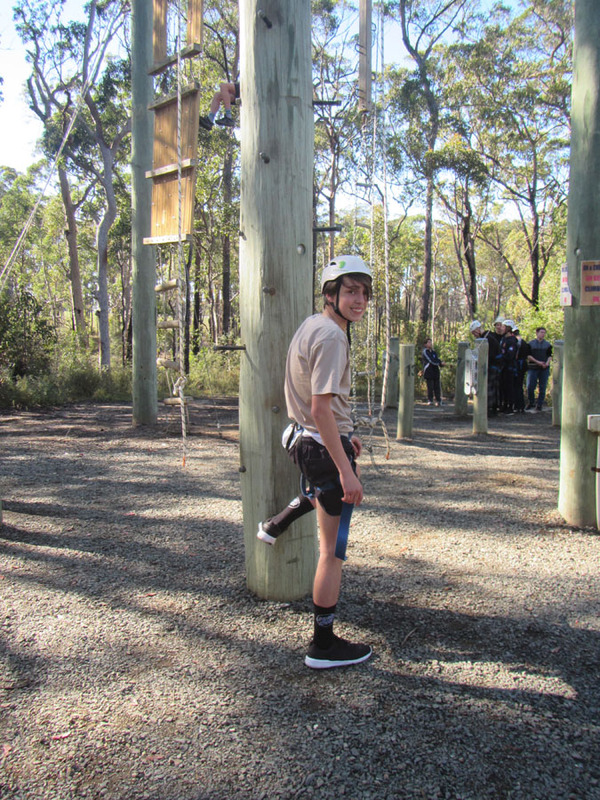 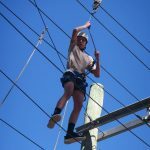 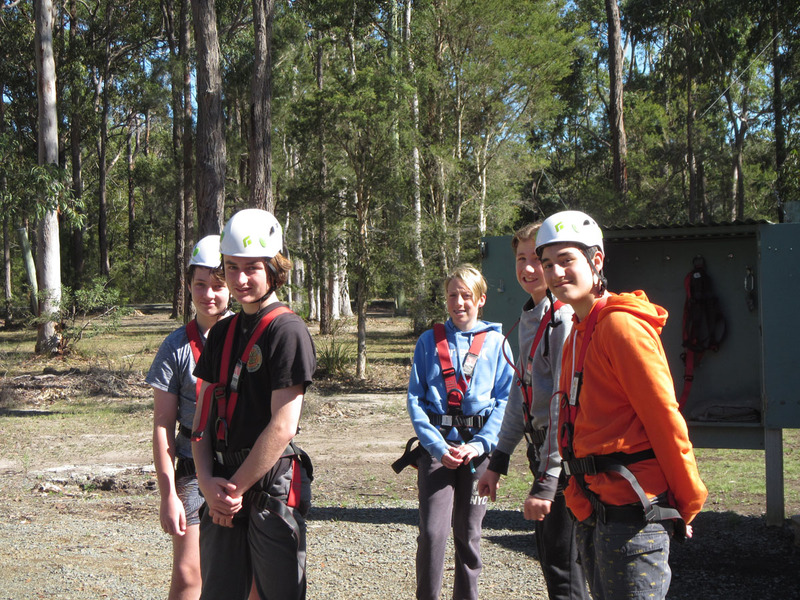 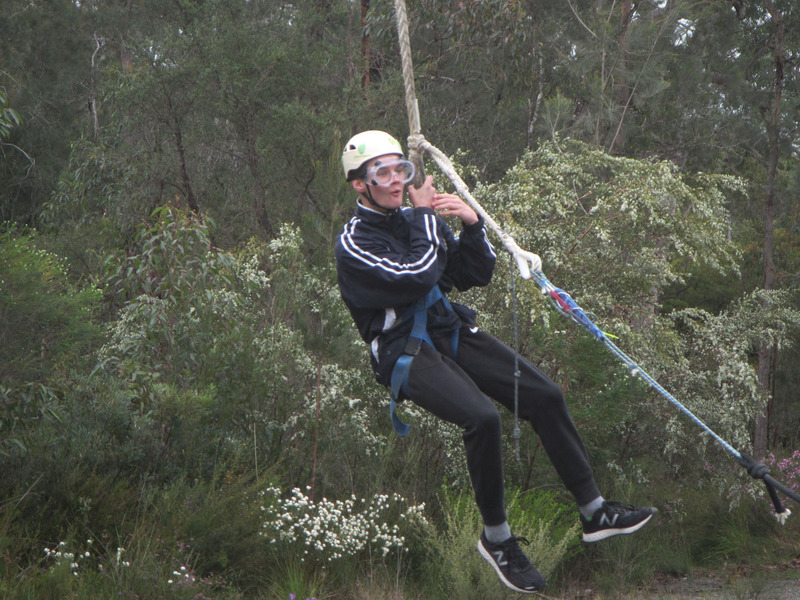 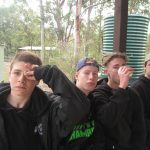 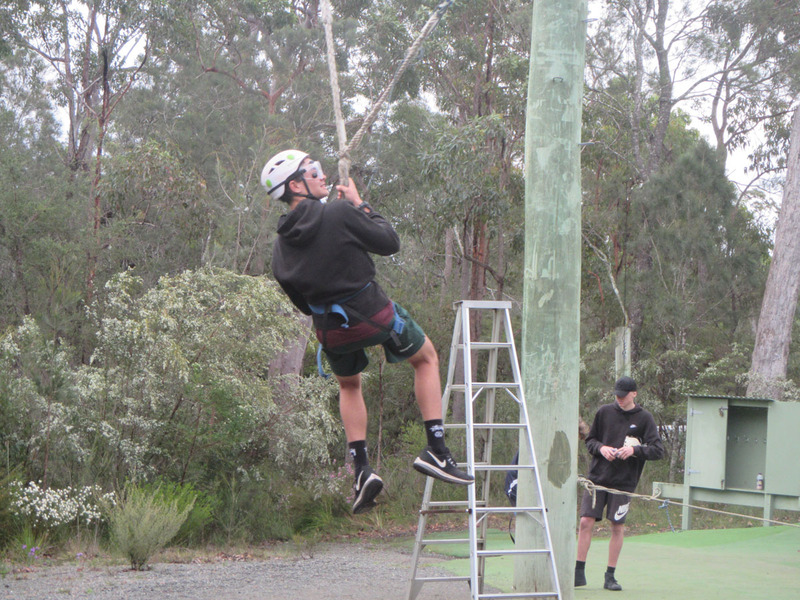 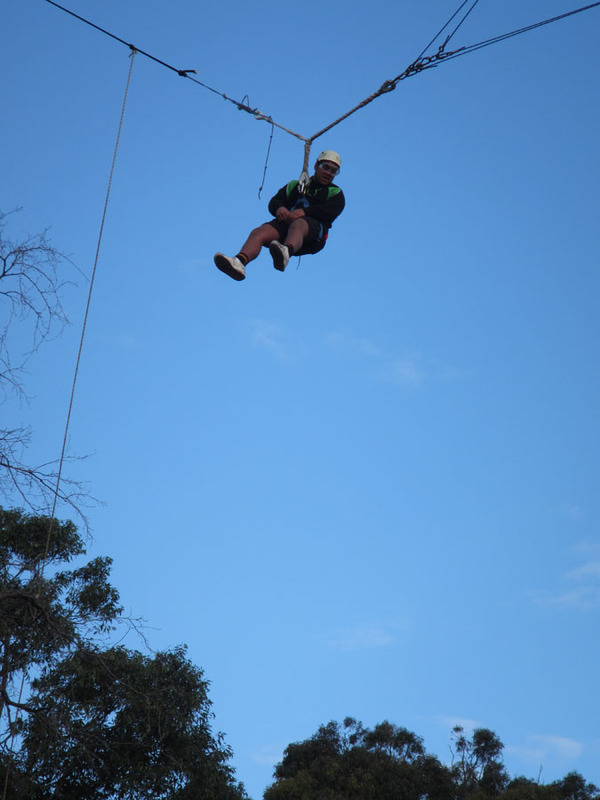 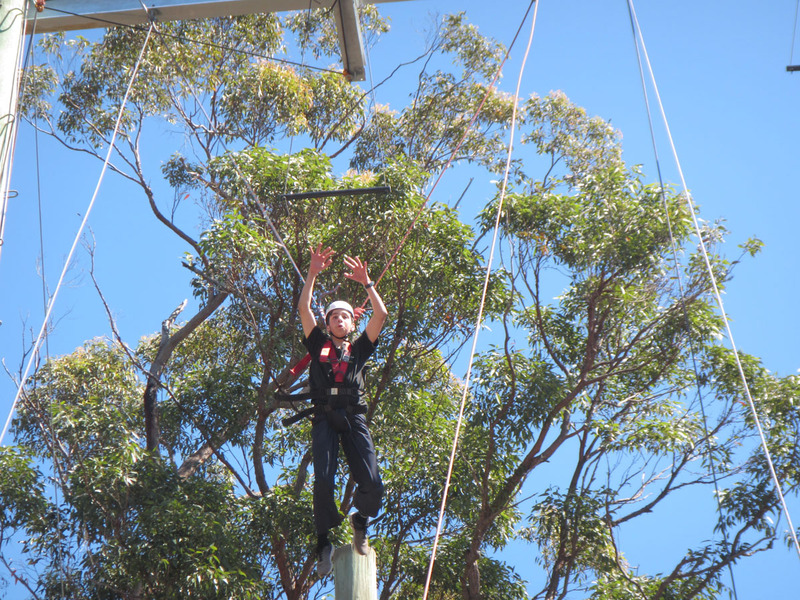 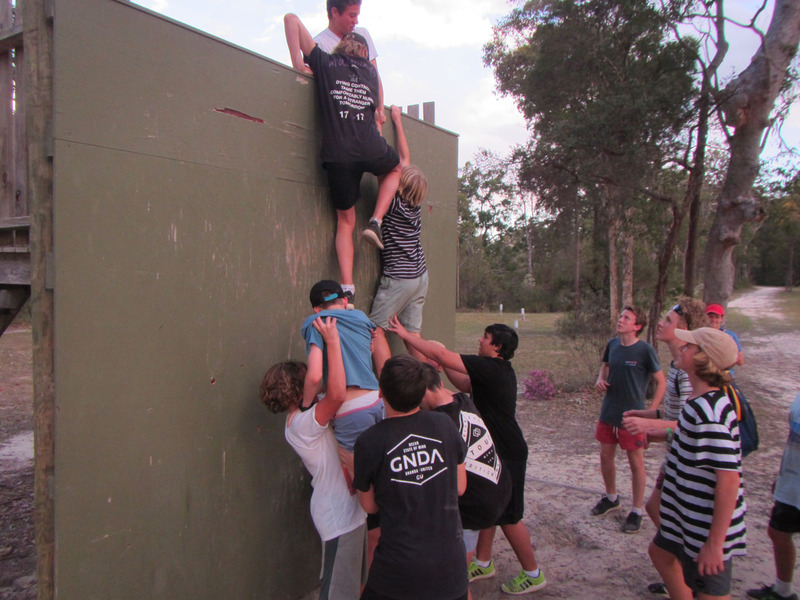 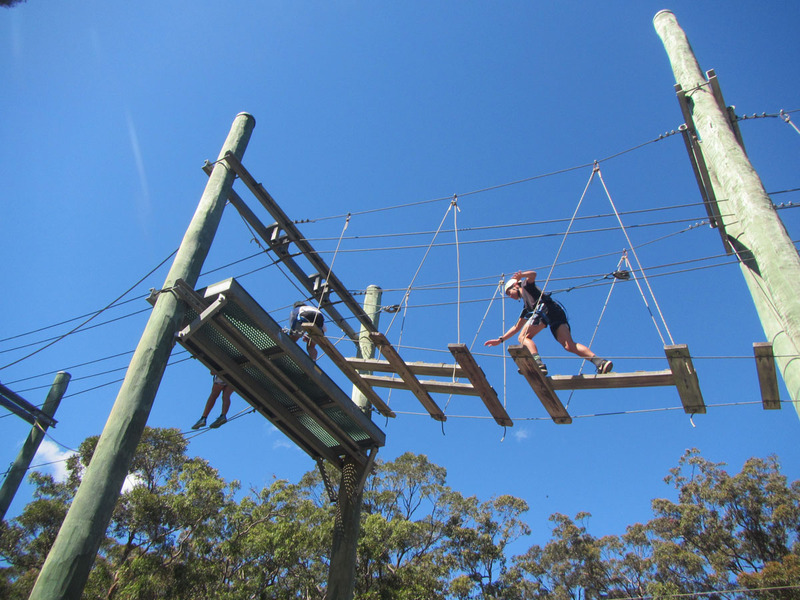 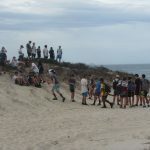 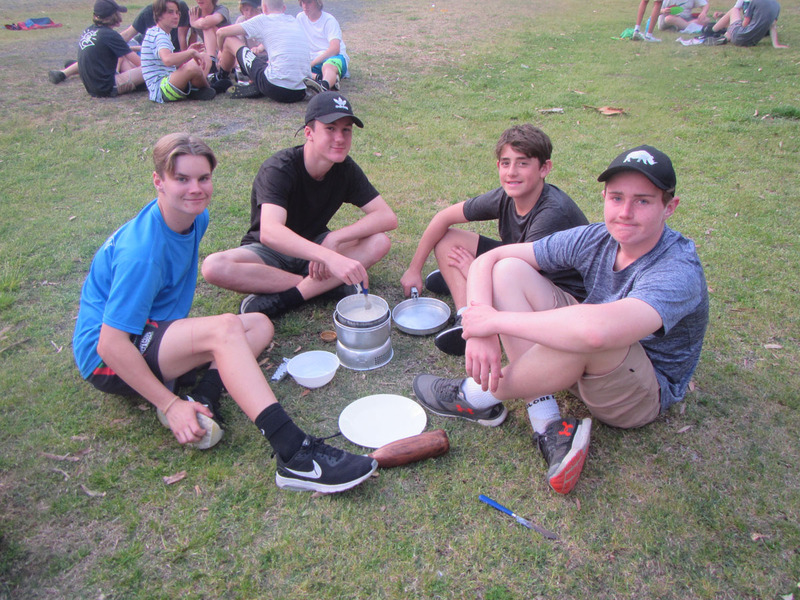 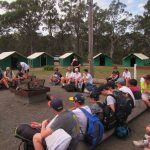 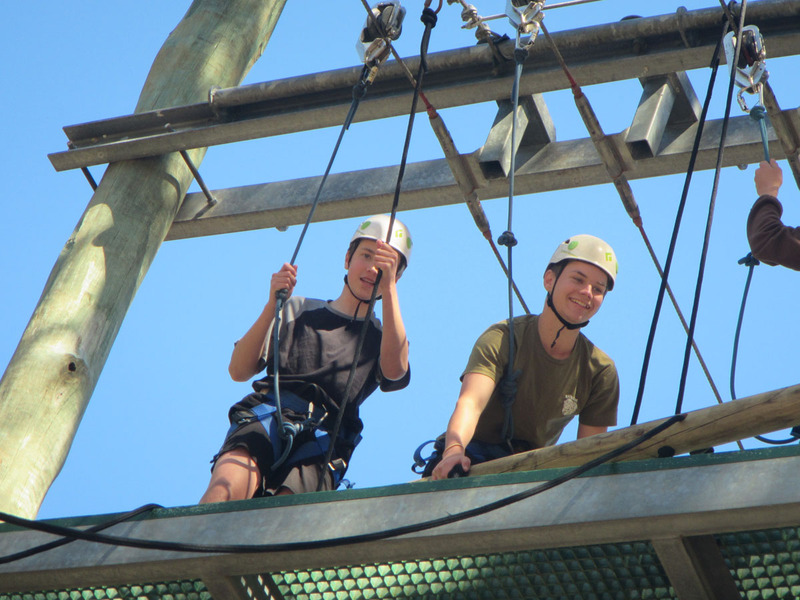 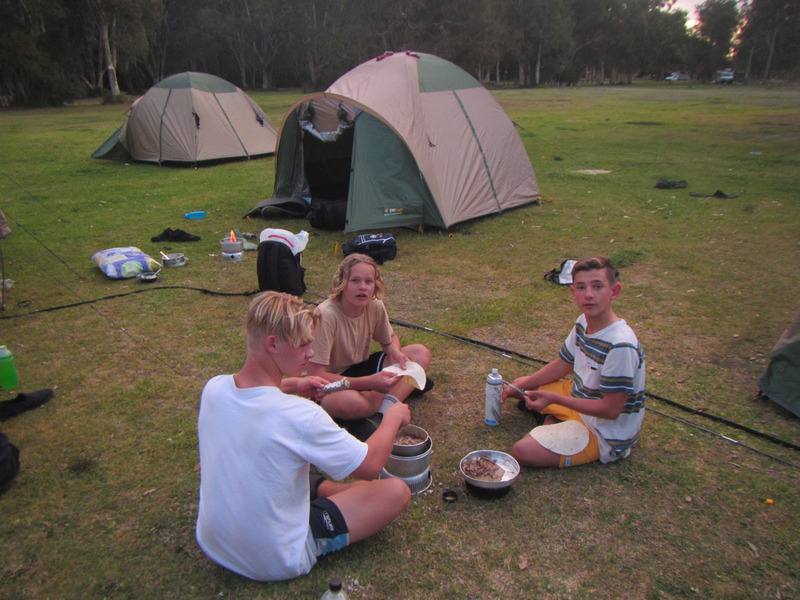 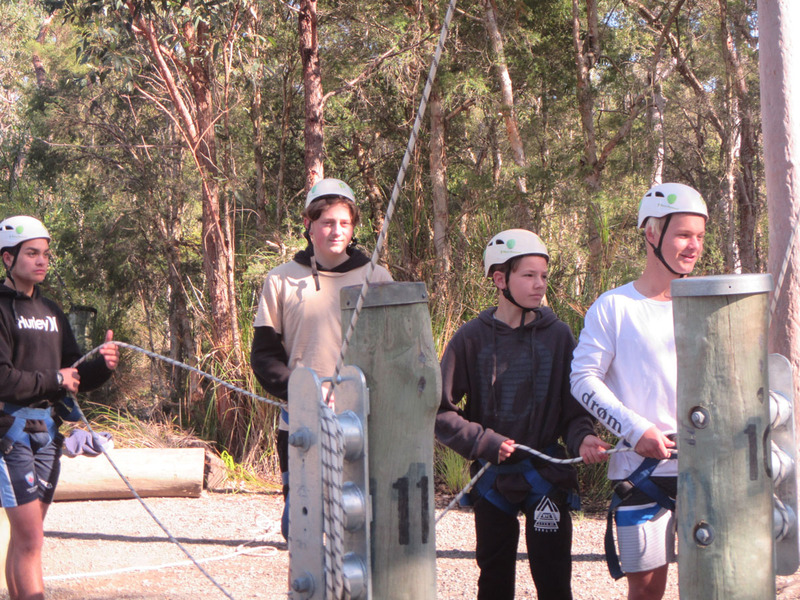 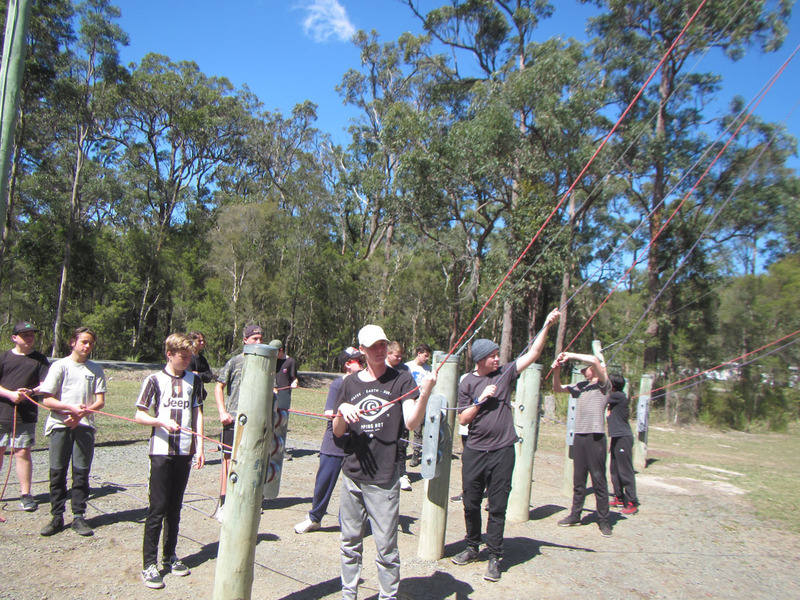 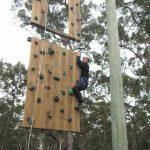 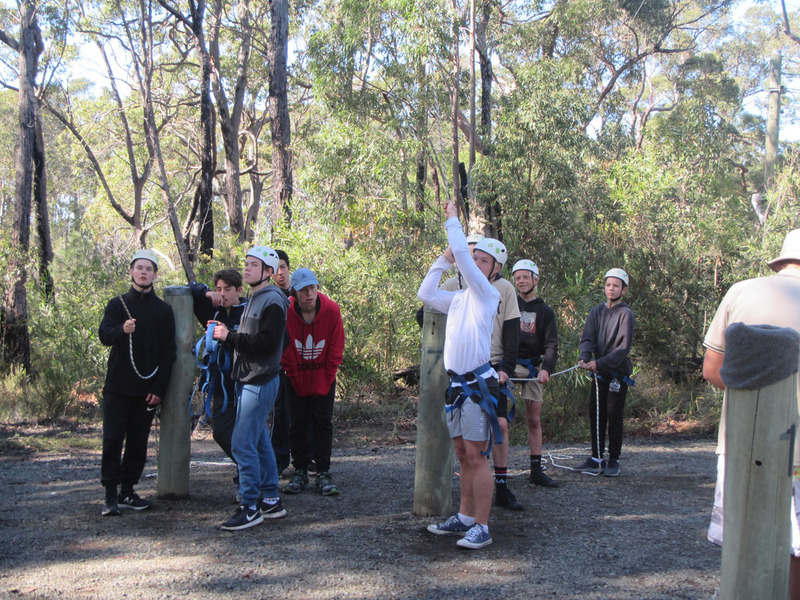 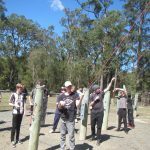 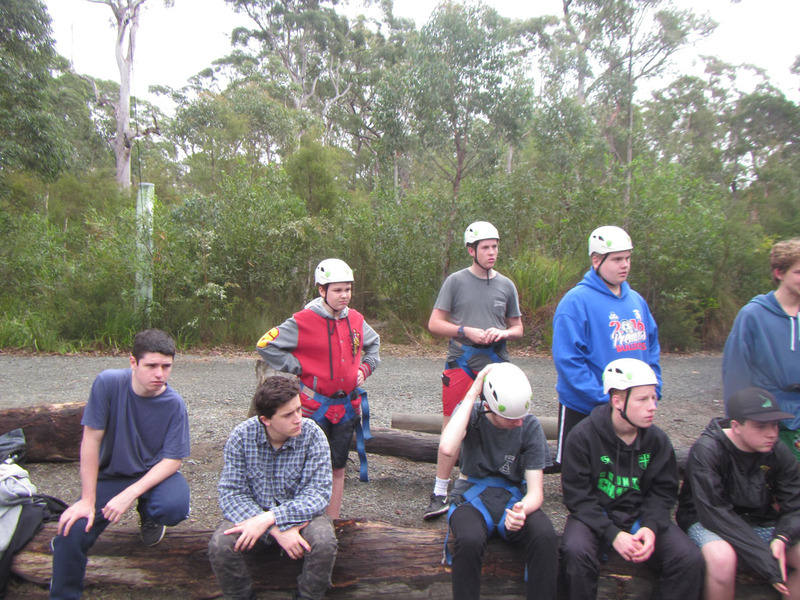 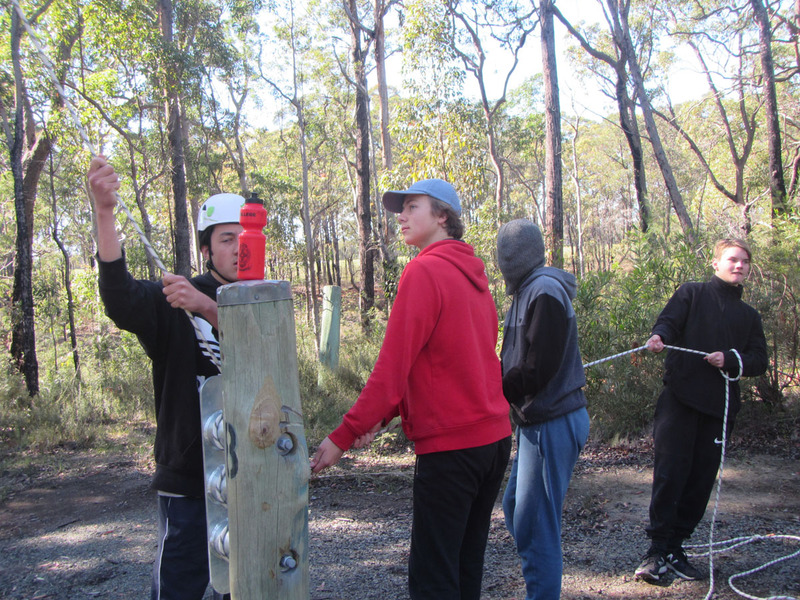 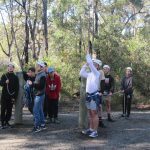 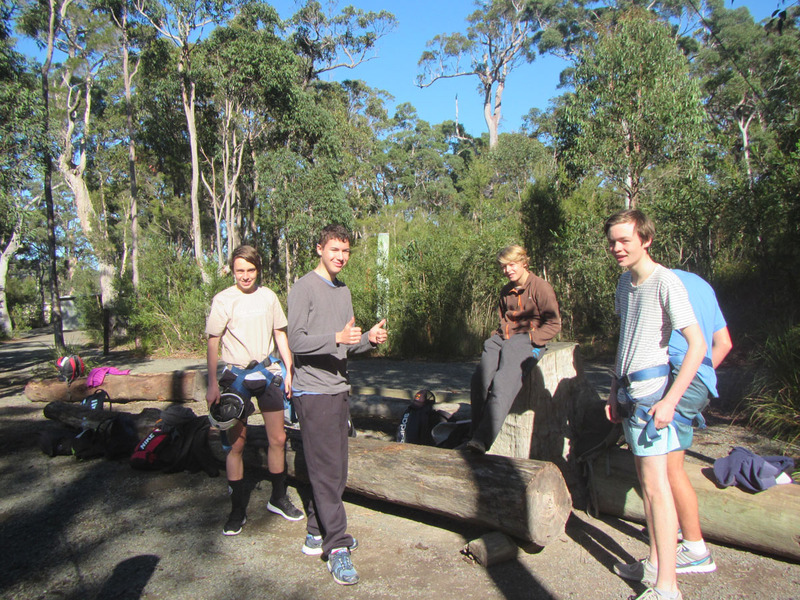 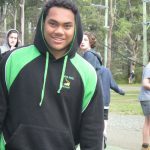 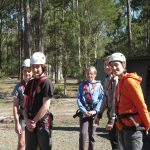 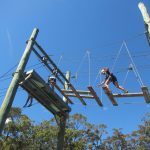 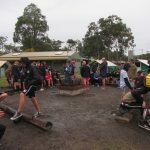 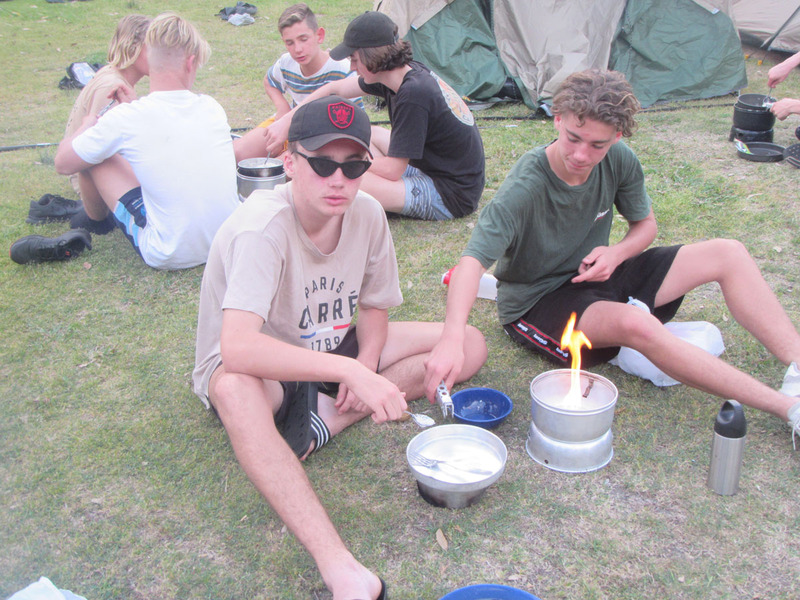 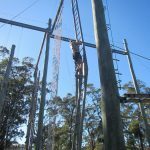 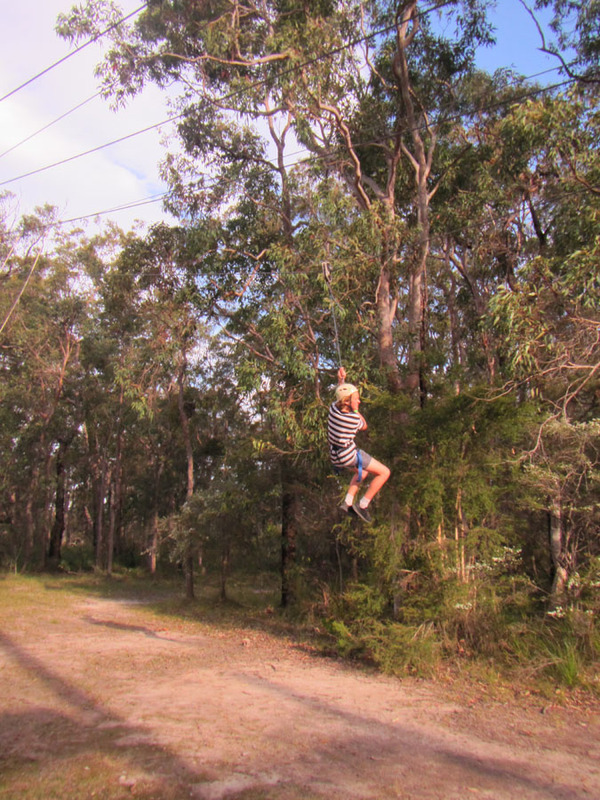 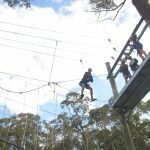 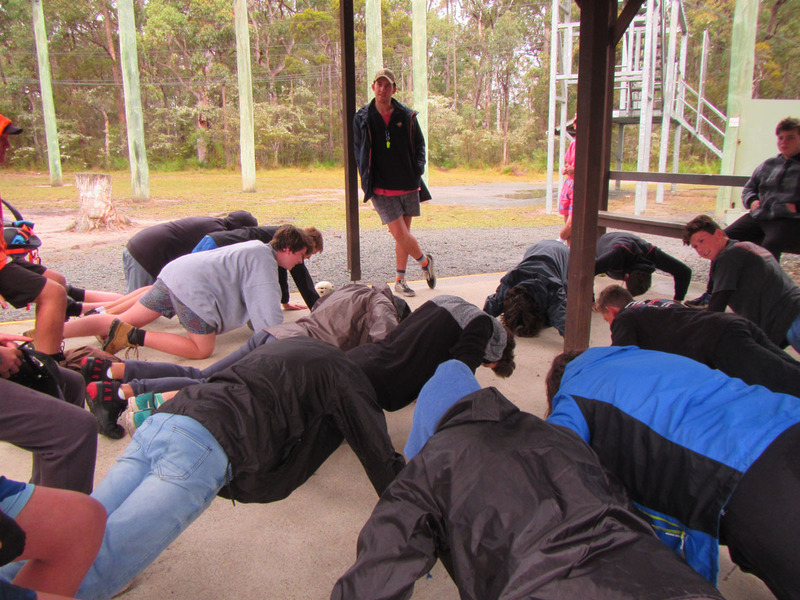 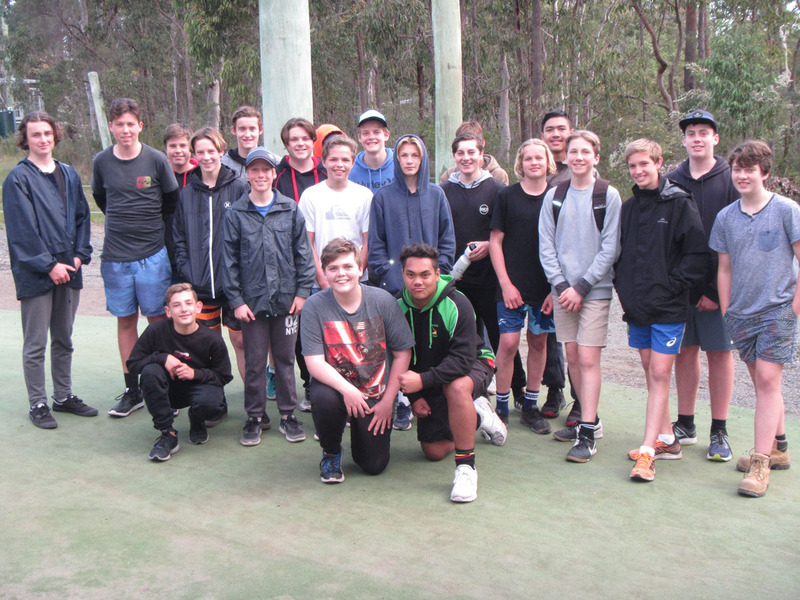 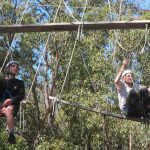 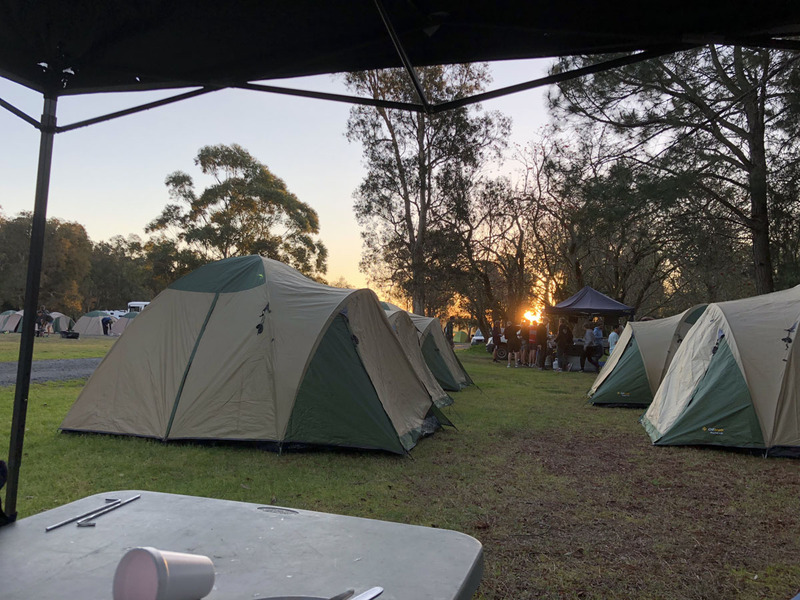 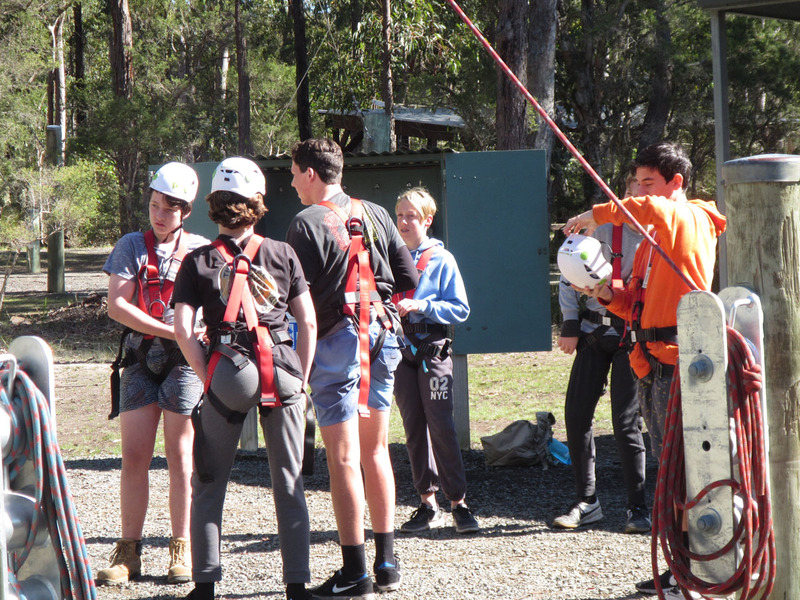 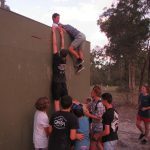 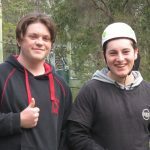 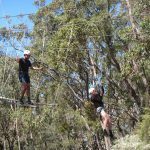 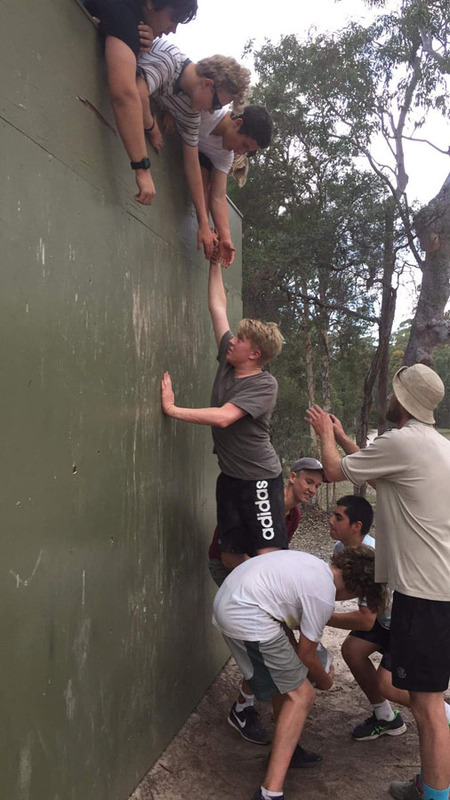 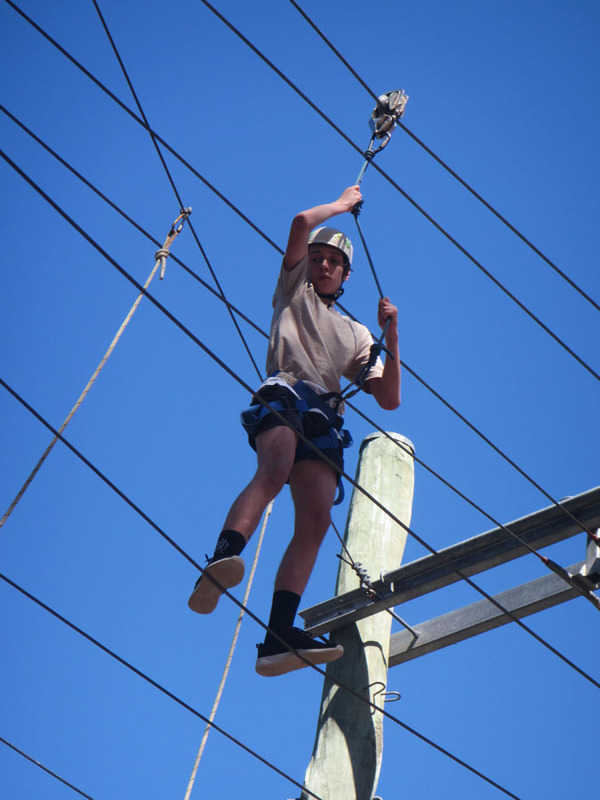 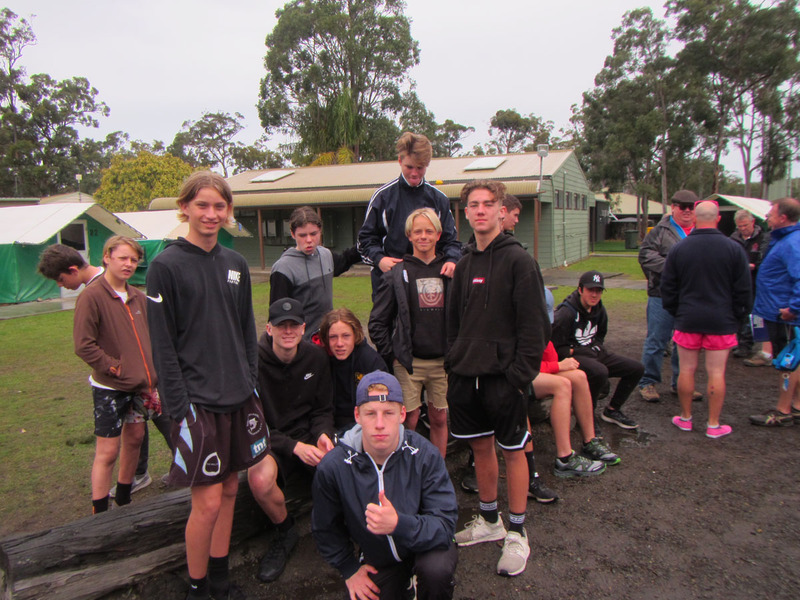 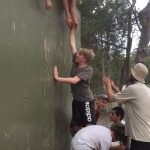 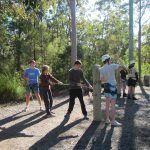 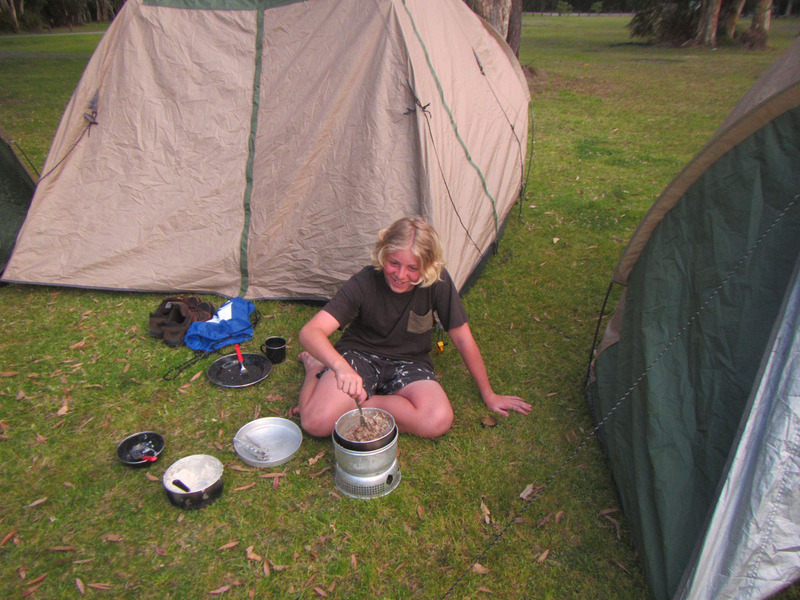 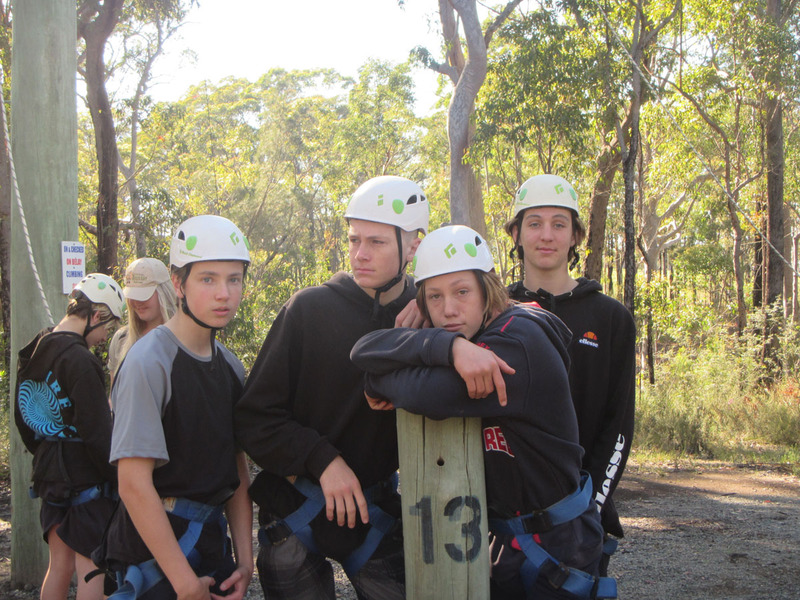 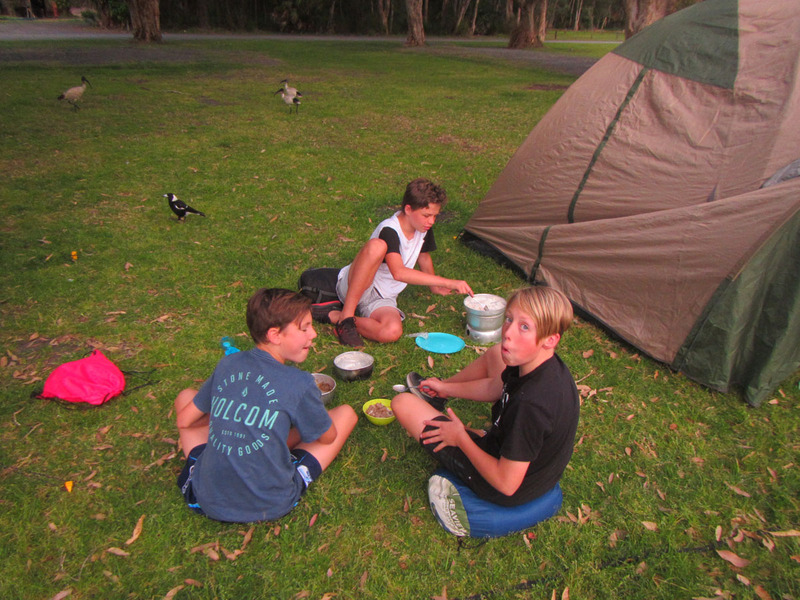 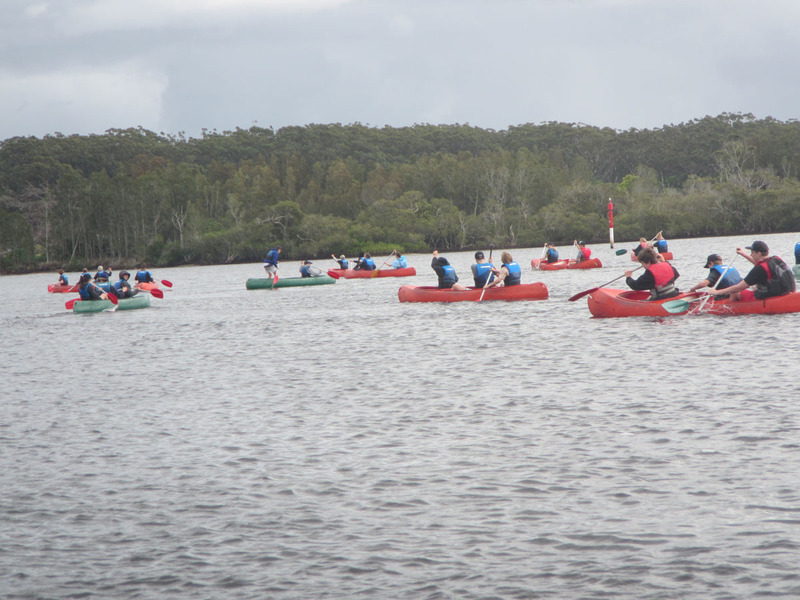 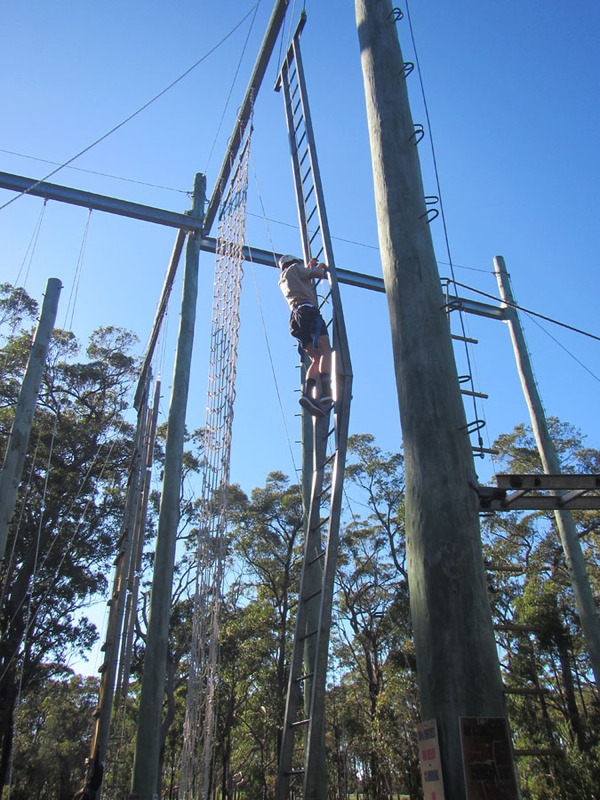 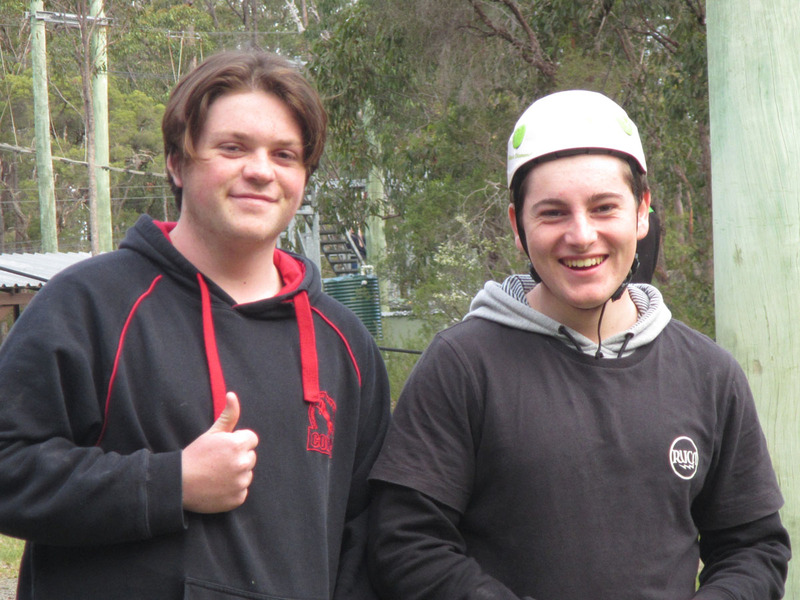 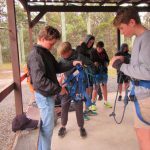 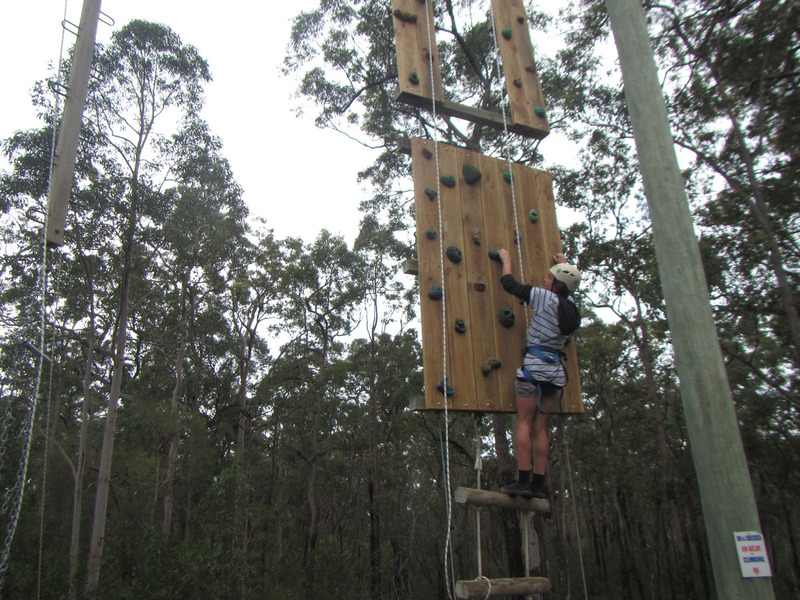 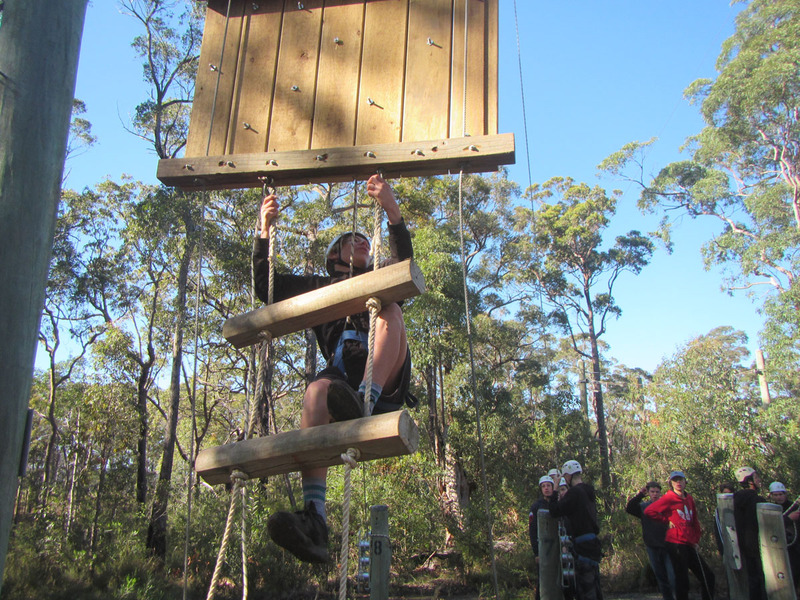 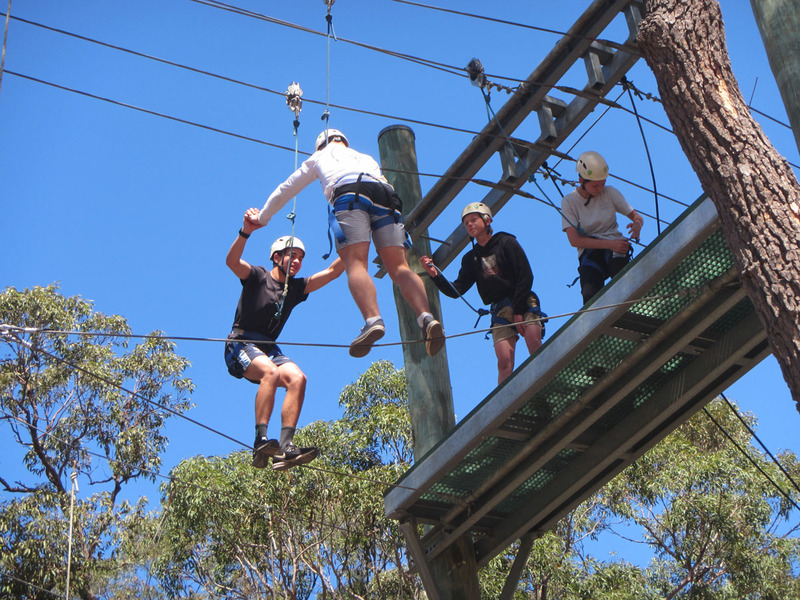 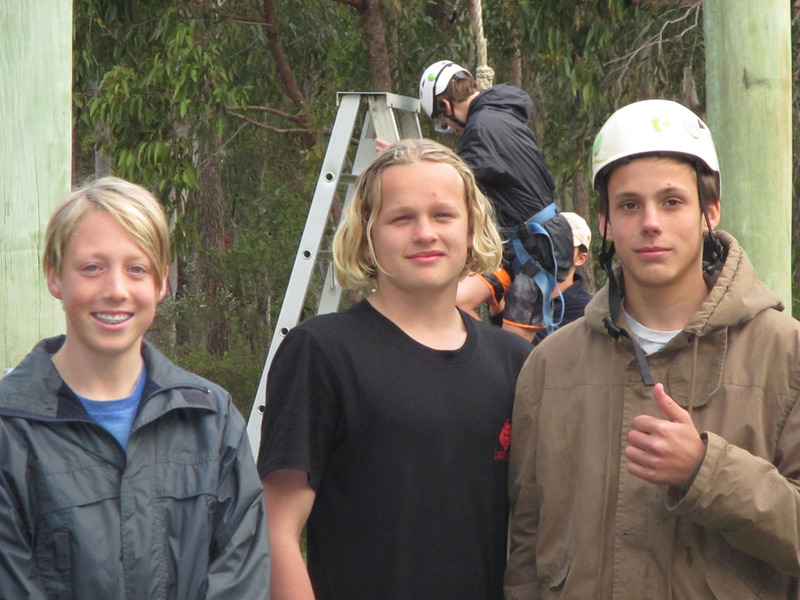 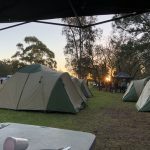 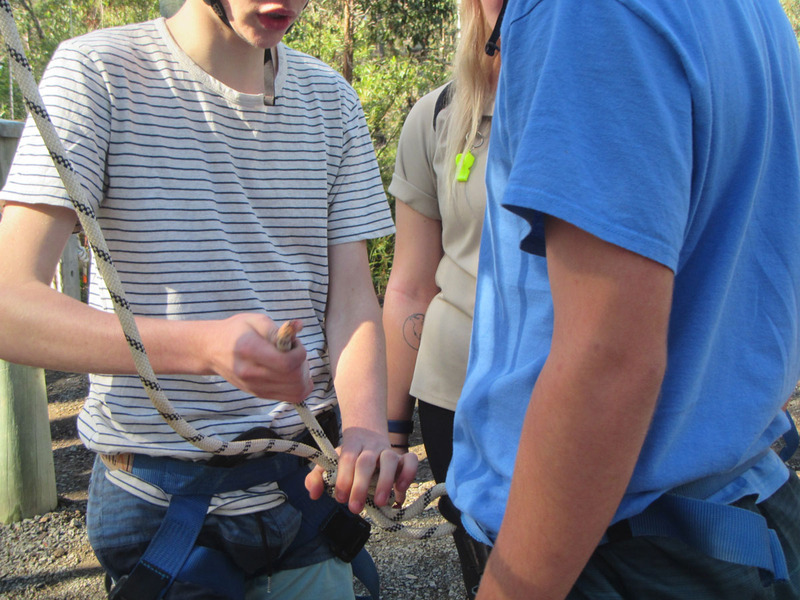 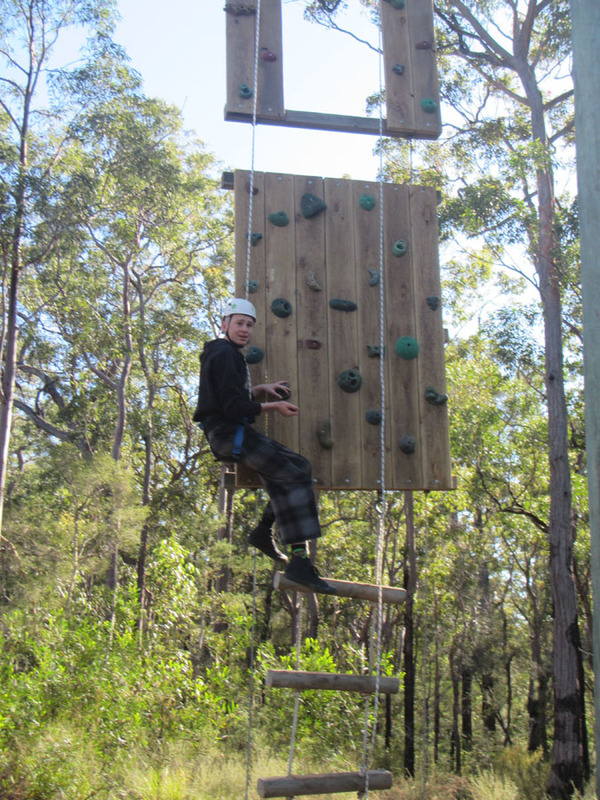 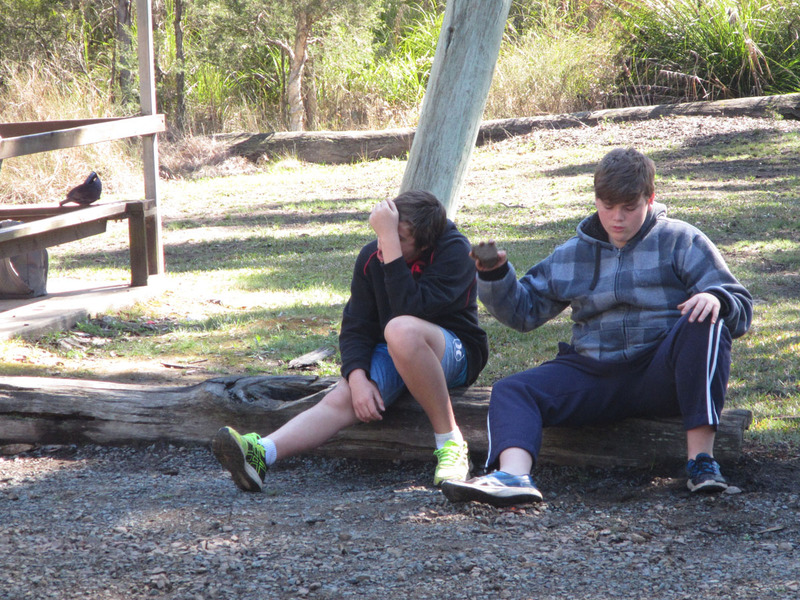 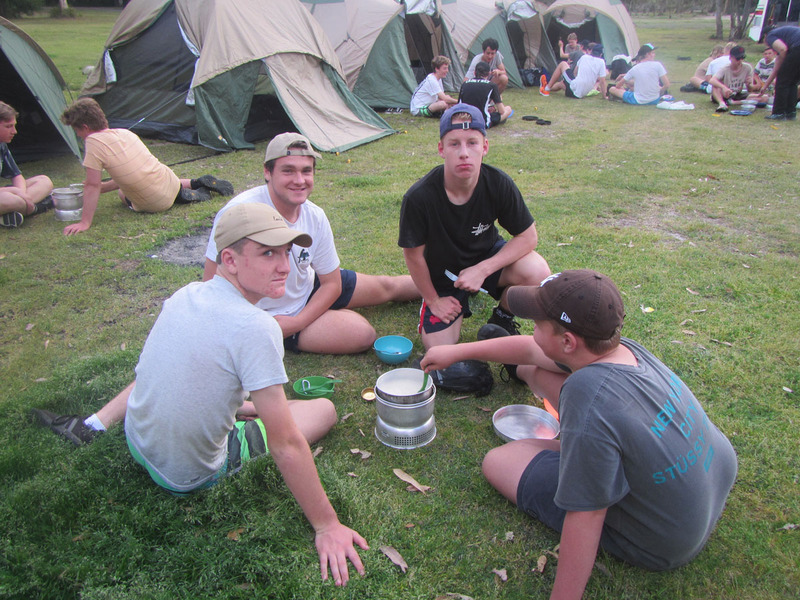 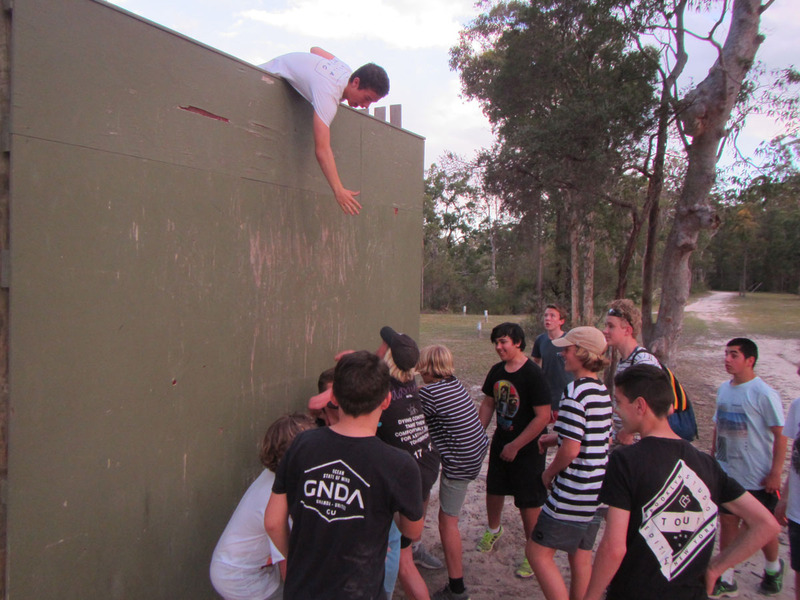 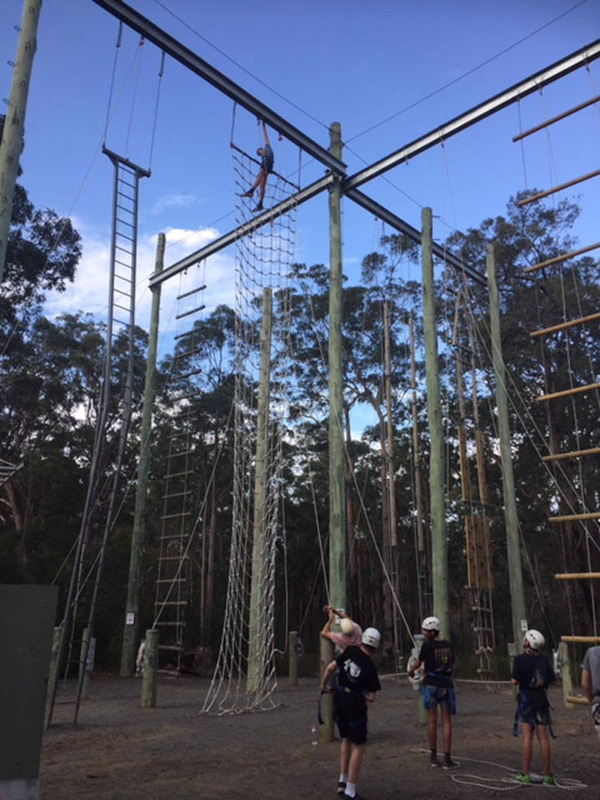 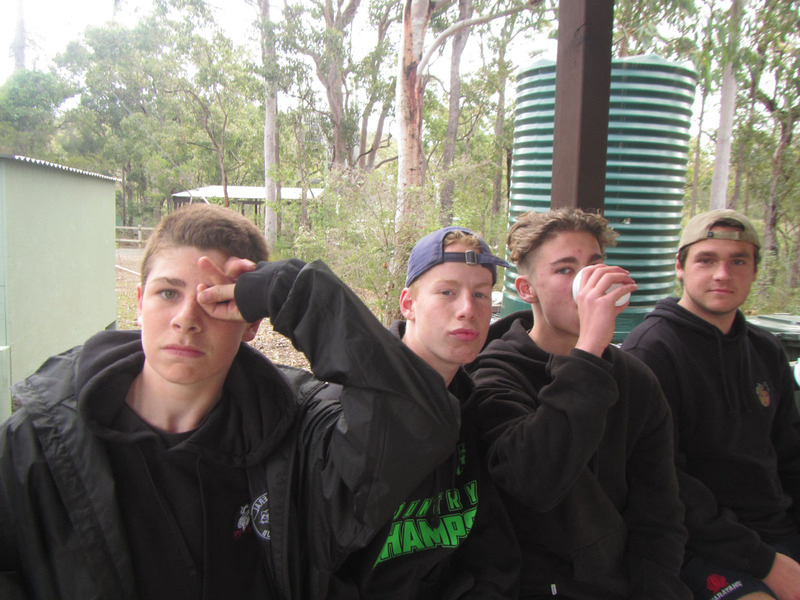 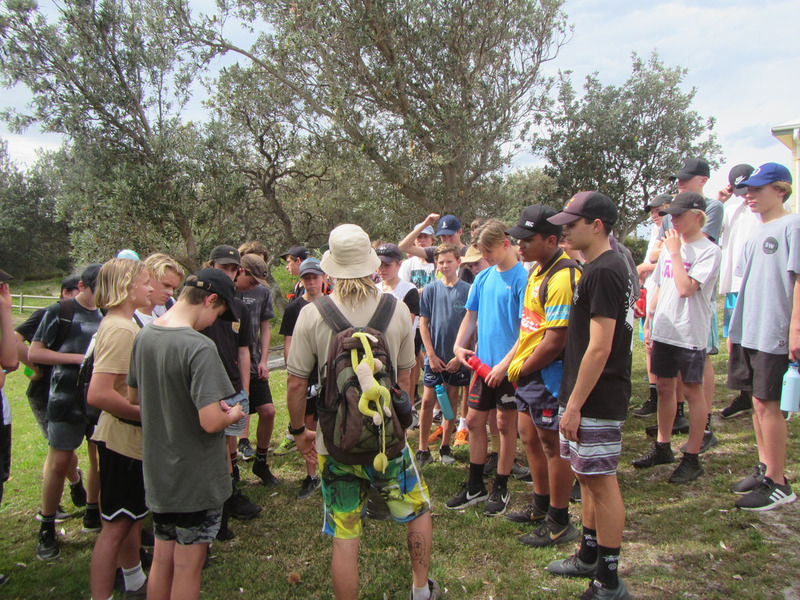 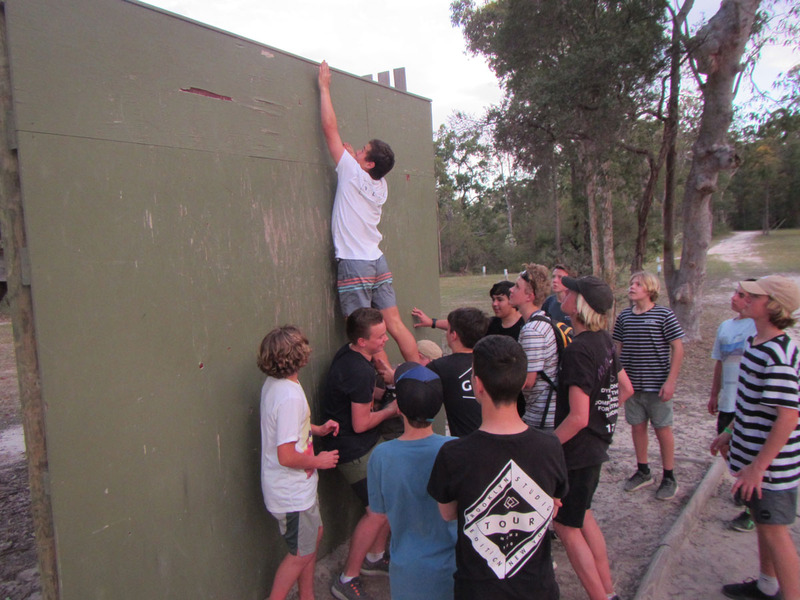 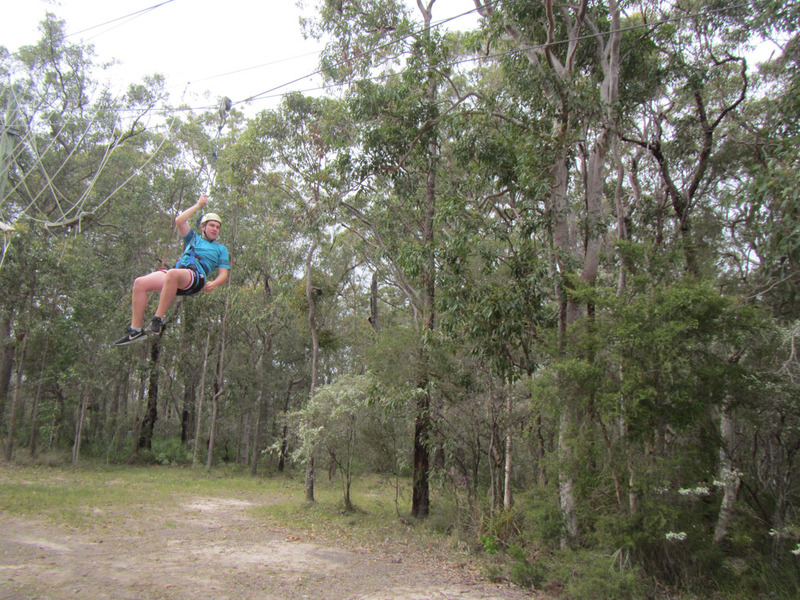 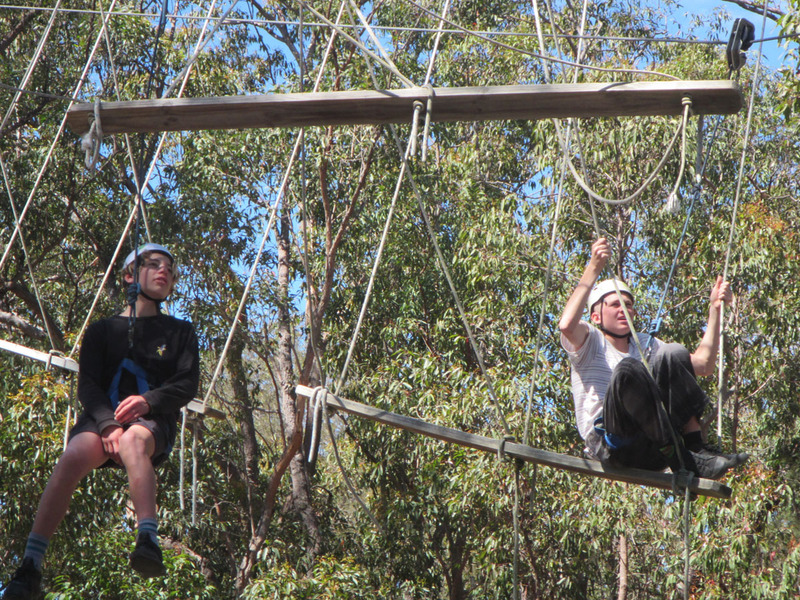 The Great Aussie Bush Camp kept our Year 9 students entertained and quite busy. 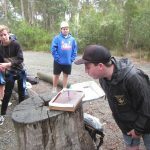 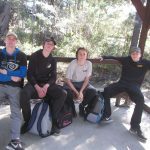 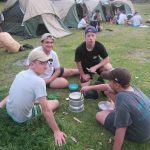 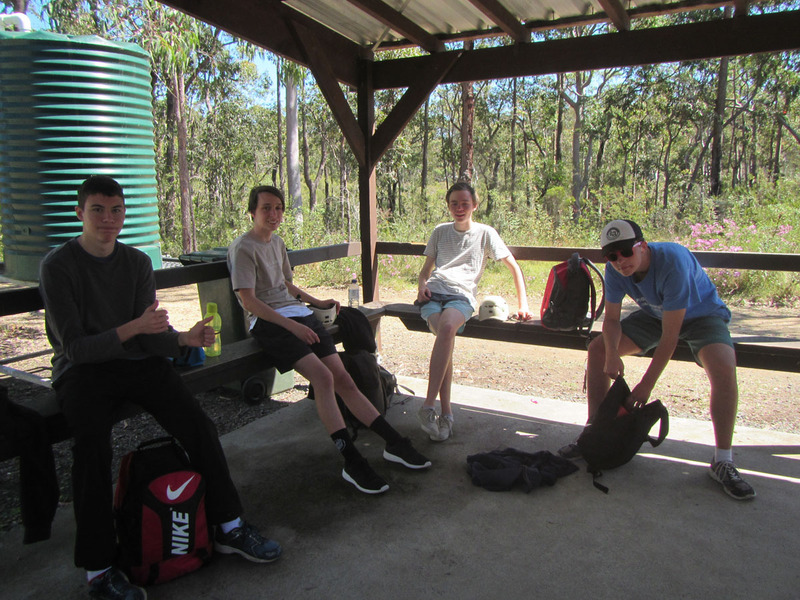 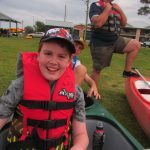 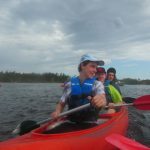 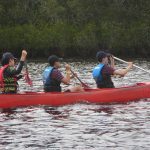 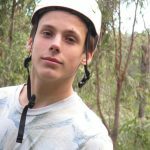 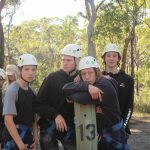 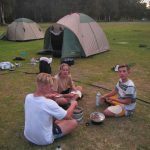 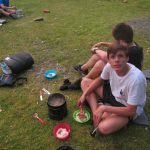 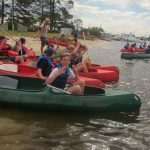 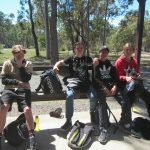 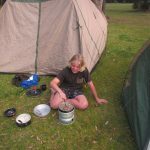 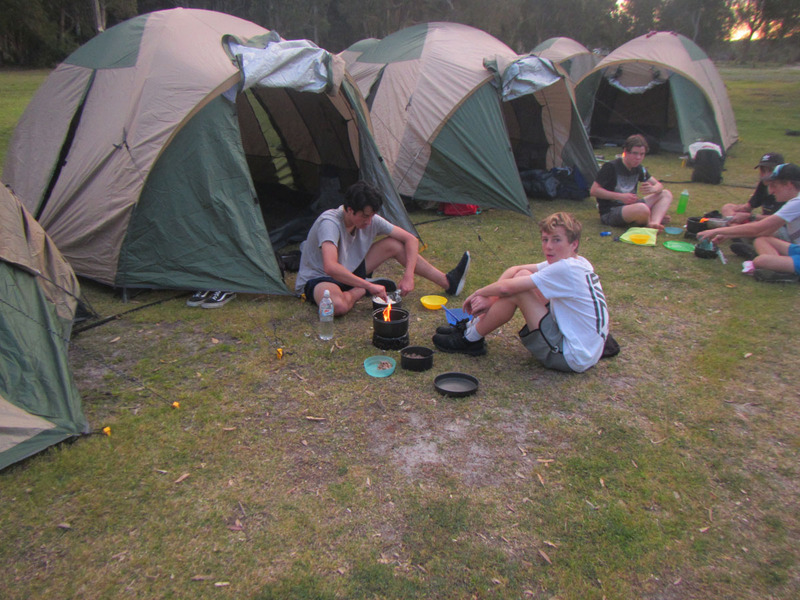 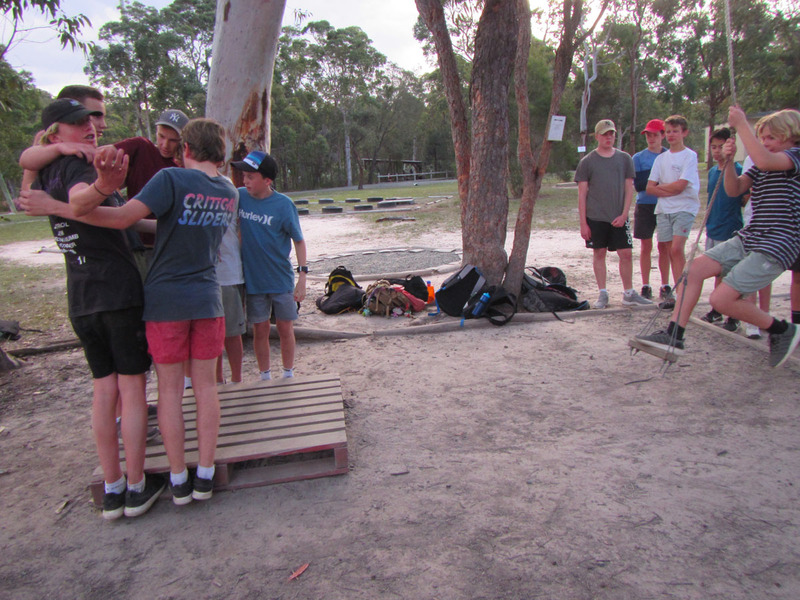 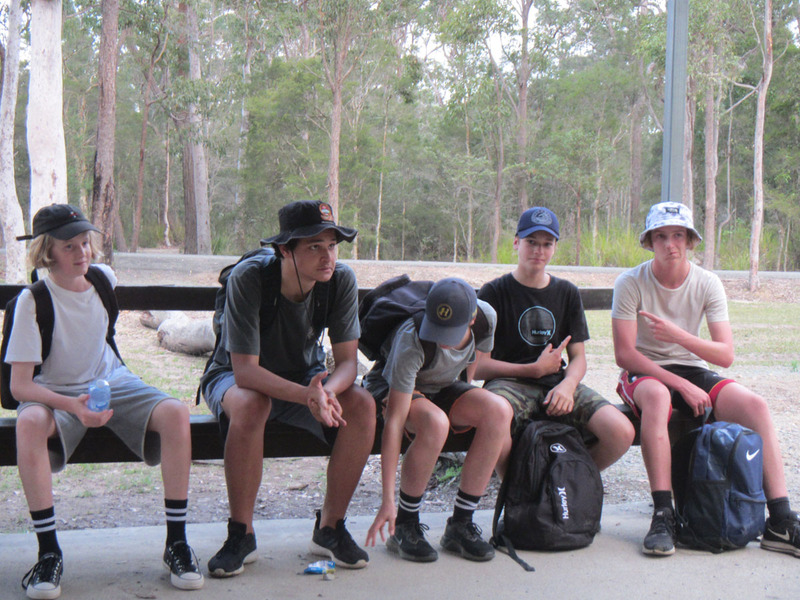 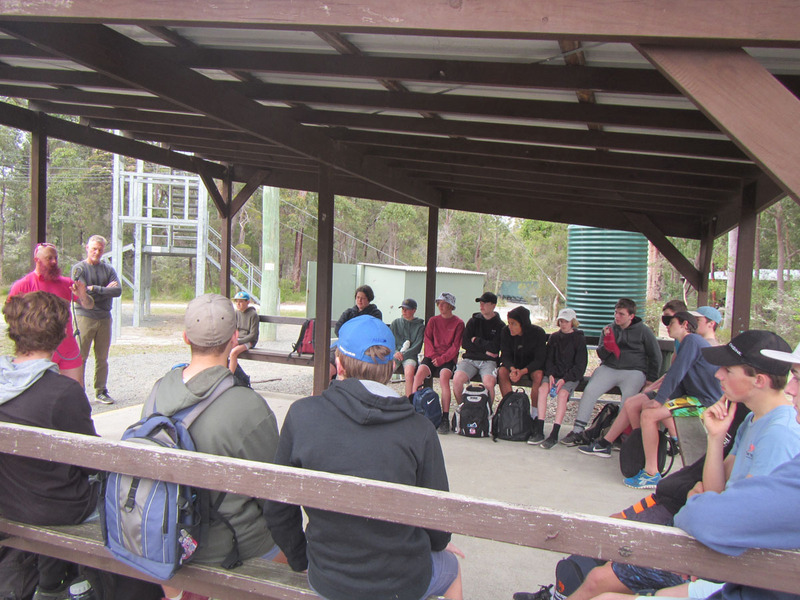 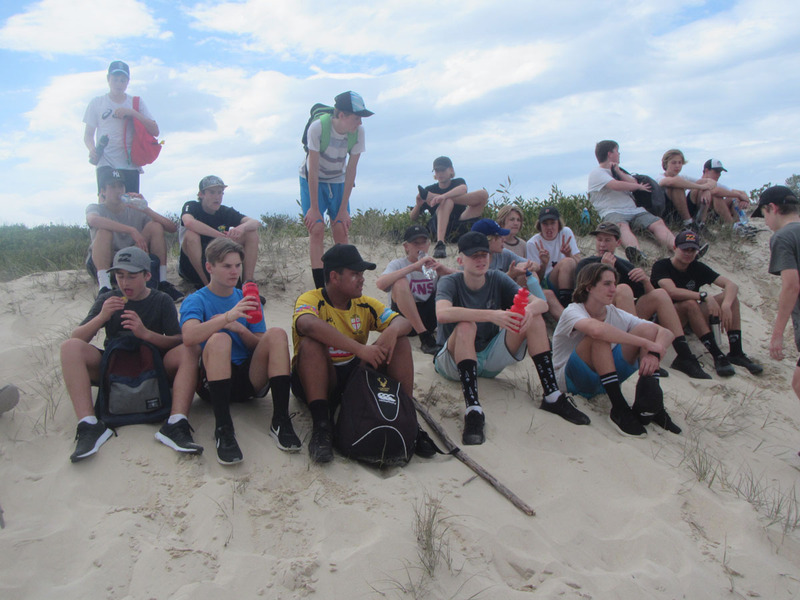 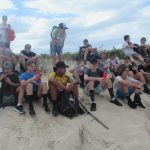 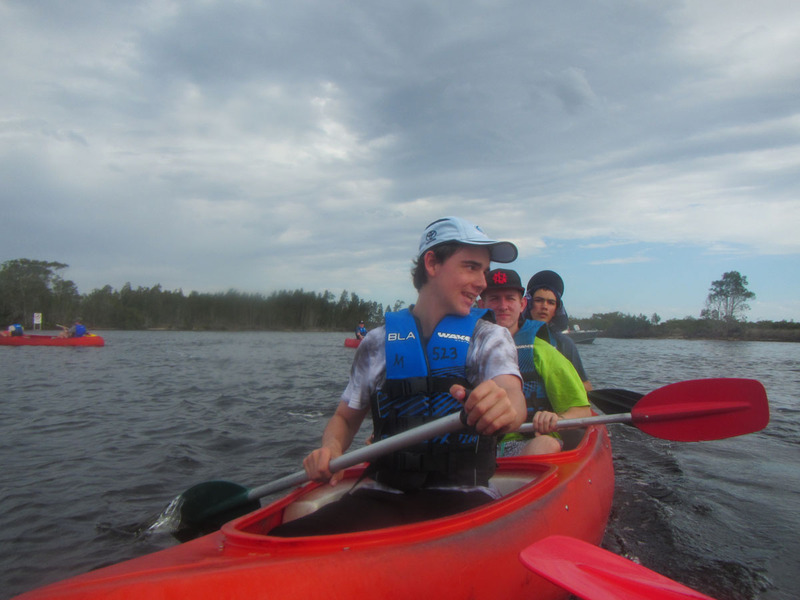 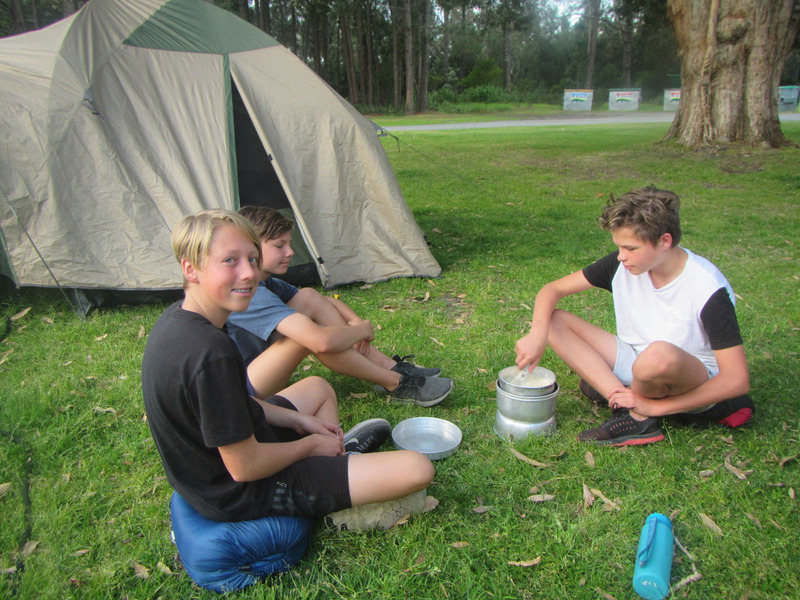 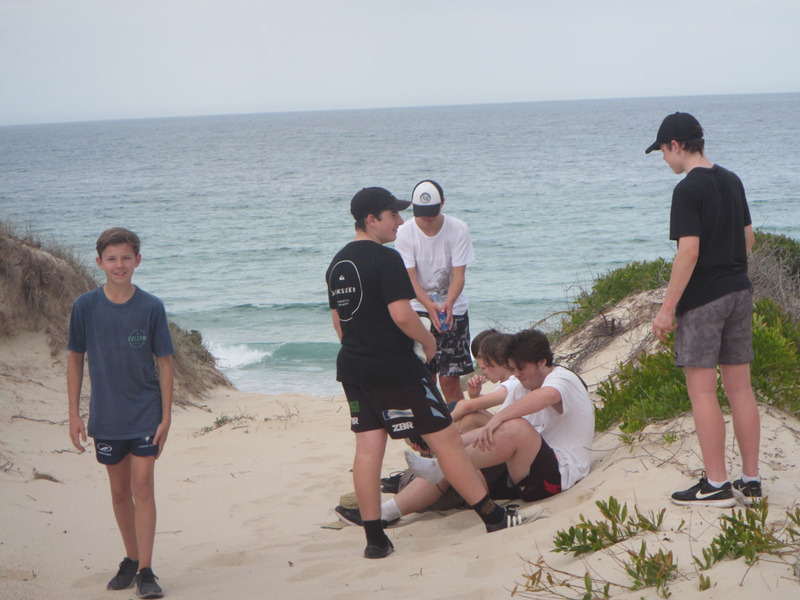 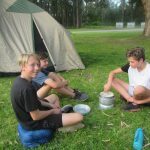 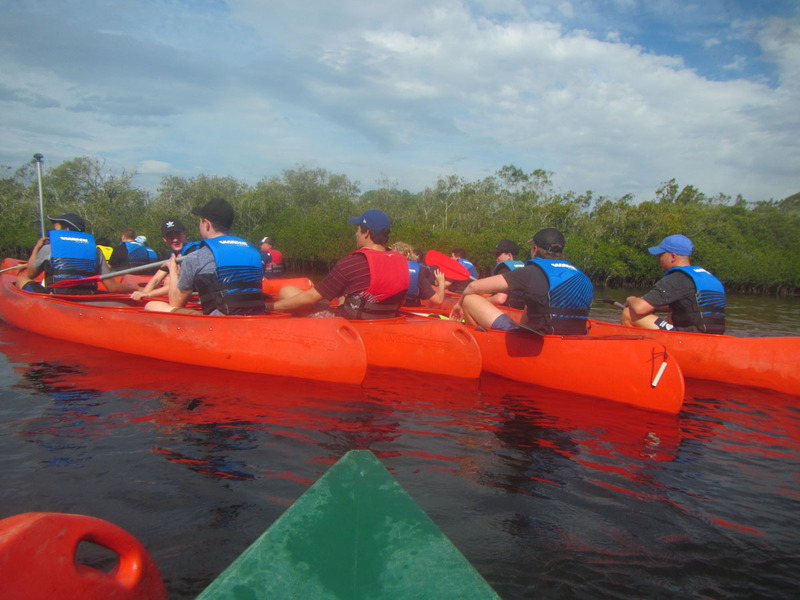 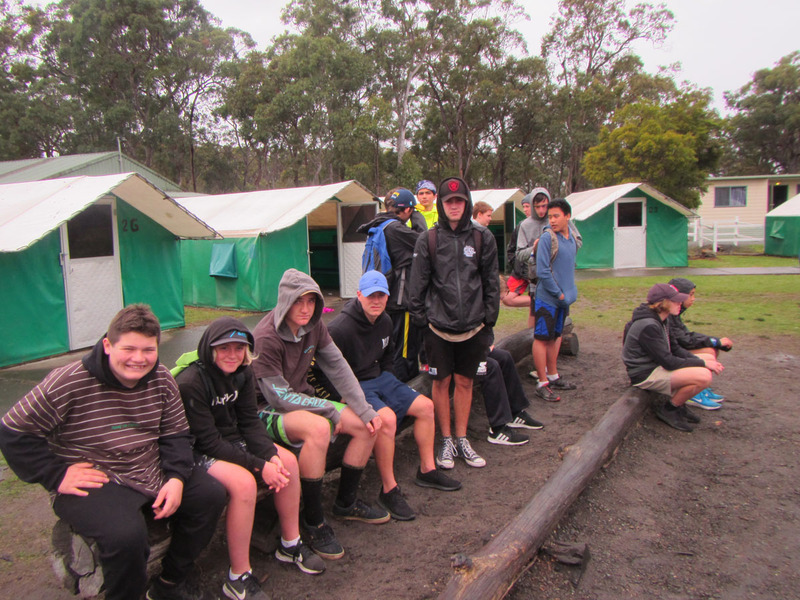 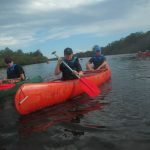 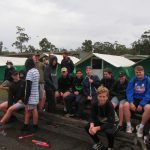 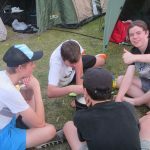 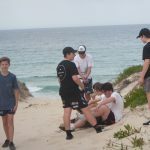 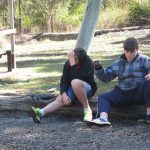 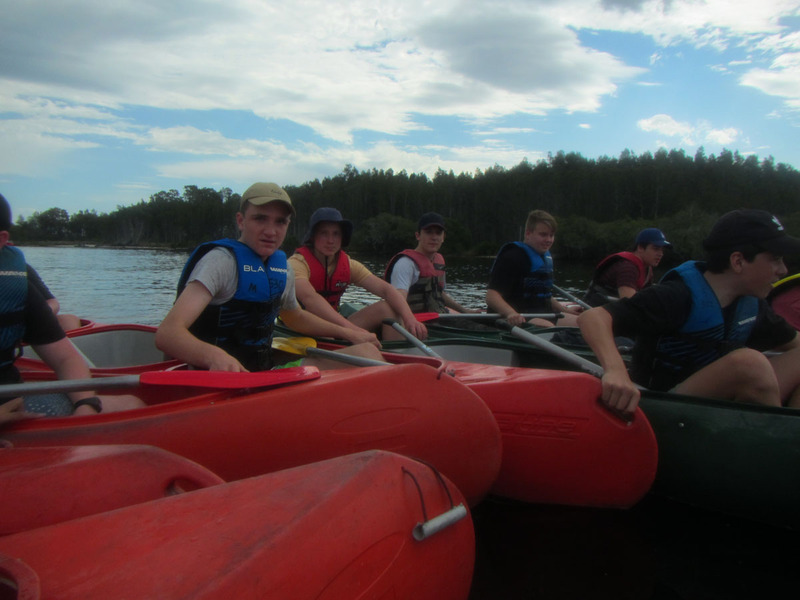 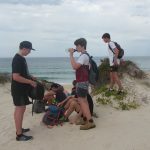 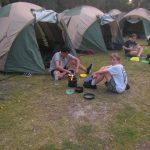 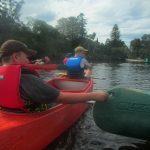 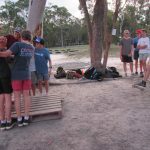 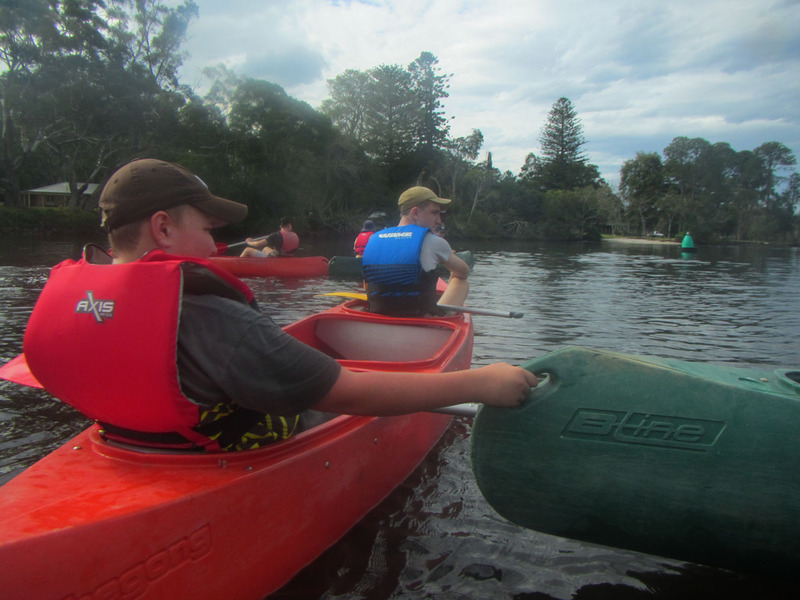 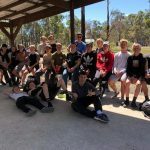 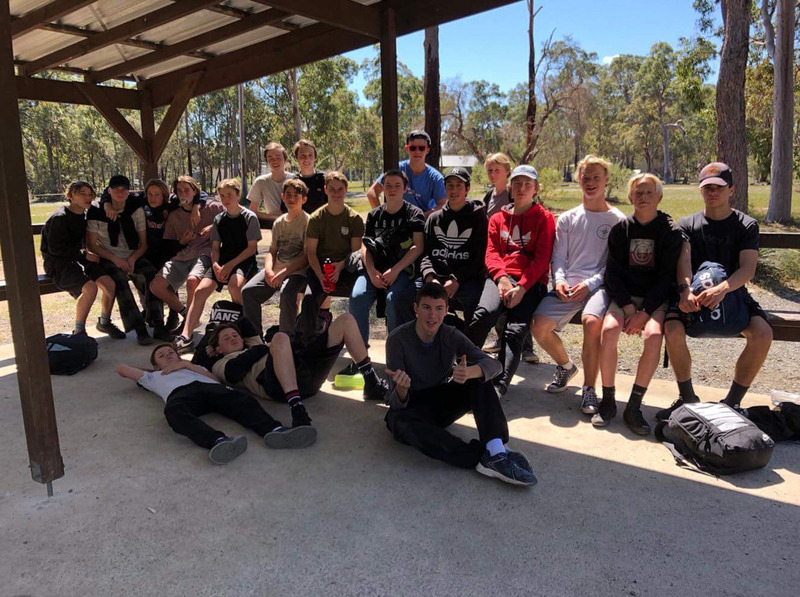 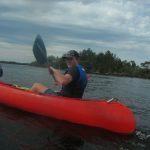 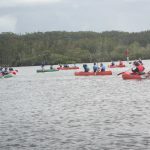 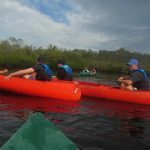 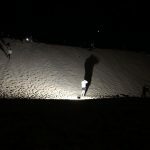 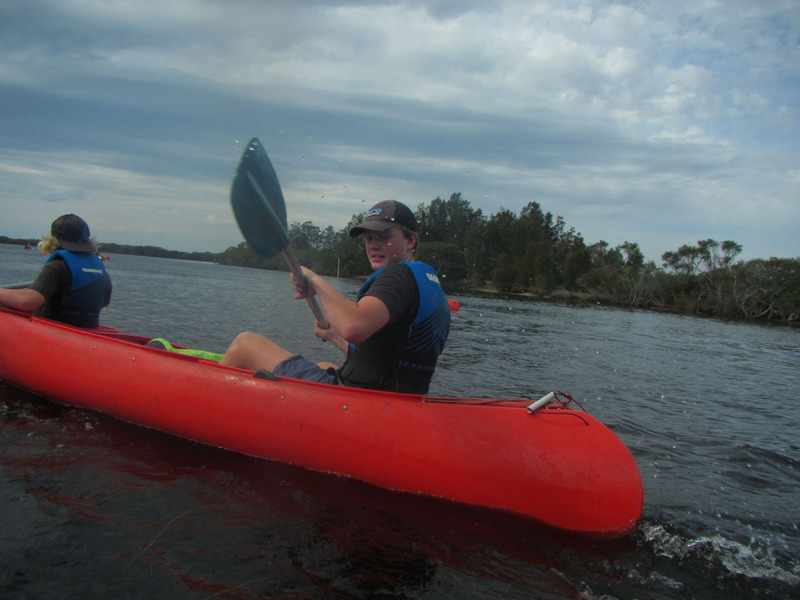 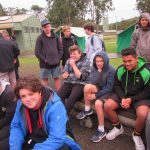 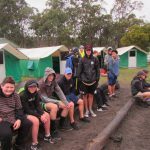 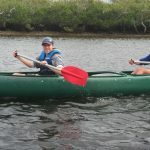 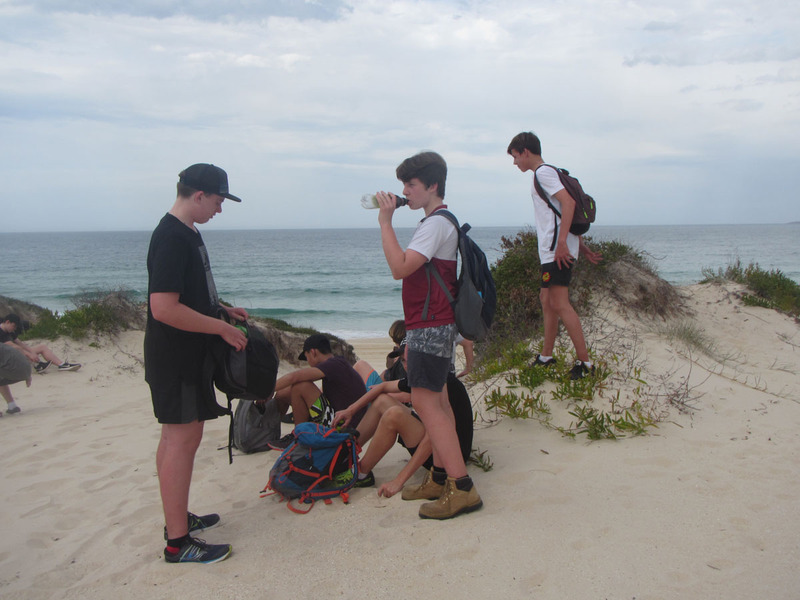 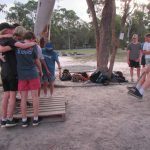 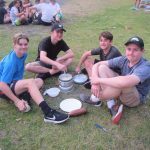 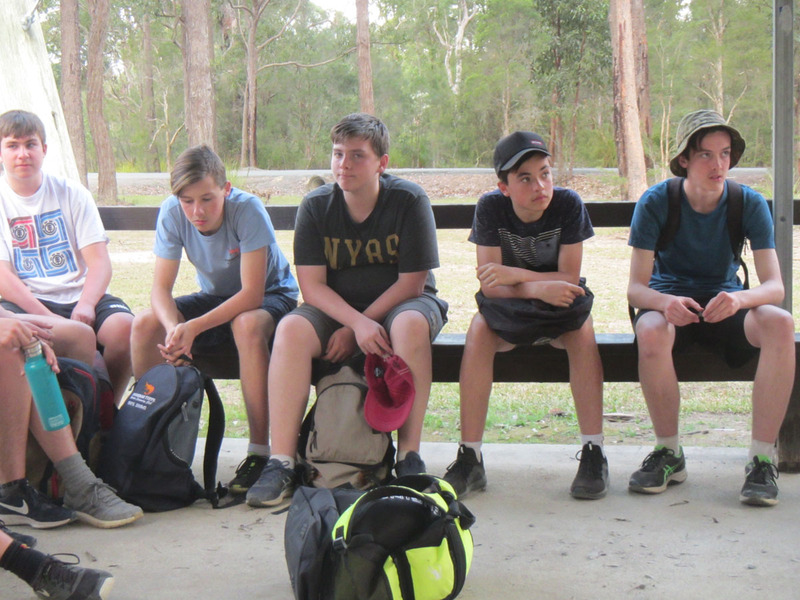 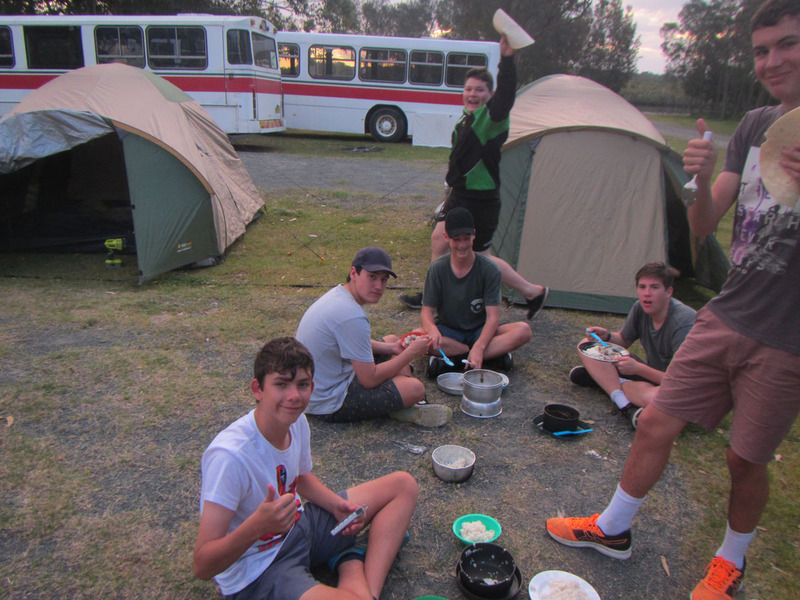 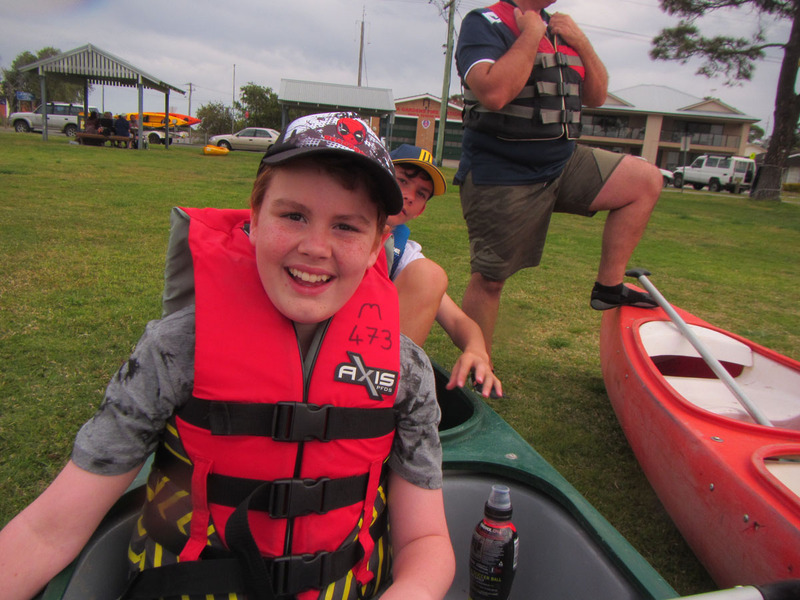 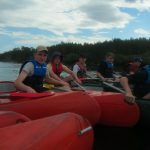 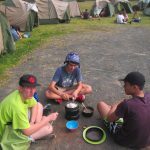 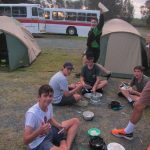 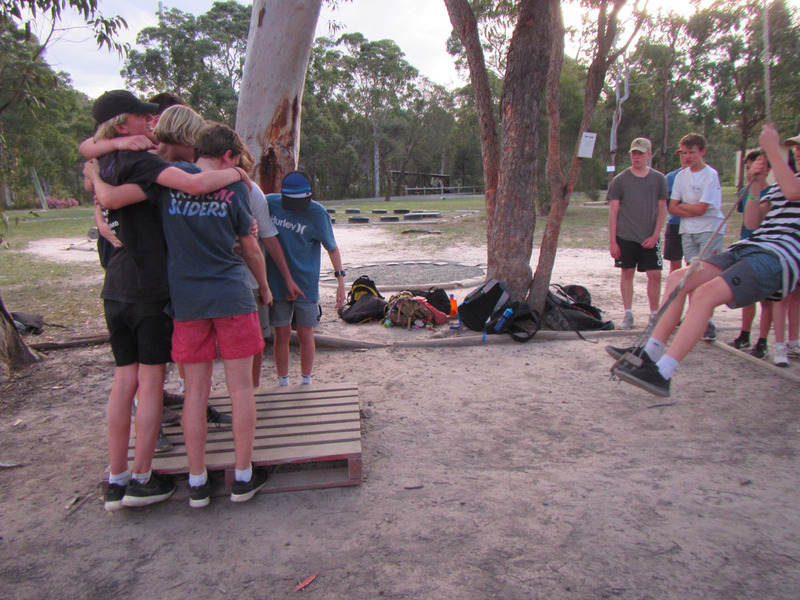 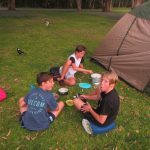 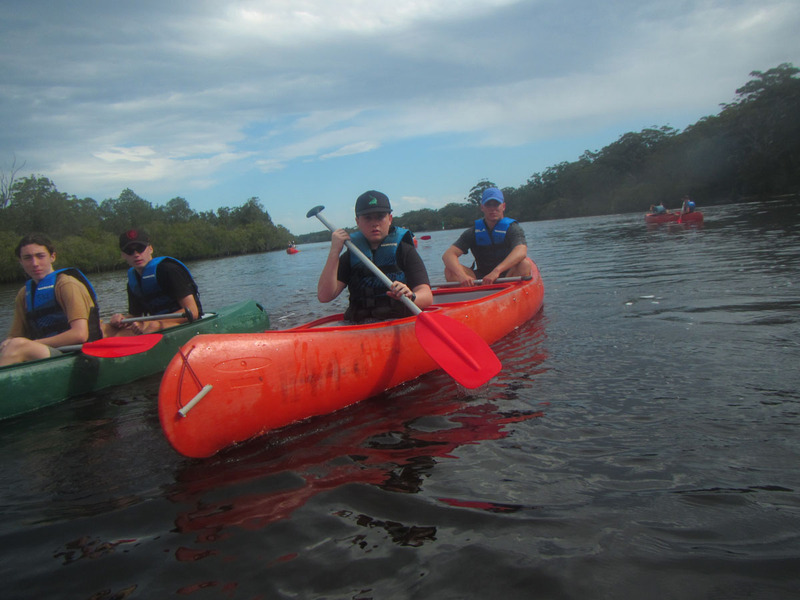 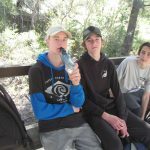 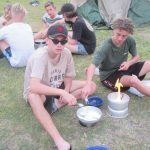 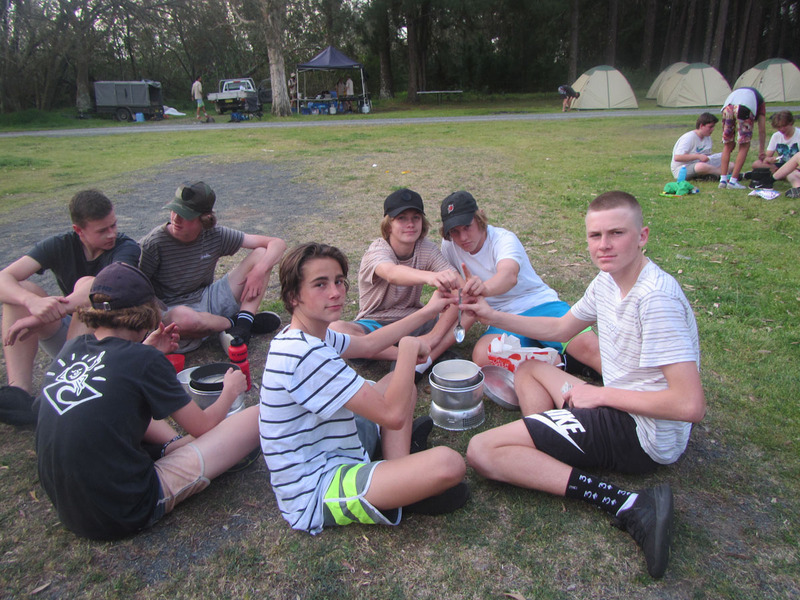 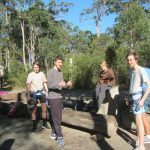 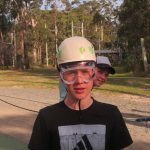 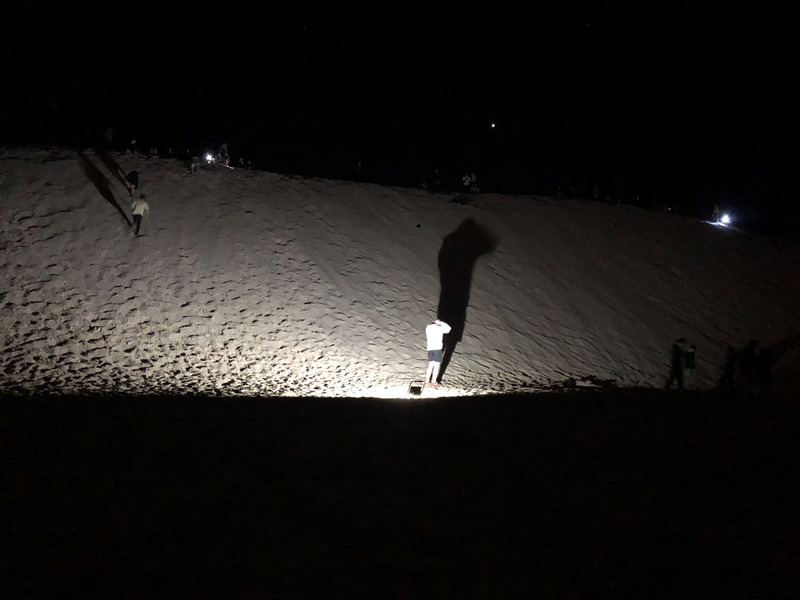 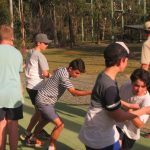 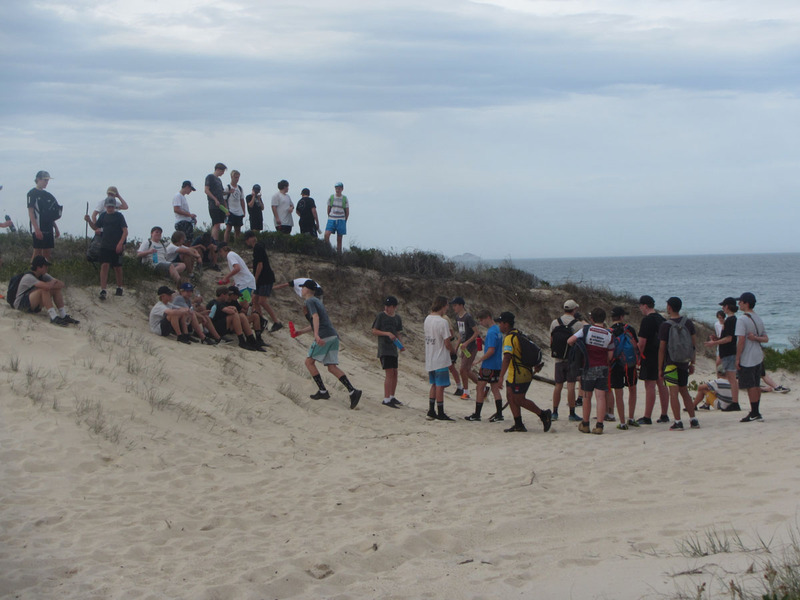 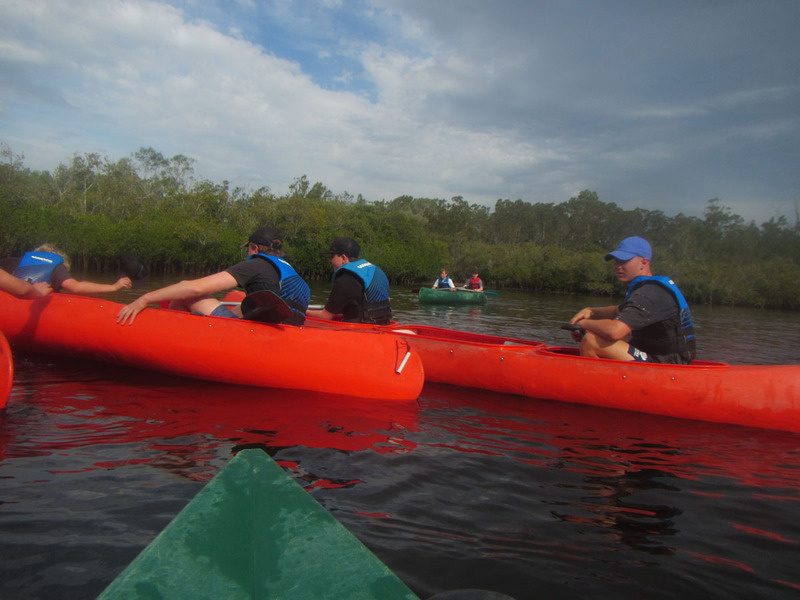 The boys experienced an overnight bivouac which involved a hike to the site and a canoe trip on Myall Lakes back to camp. 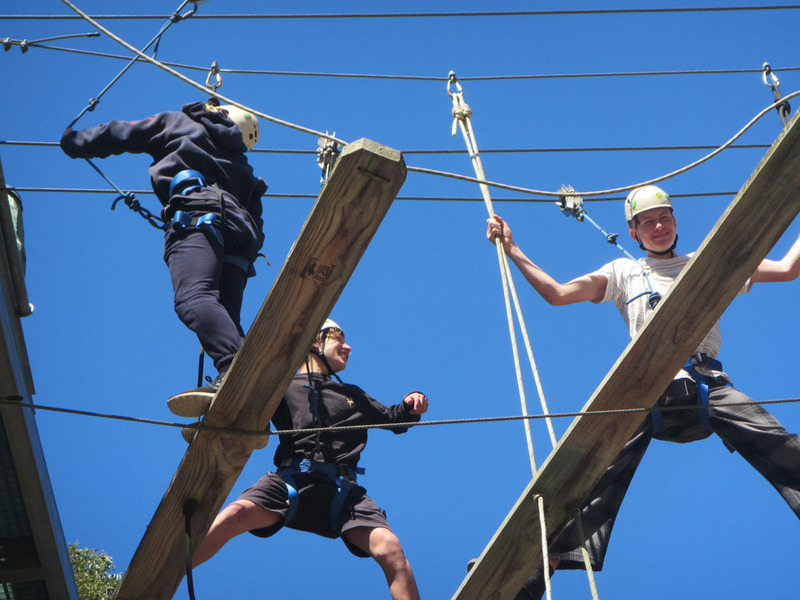 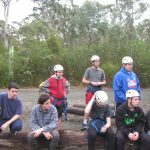 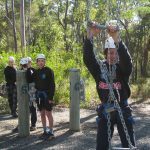 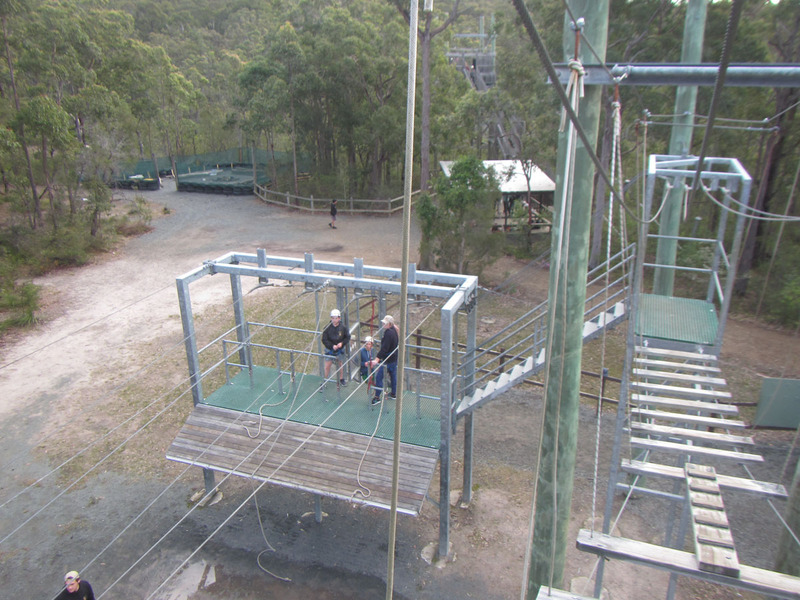 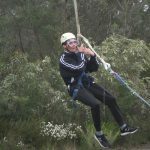 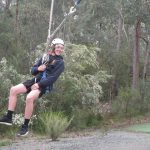 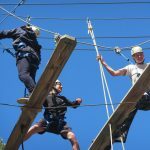 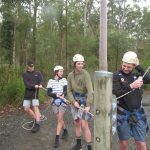 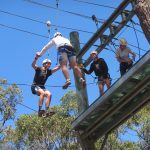 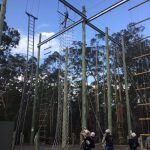 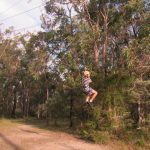 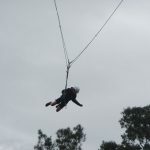 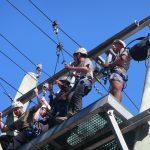 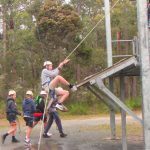 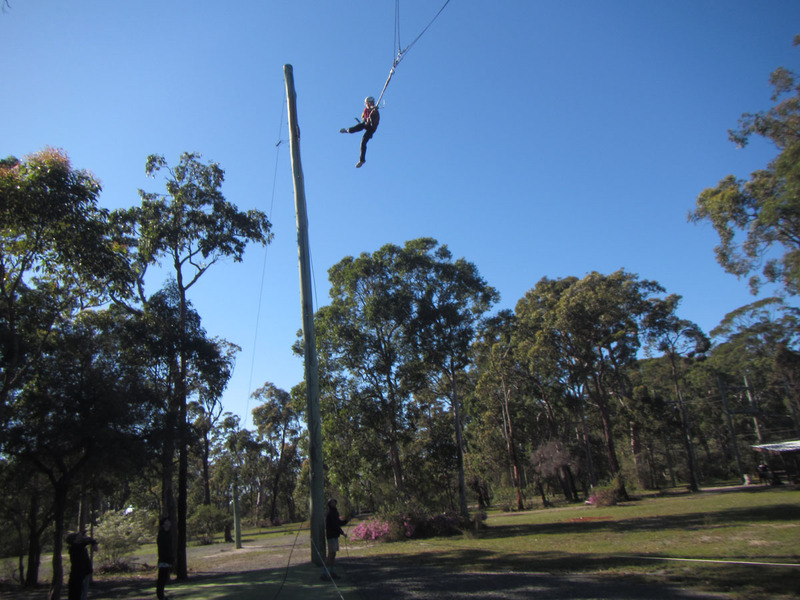 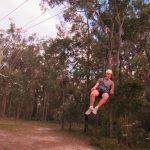 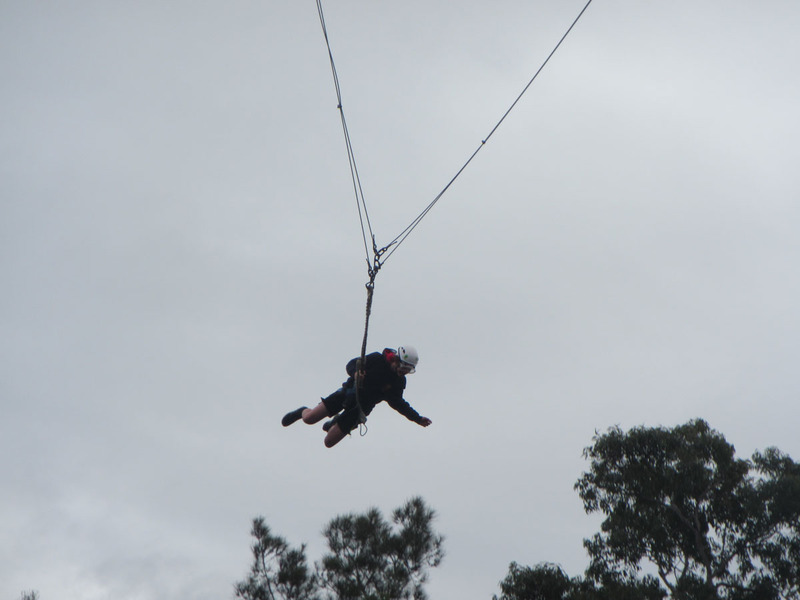 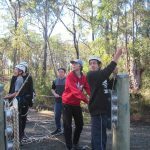 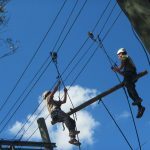 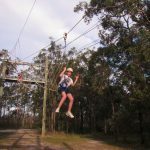 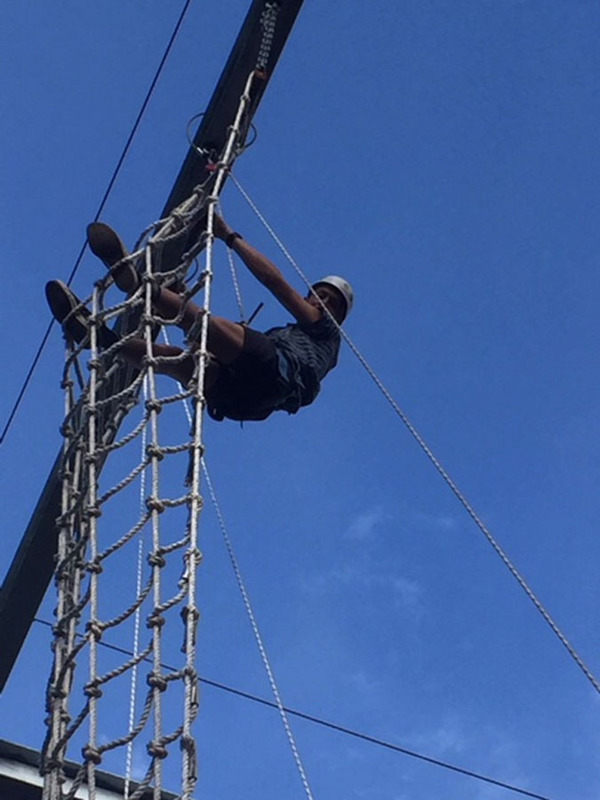 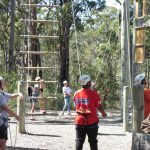 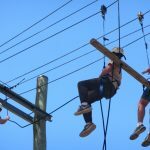 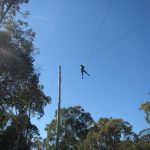 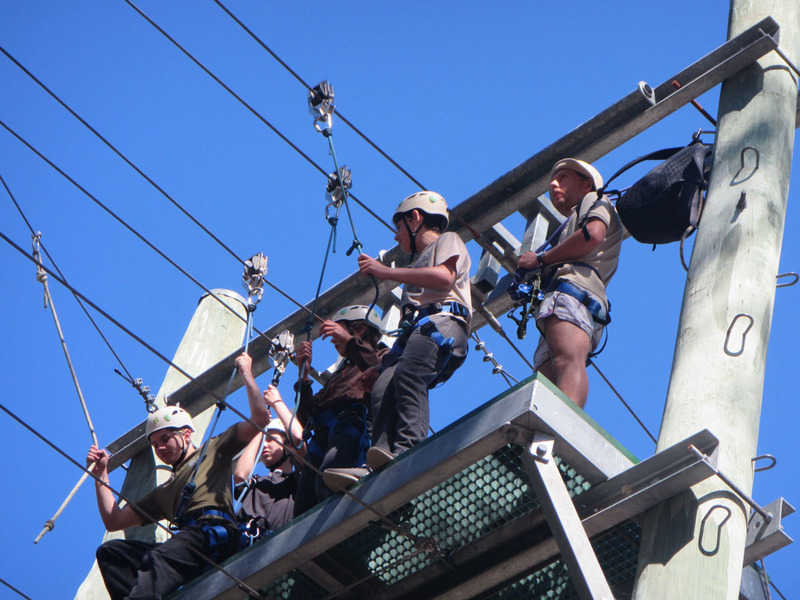 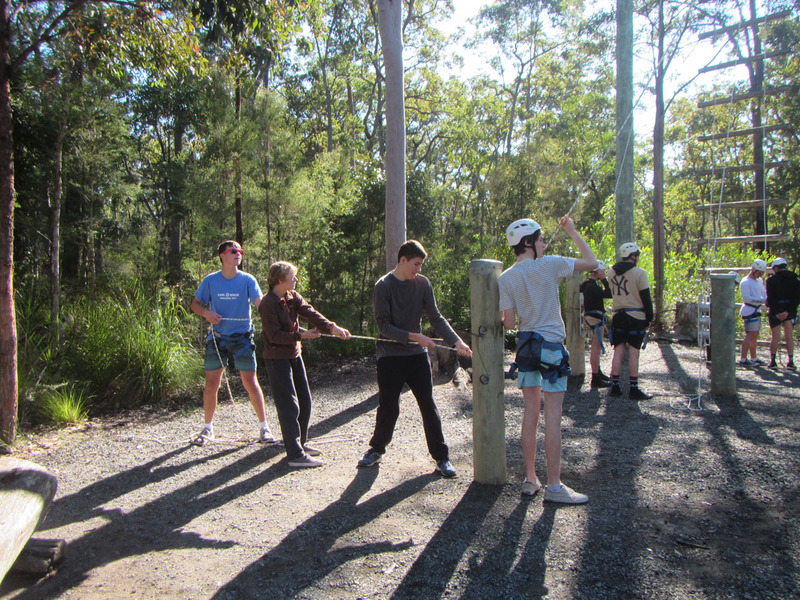 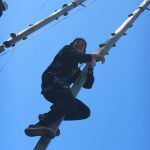 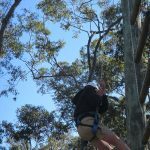 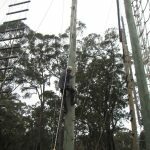 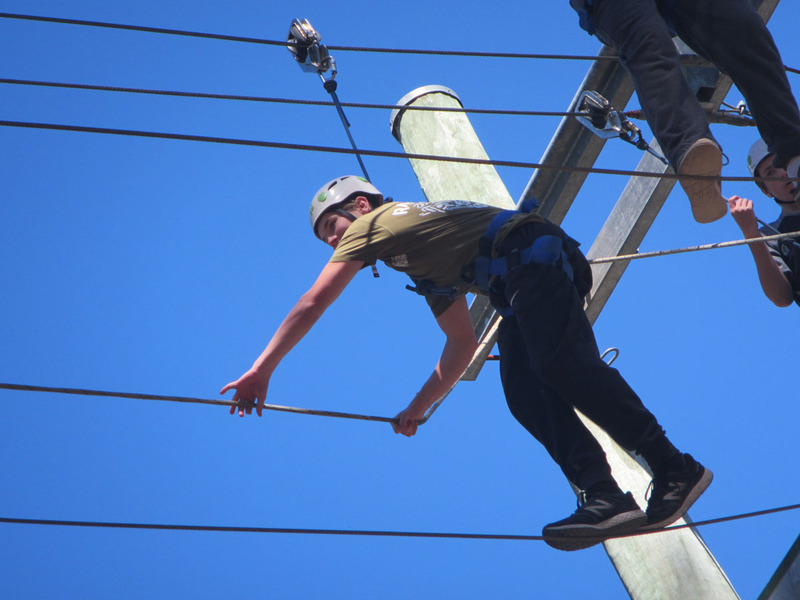 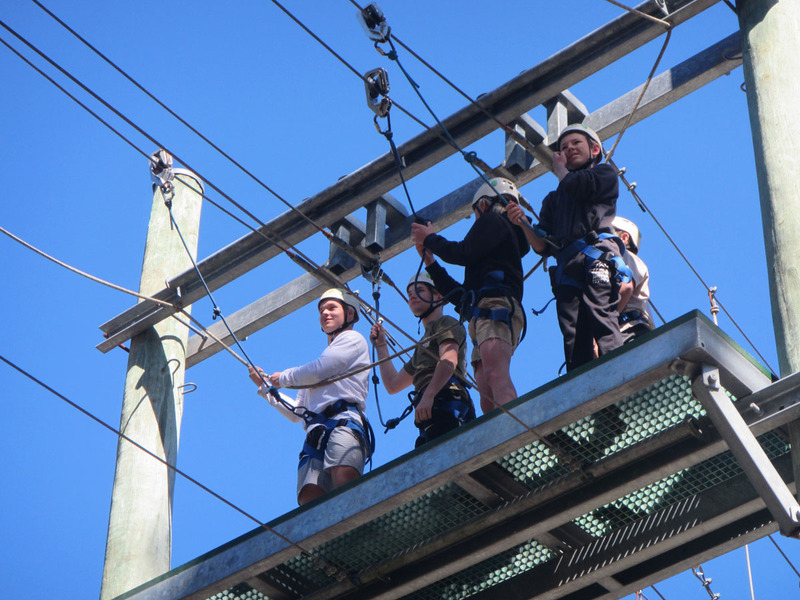 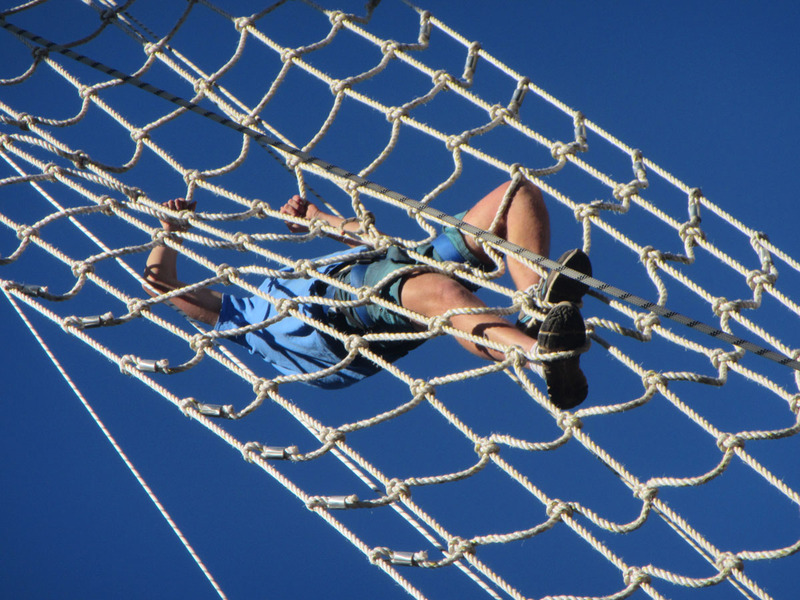 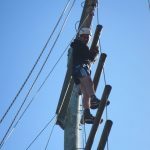 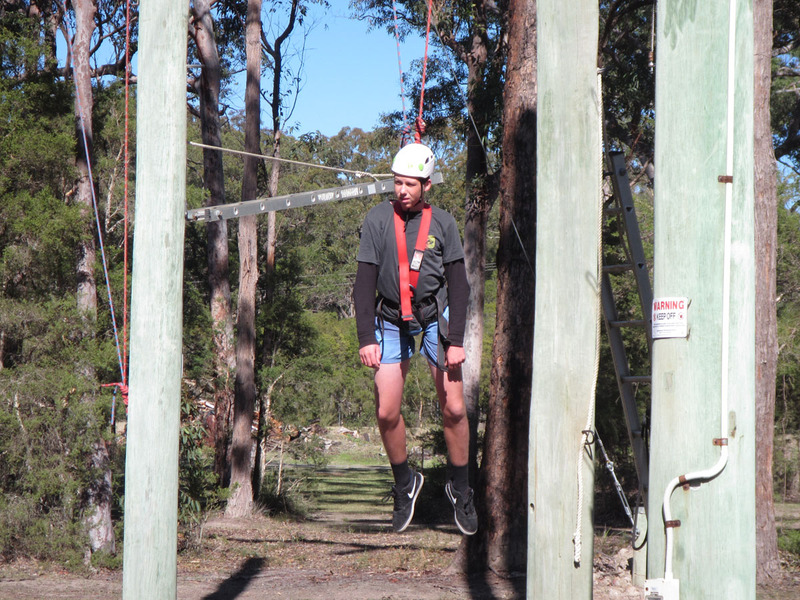 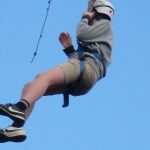 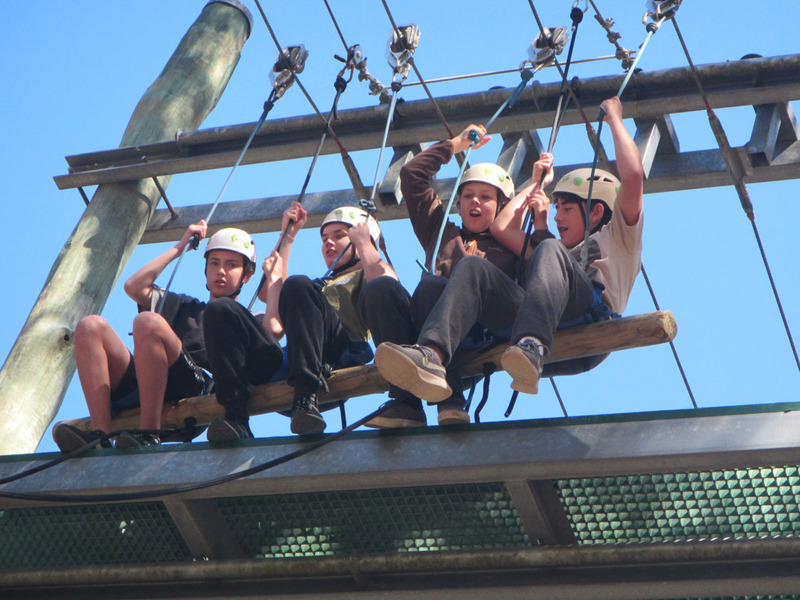 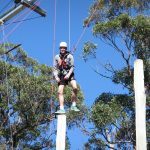 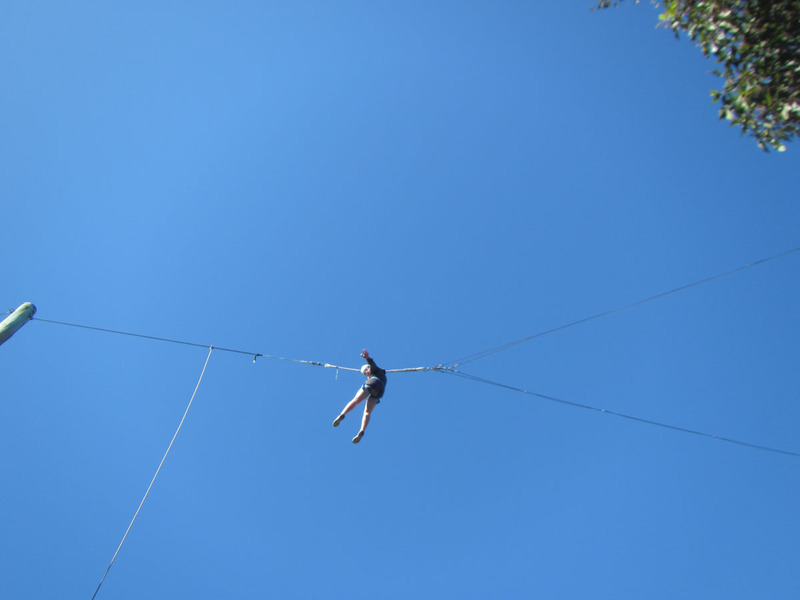 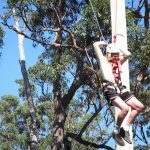 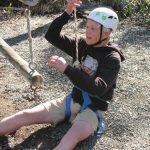 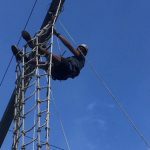 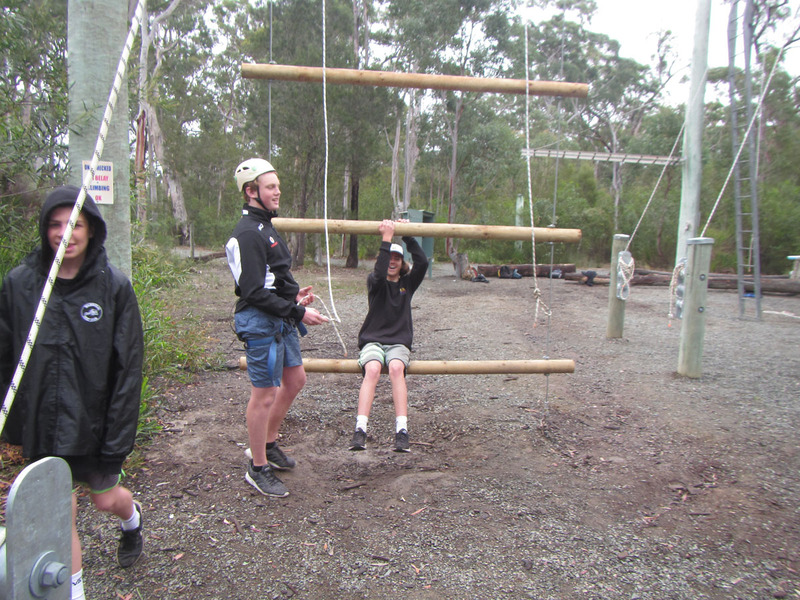 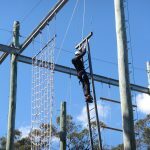 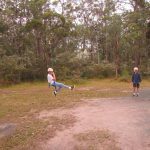 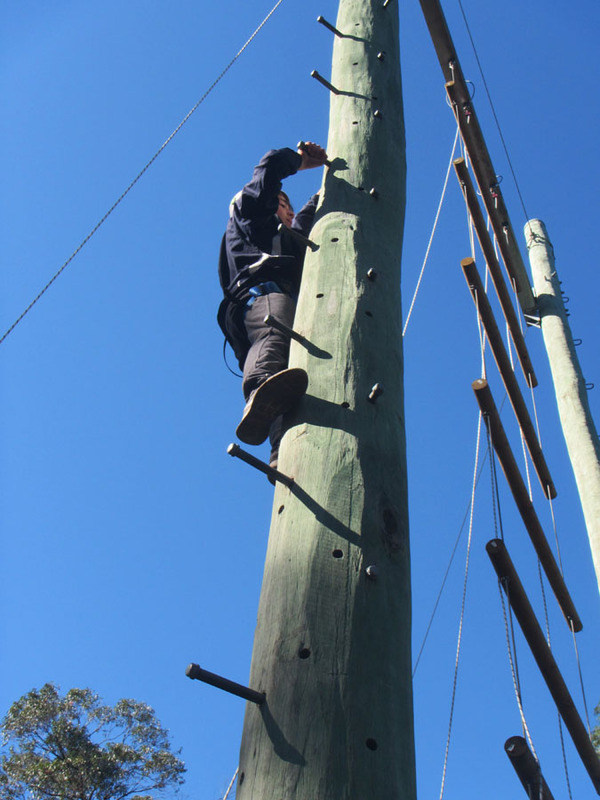 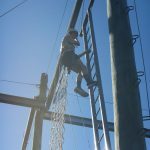 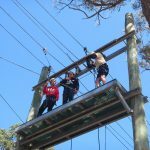 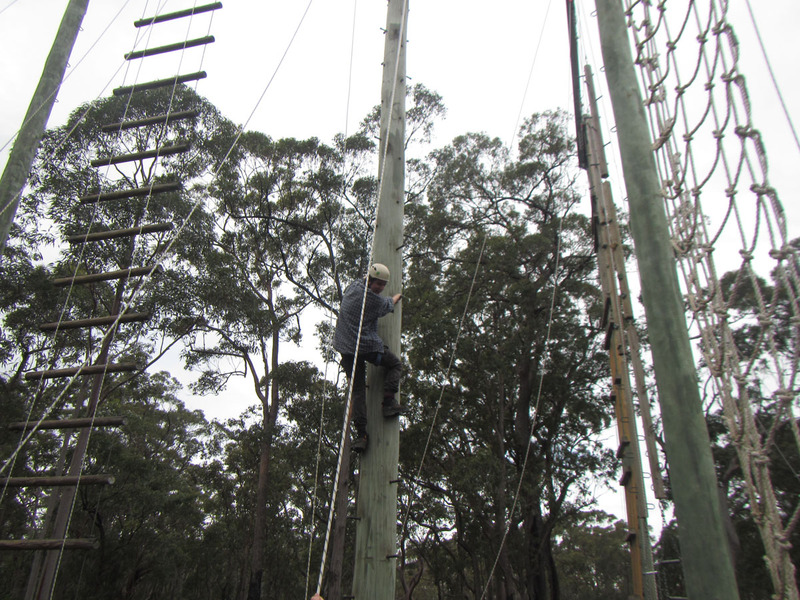 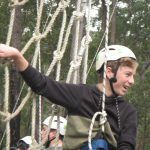 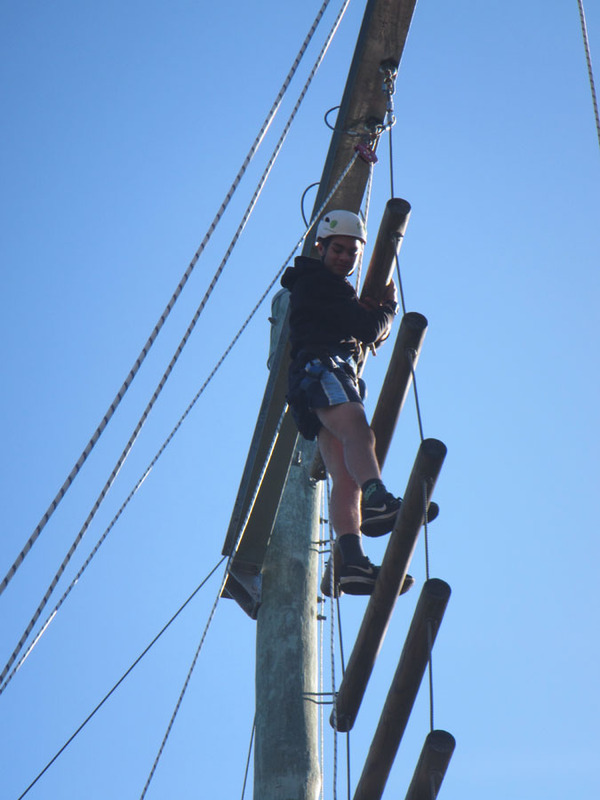 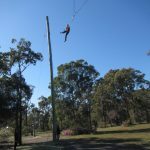 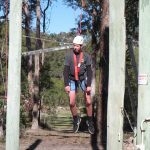 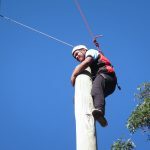 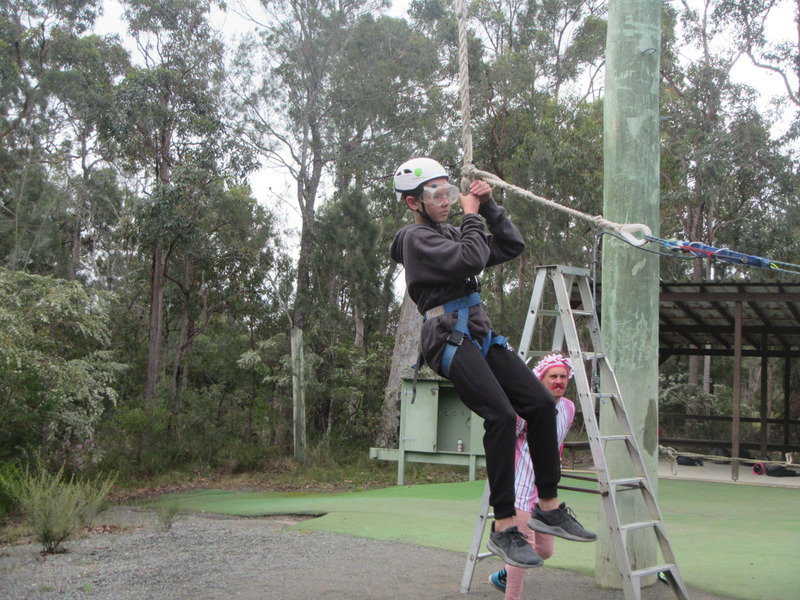 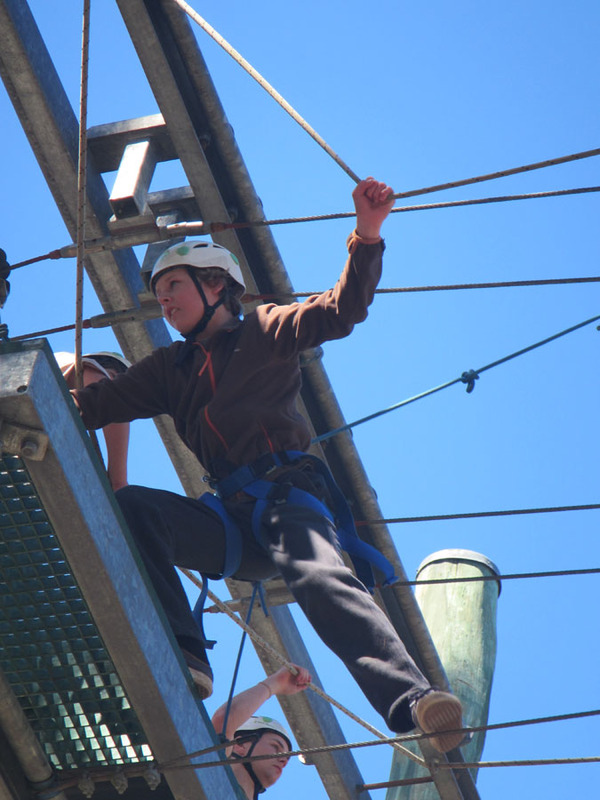 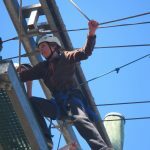 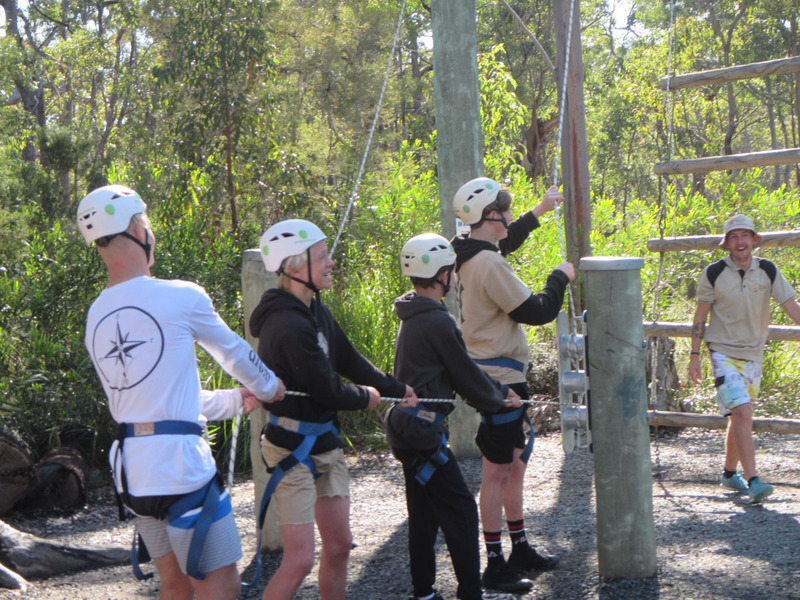 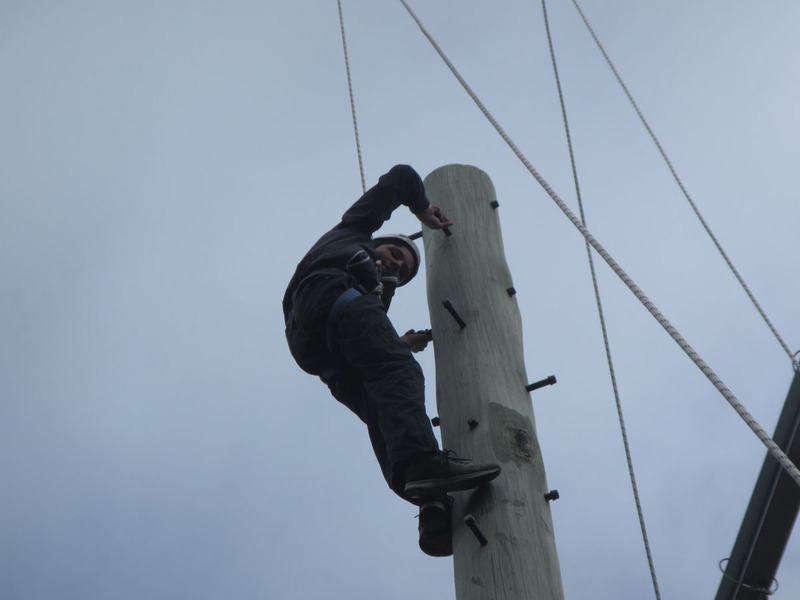 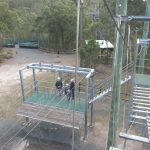 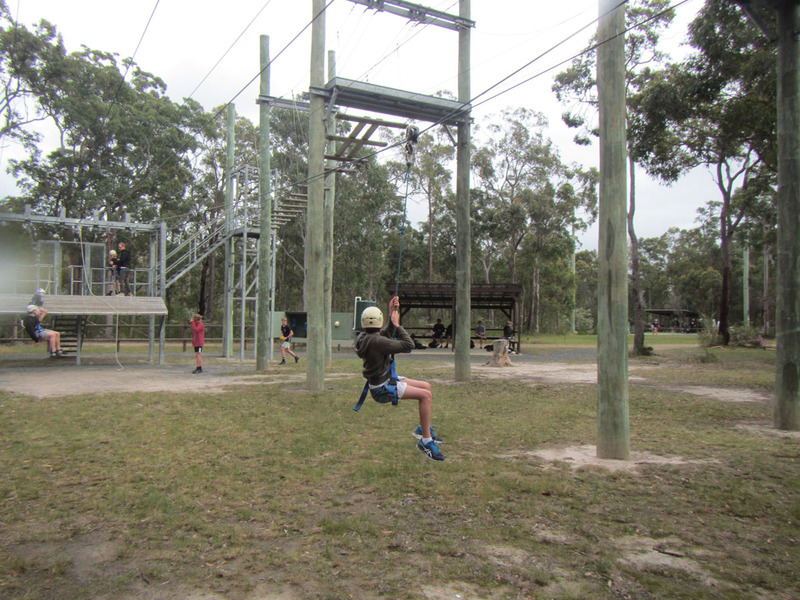 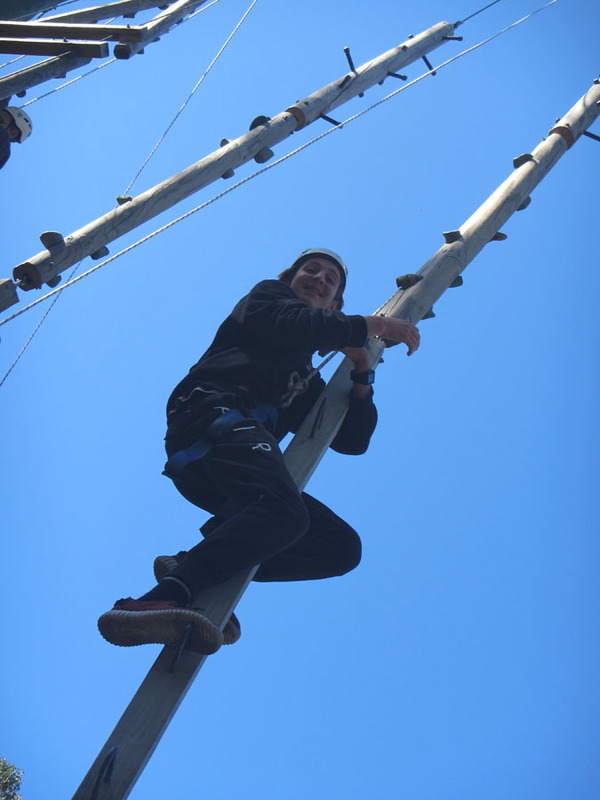 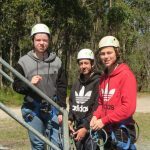 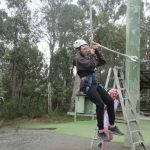 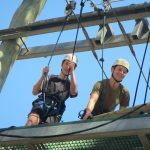 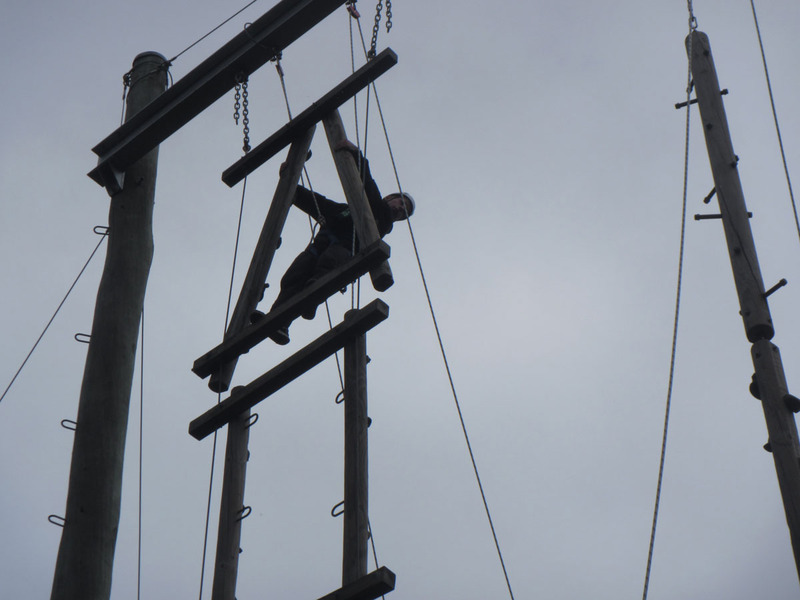 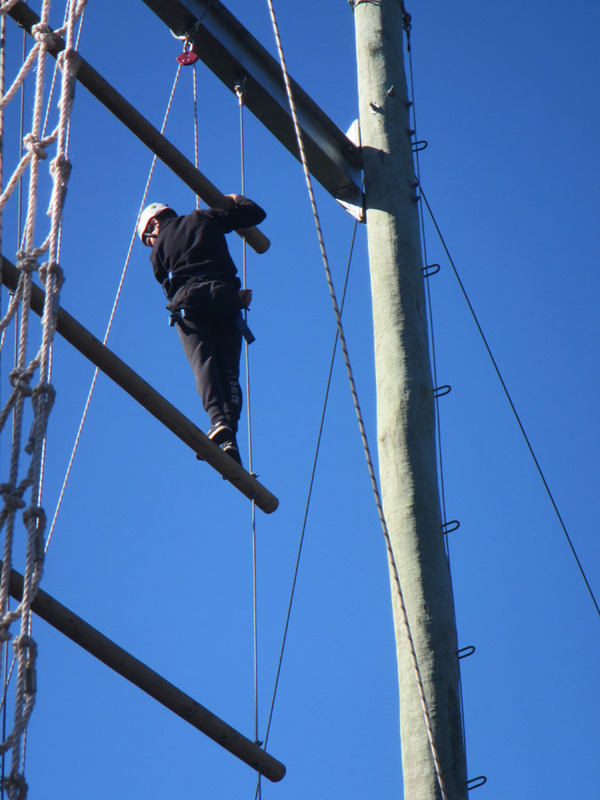 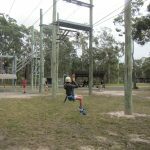 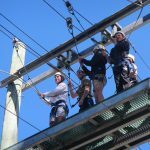 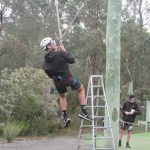 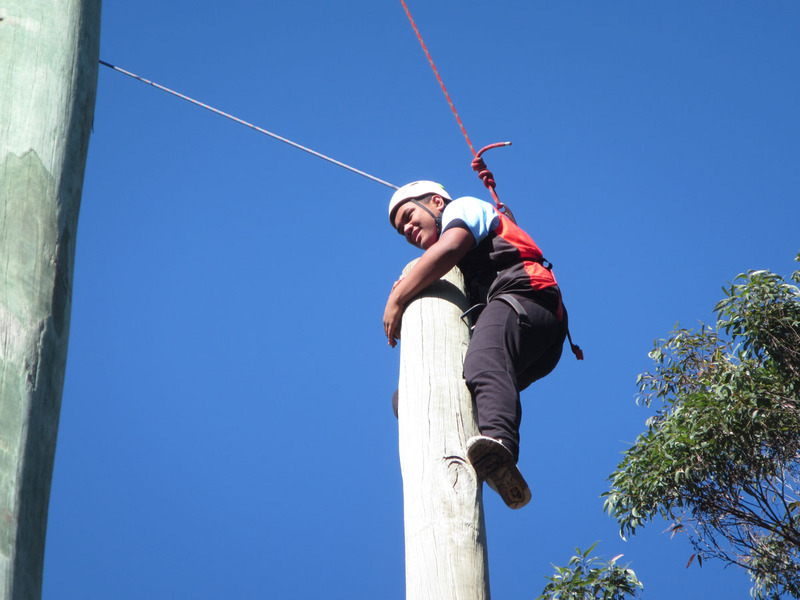 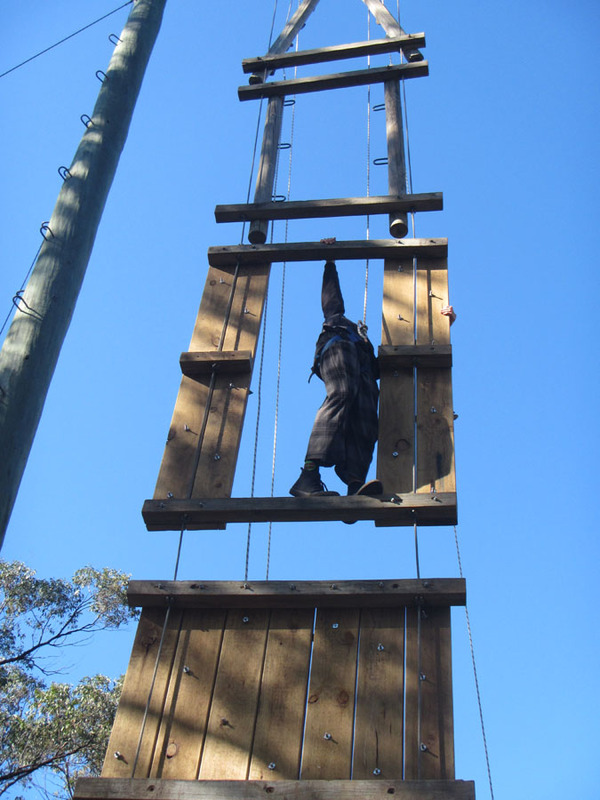 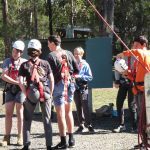 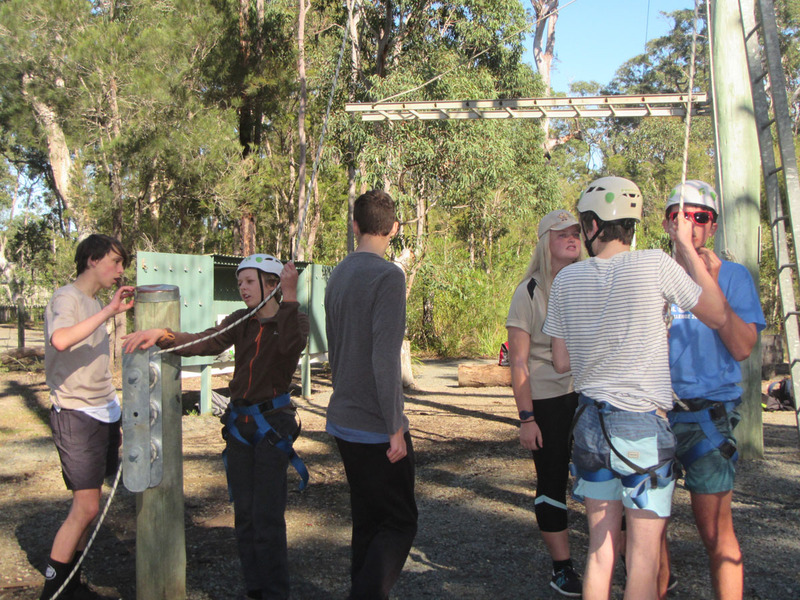 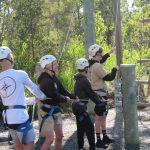 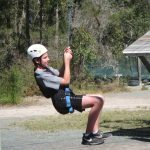 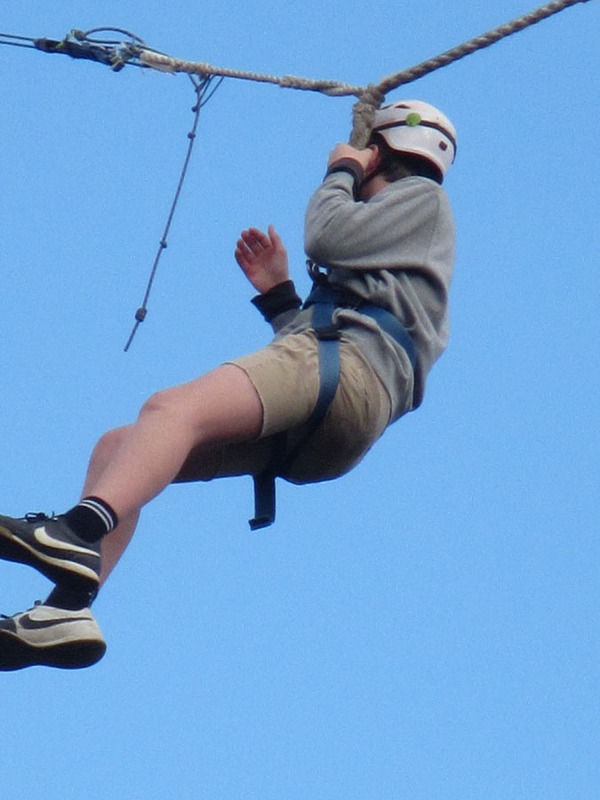 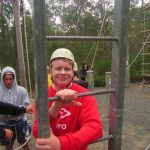 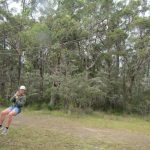 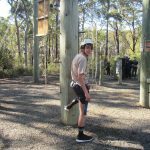 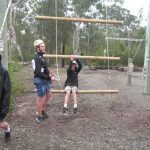 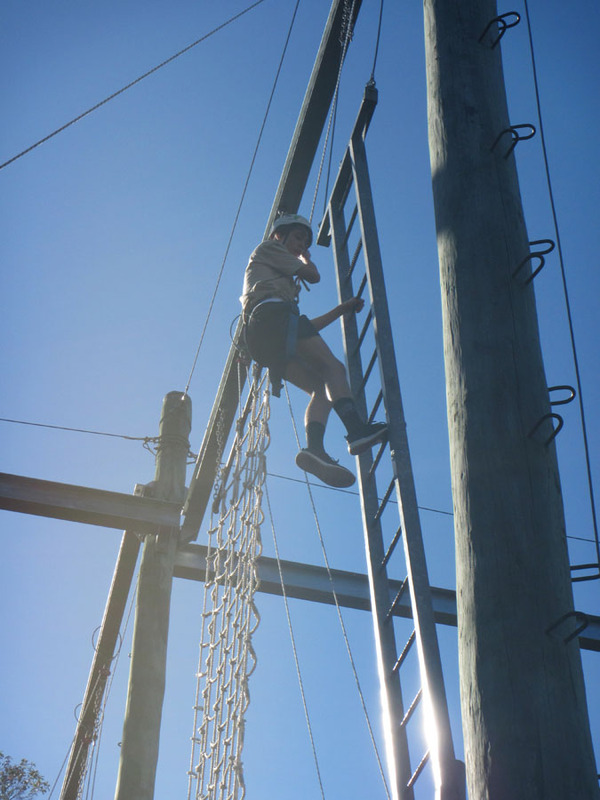 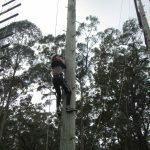 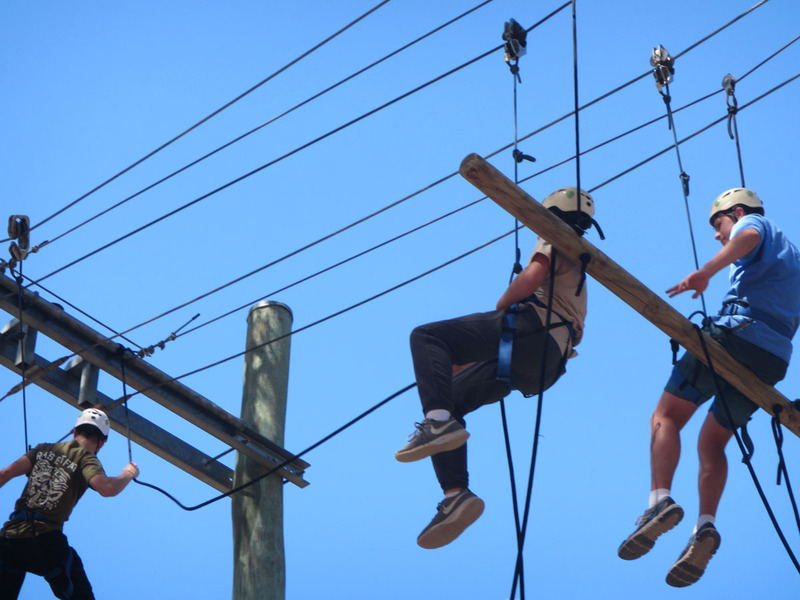 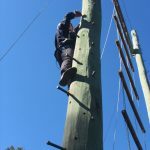 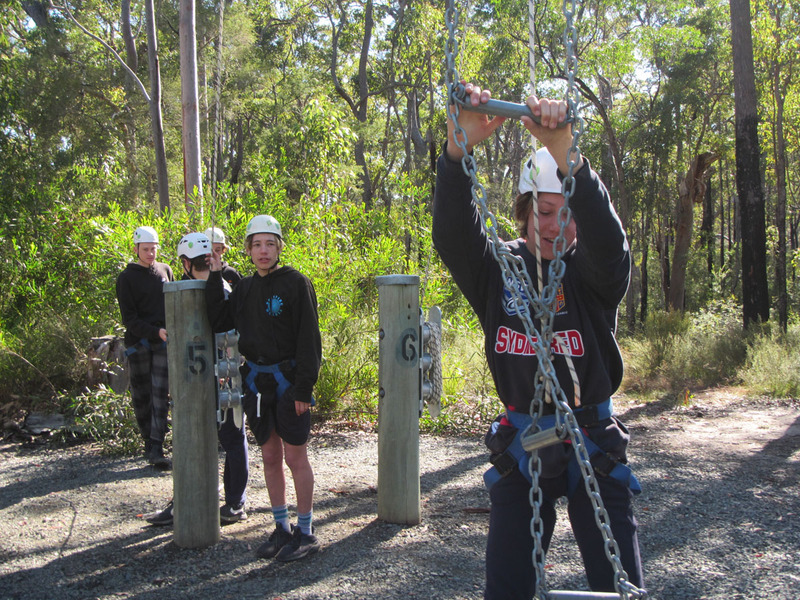 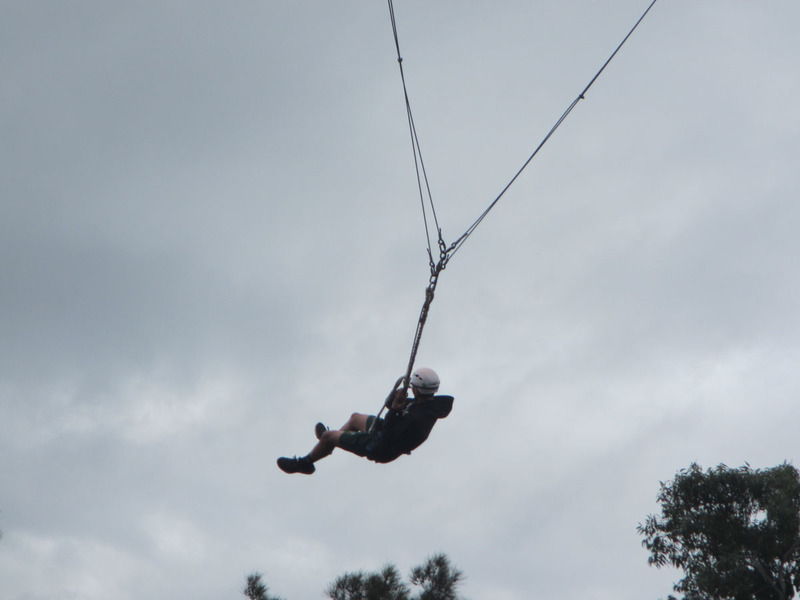 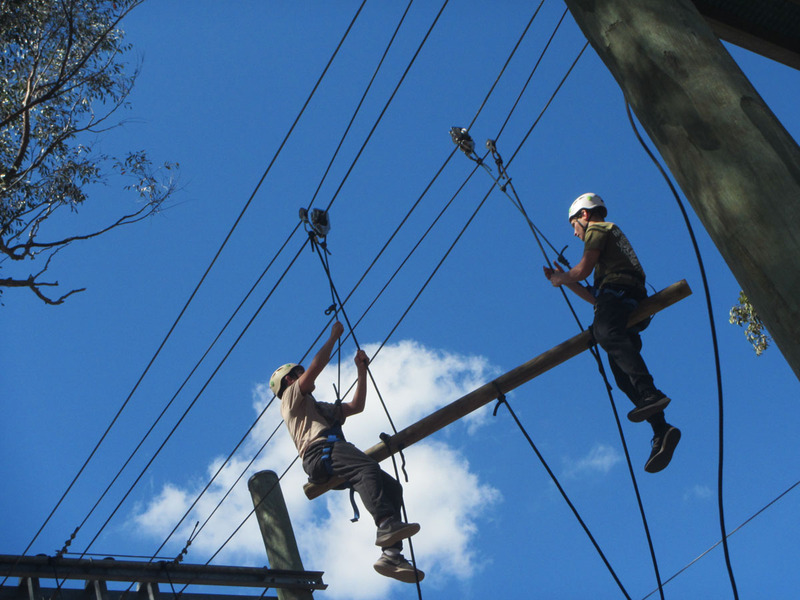 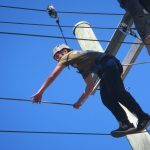 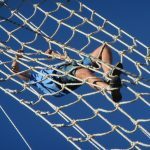 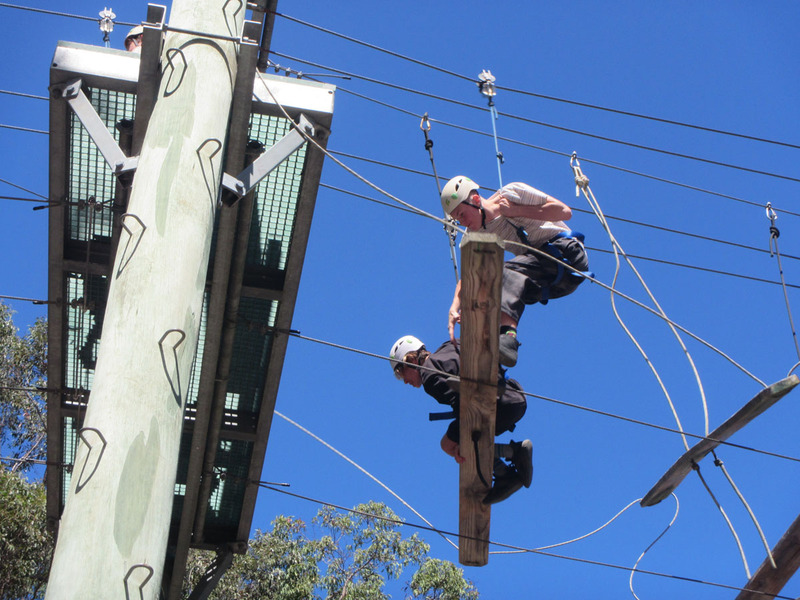 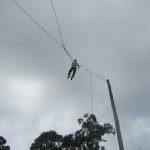 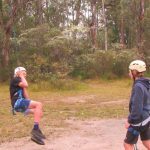 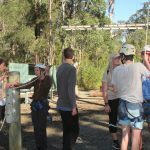 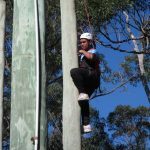 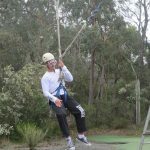 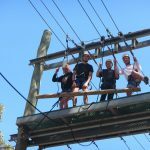 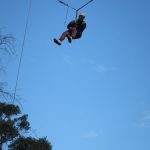 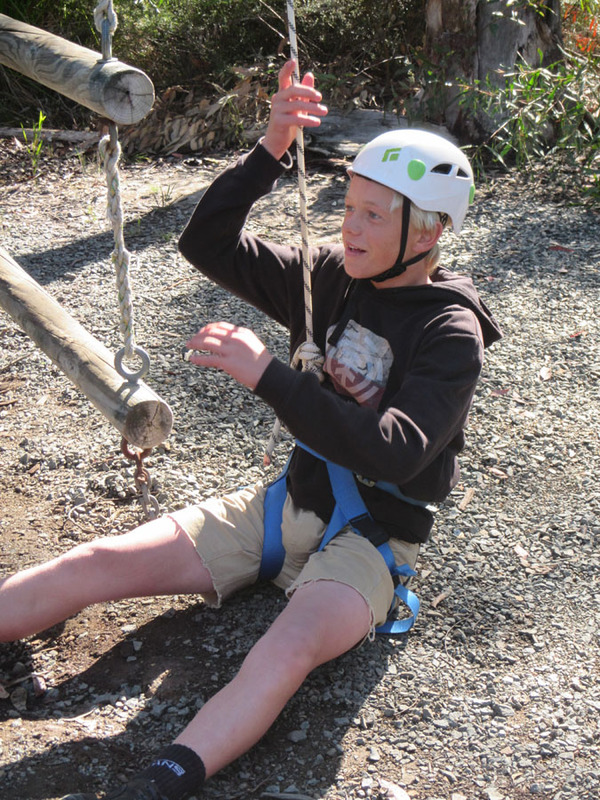 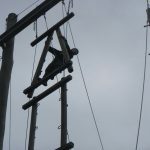 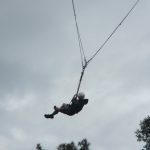 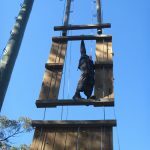 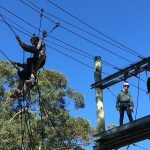 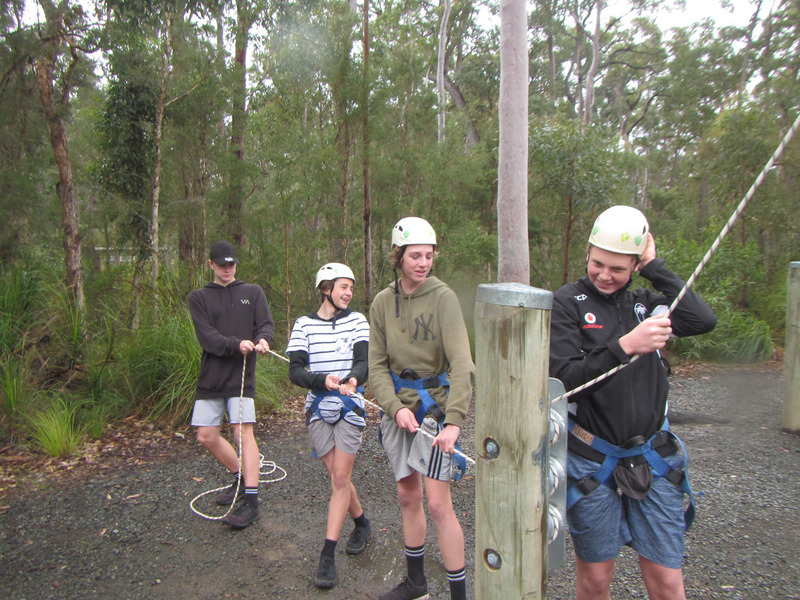 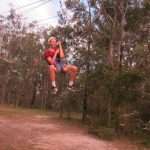 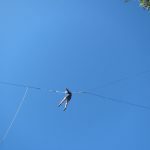 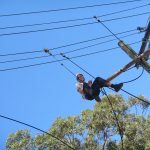 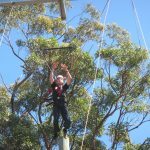 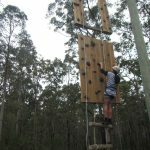 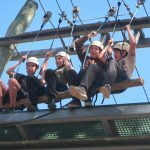 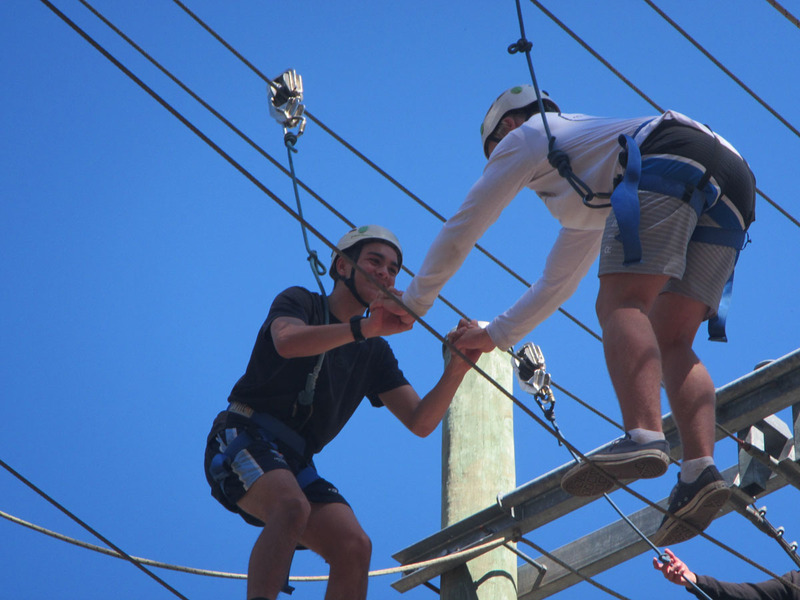 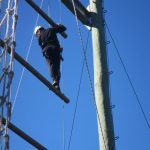 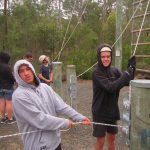 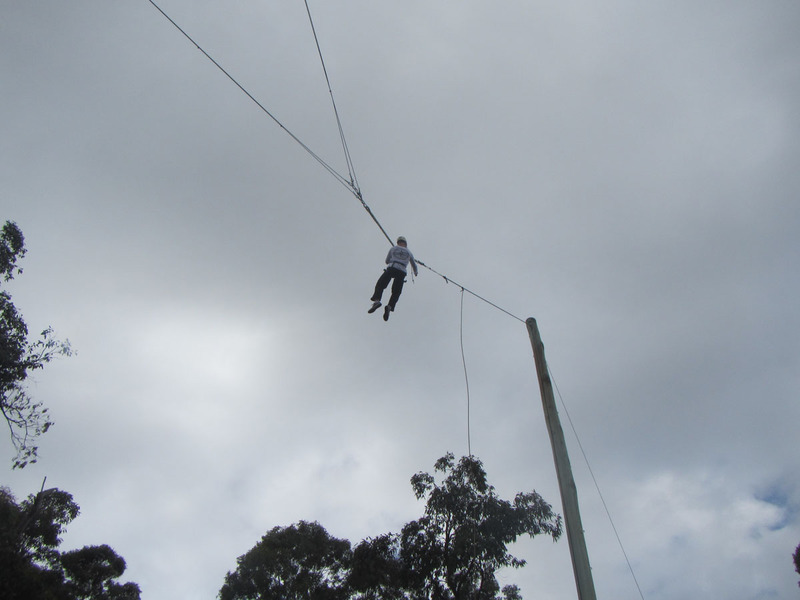 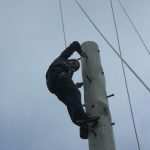 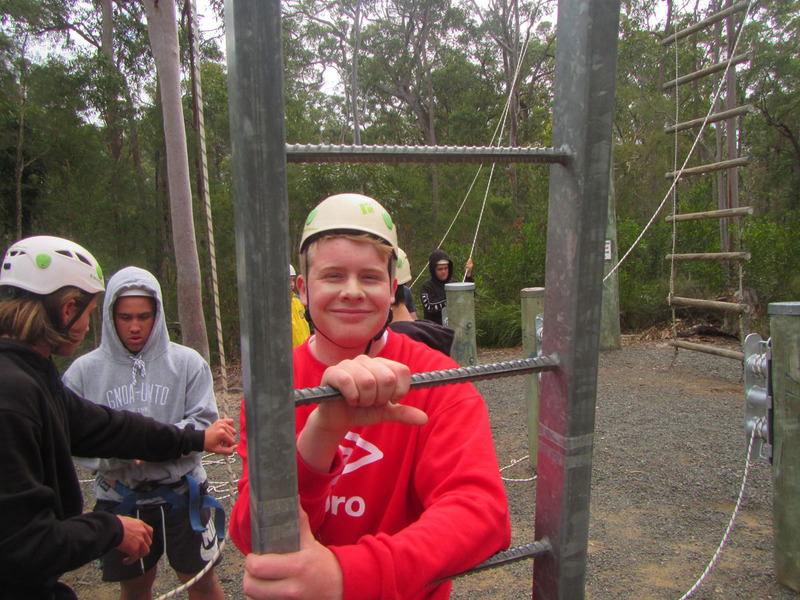 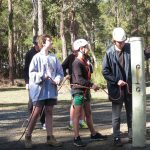 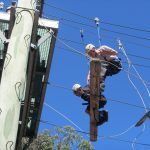 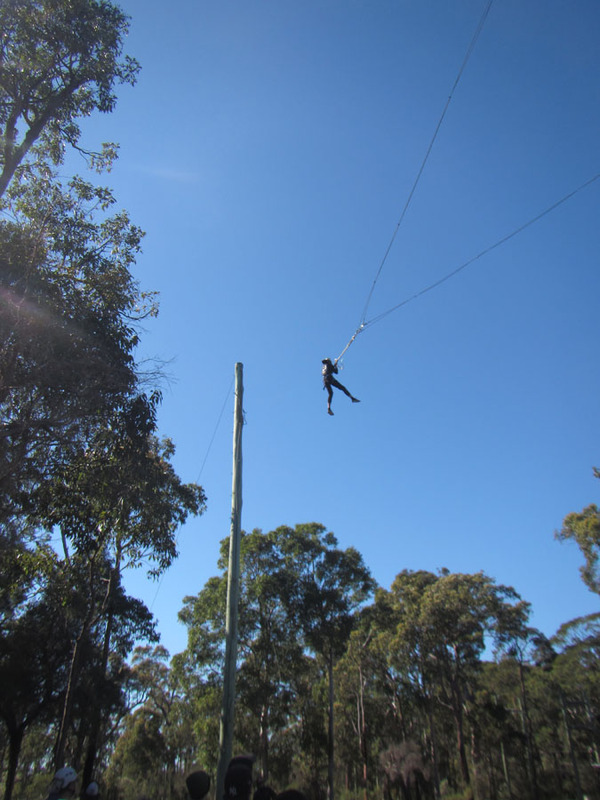 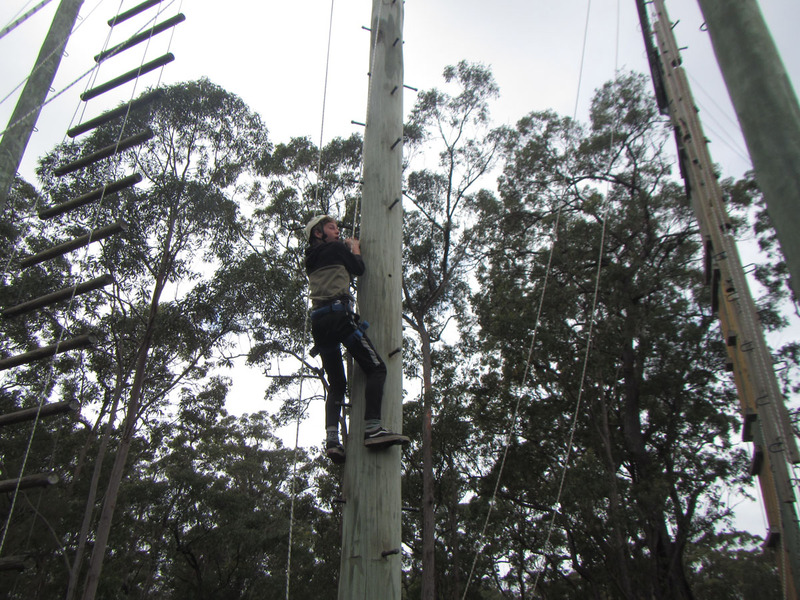 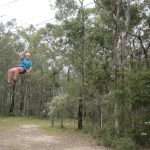 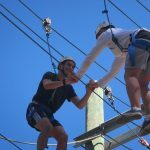 On site the students experienced the Giant Swing, Team Challenge, Leap of Faith and the Vertical Challenge. 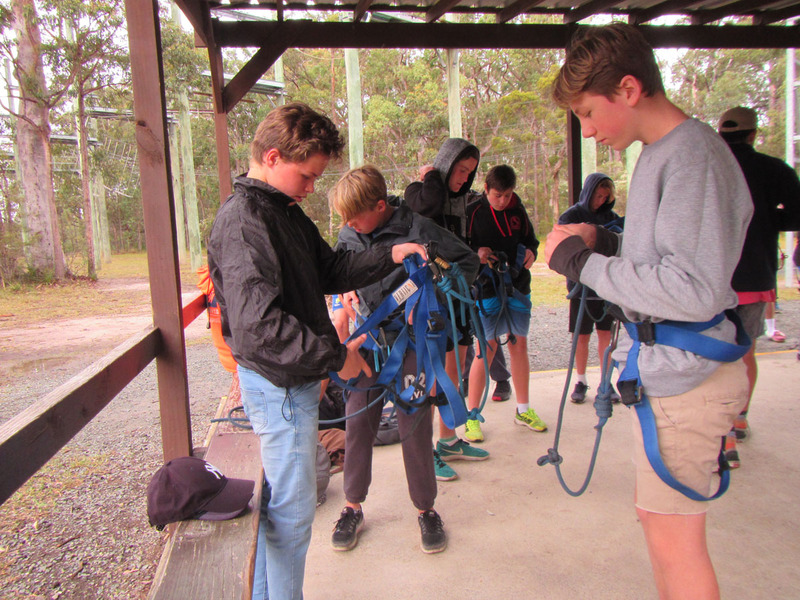 Participation on the part of the boys was excellent, they supported and encouraged each other and their behaviour was exemplary. 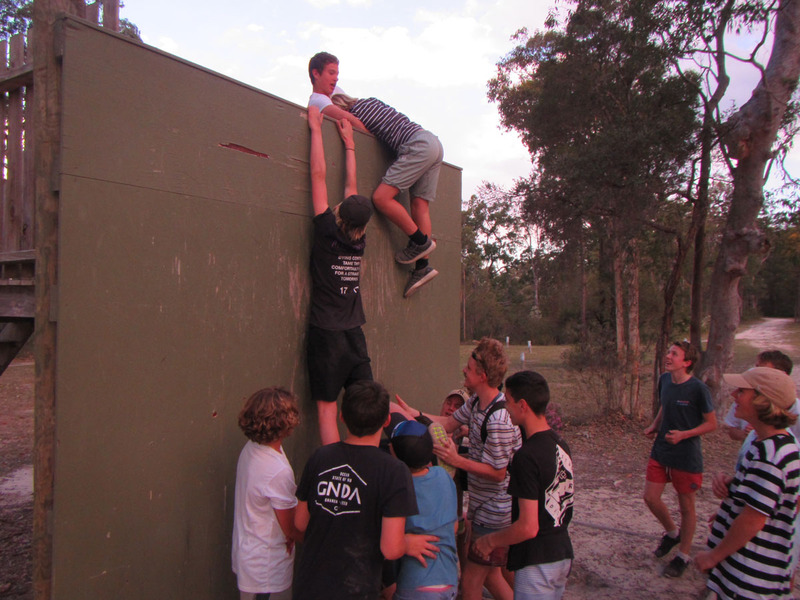 They worked as a team, they challenged each other and themselves. 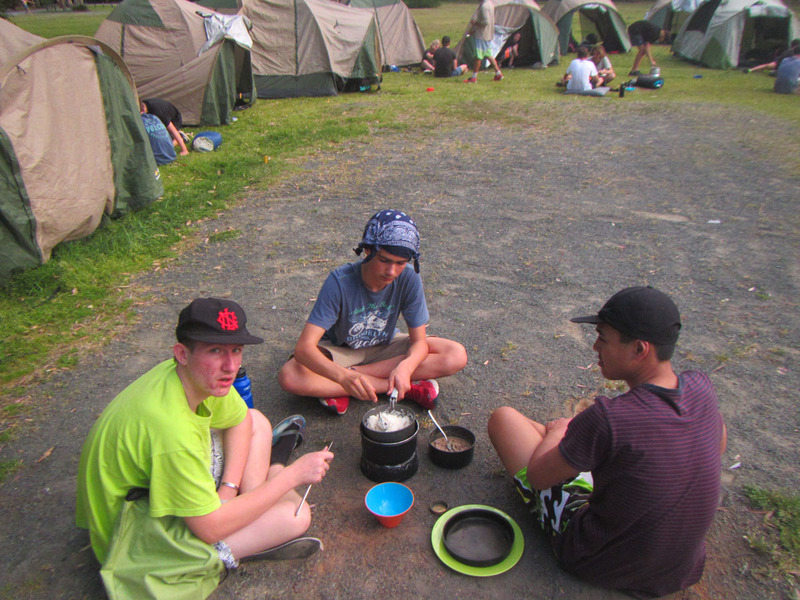 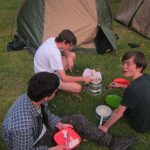 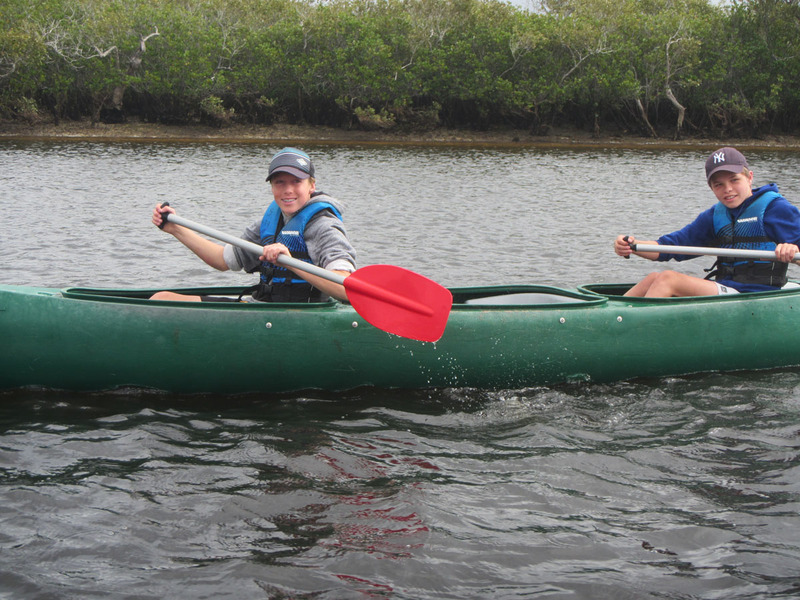 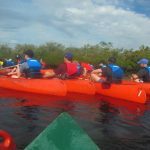 They were well fed and the experience helped take many of the students out of their comfort zone. 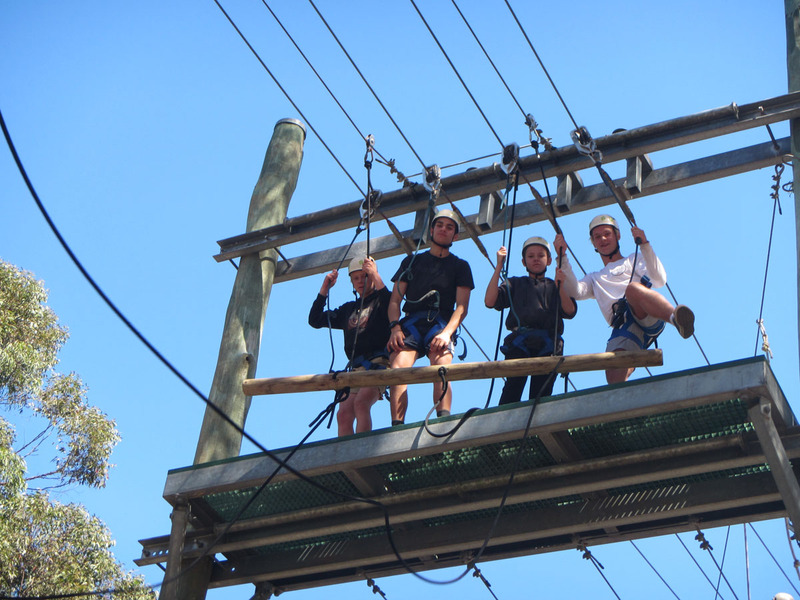 I would very much like to thank the staff who accompanied and supported me and your sons on camp. 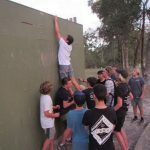 Their time and effort is greatly appreciated.